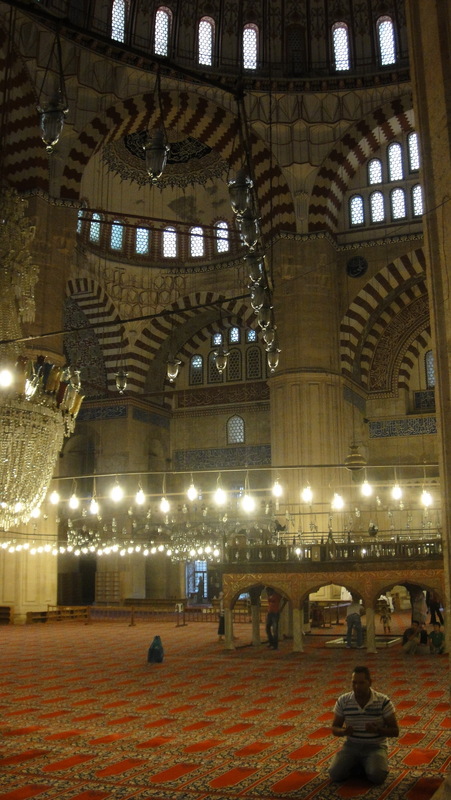 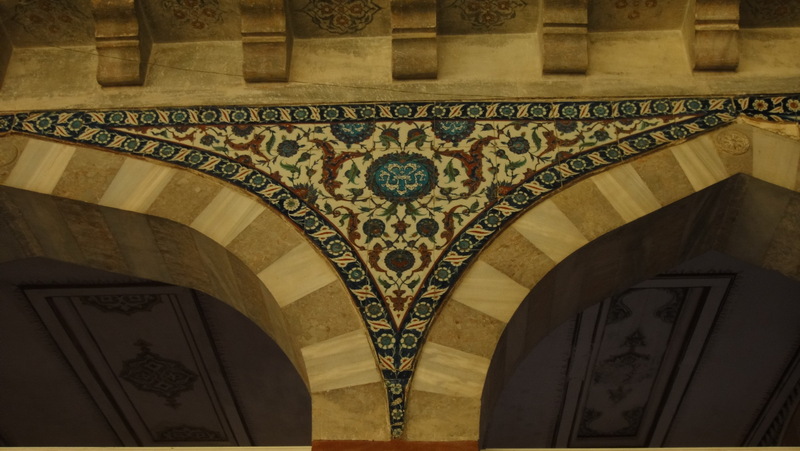 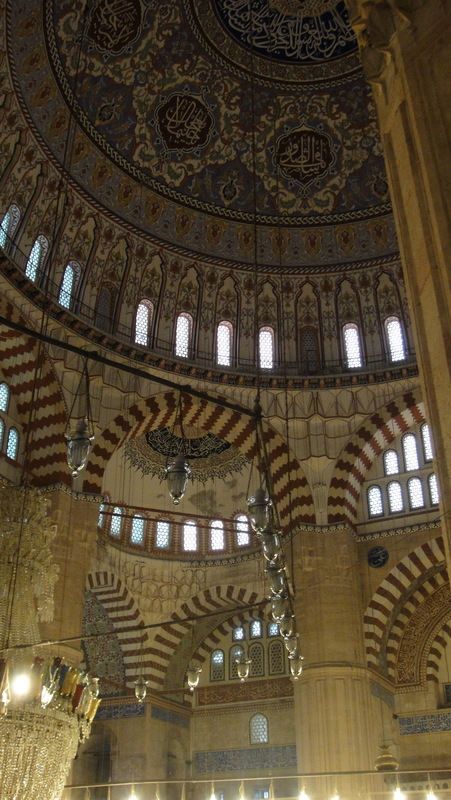 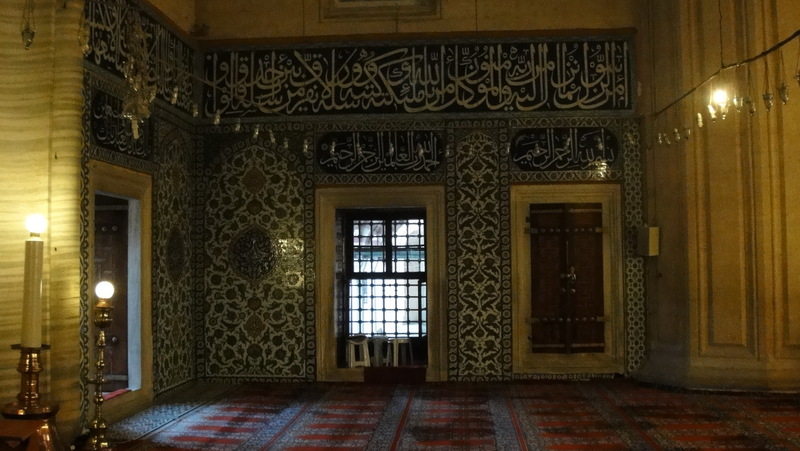 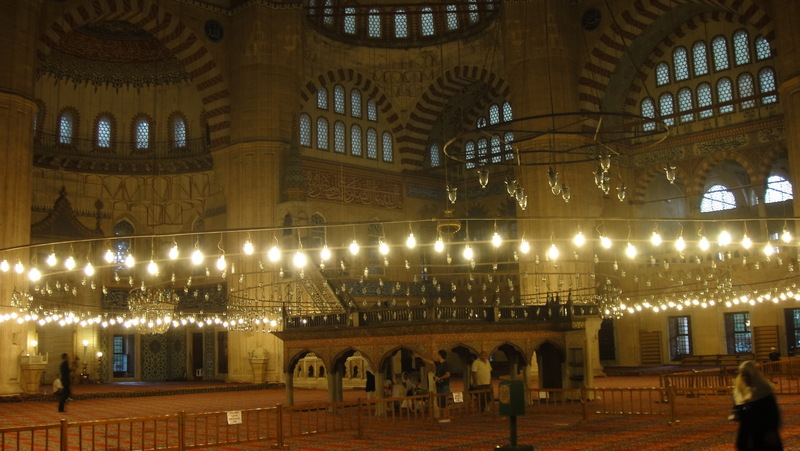 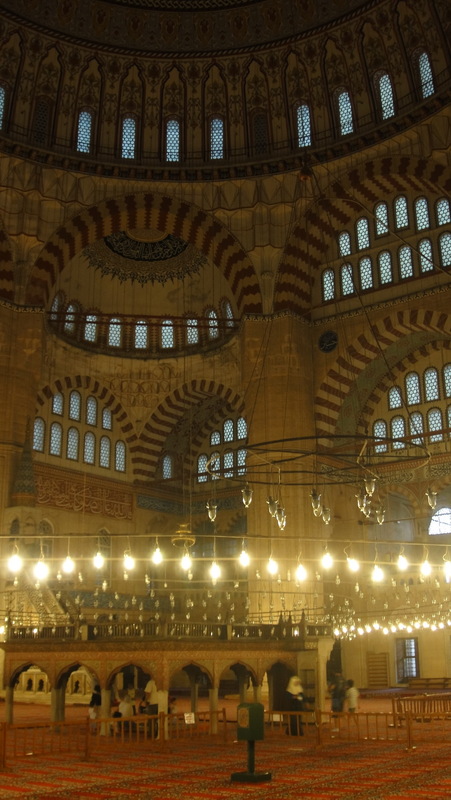 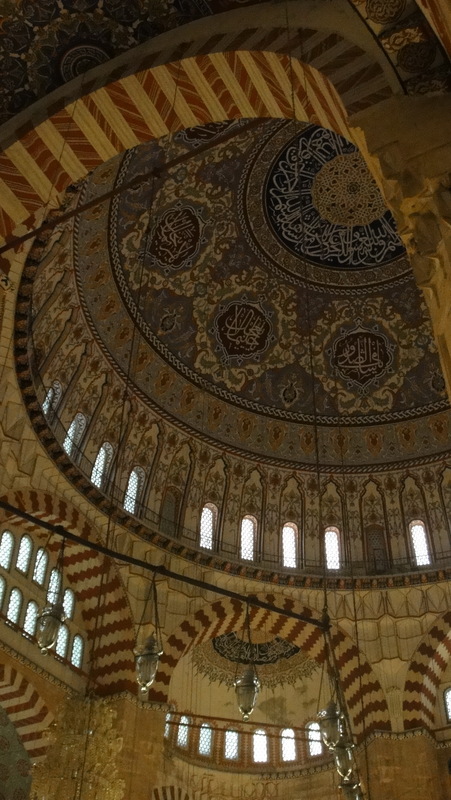 The Edirne’s Selimiye is Sinan’s most beautiful, most graceful construction. 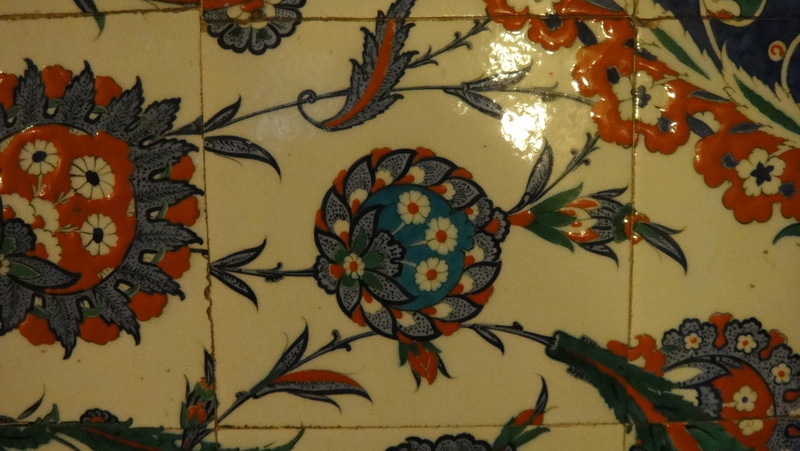 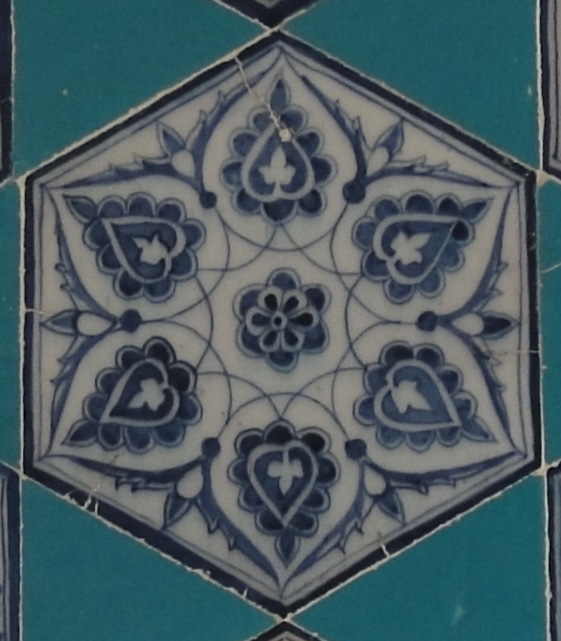 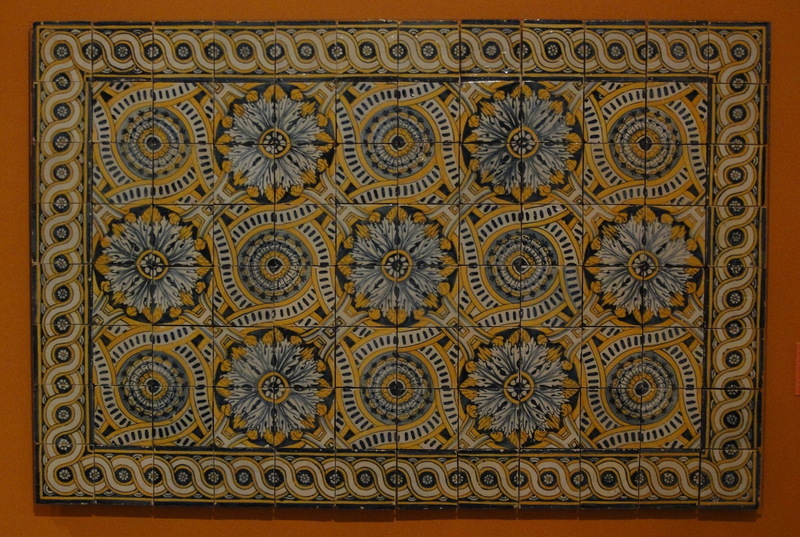 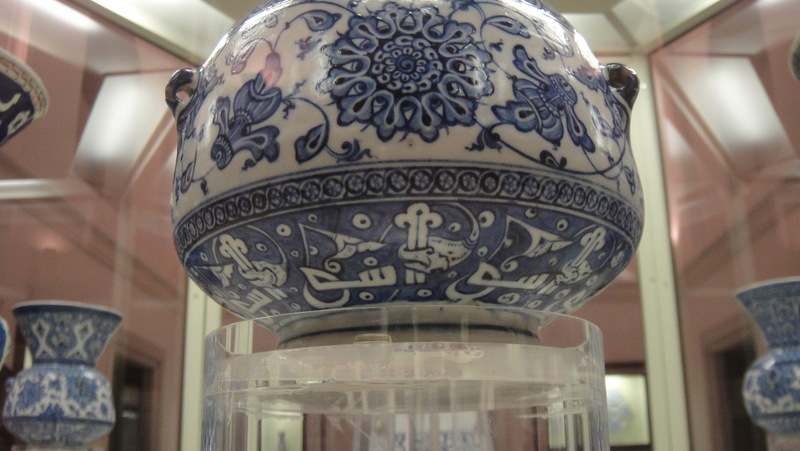 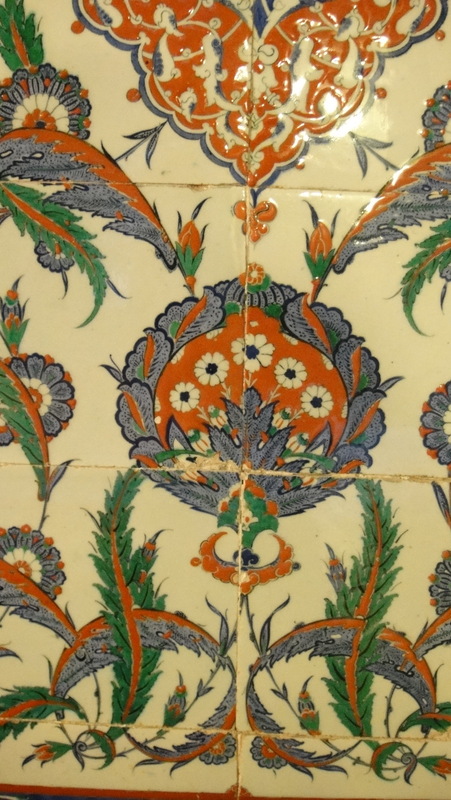 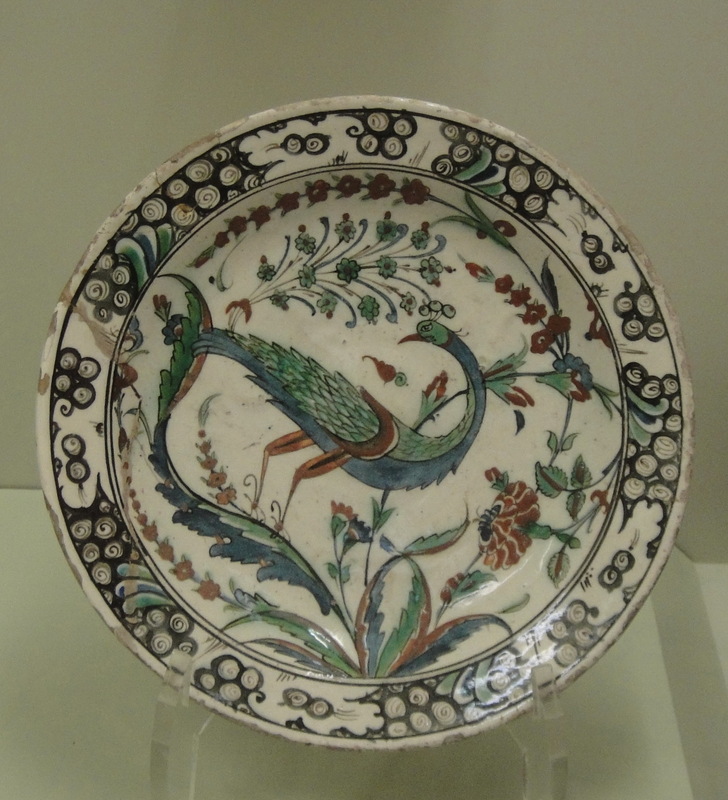 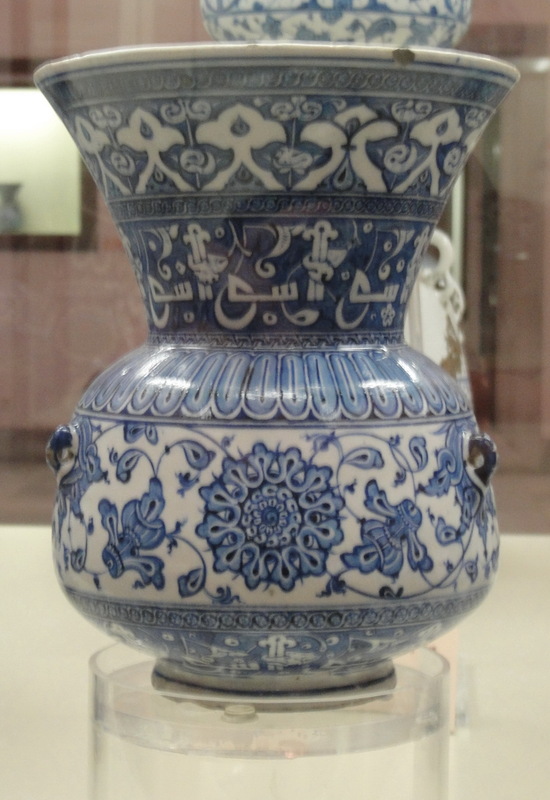 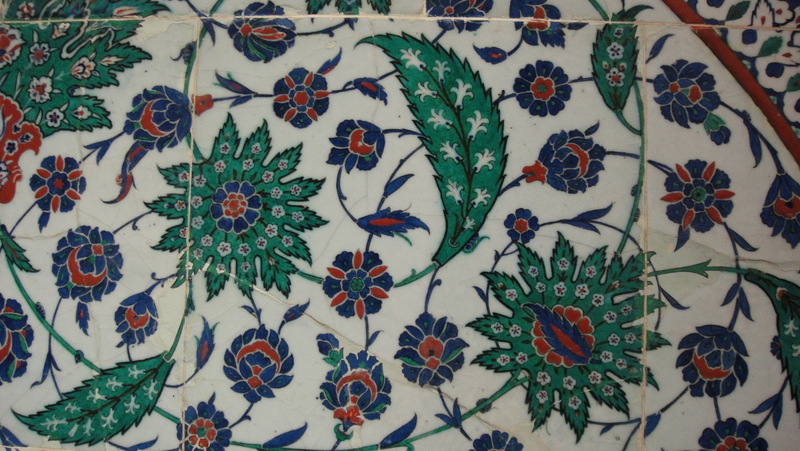 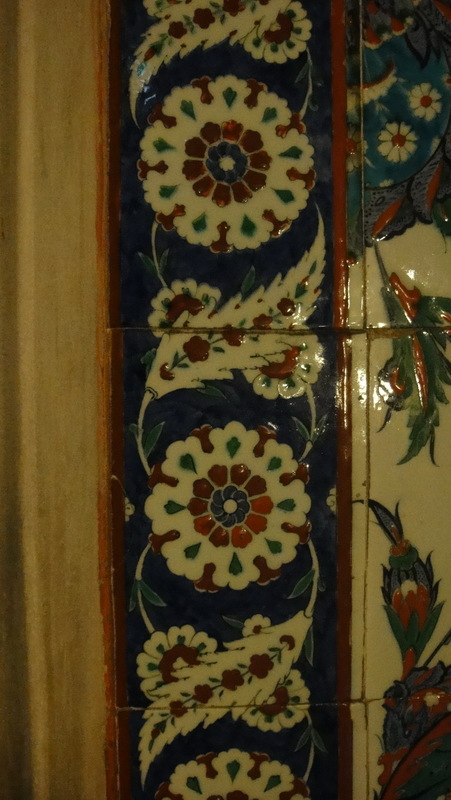 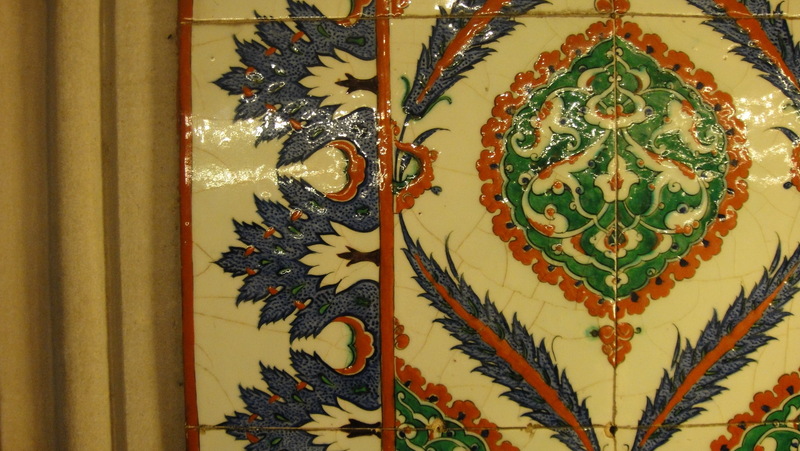 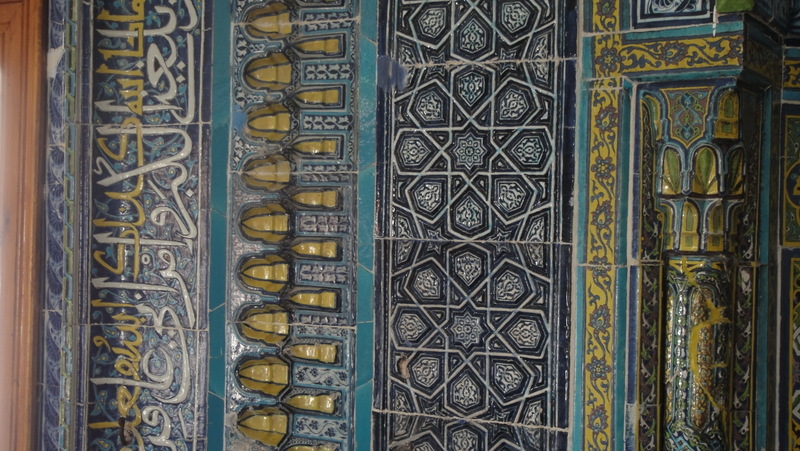 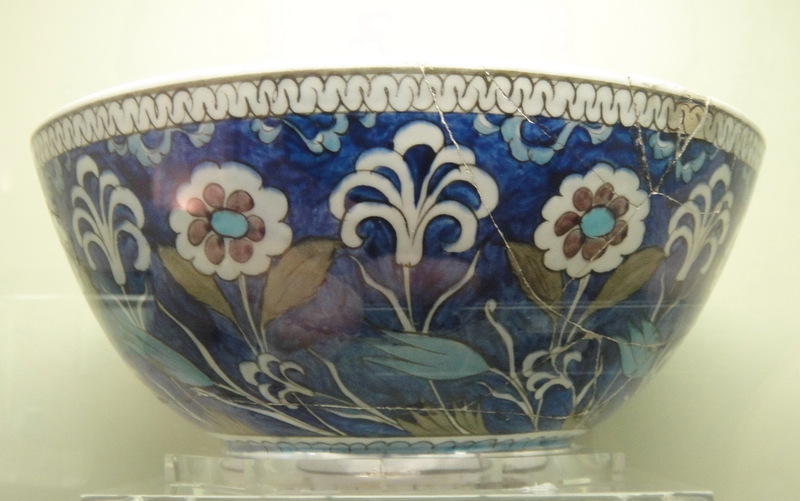 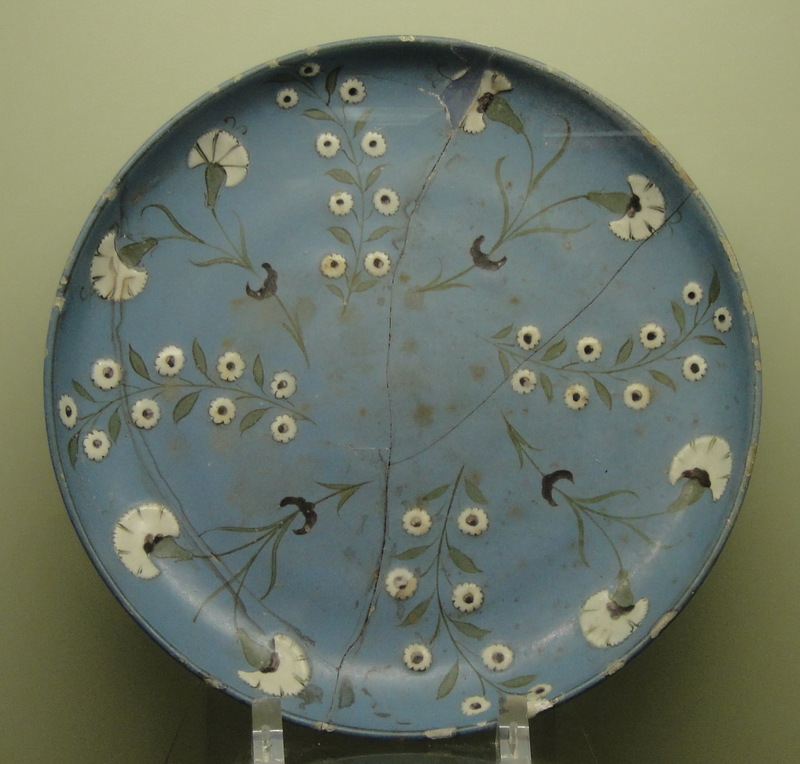 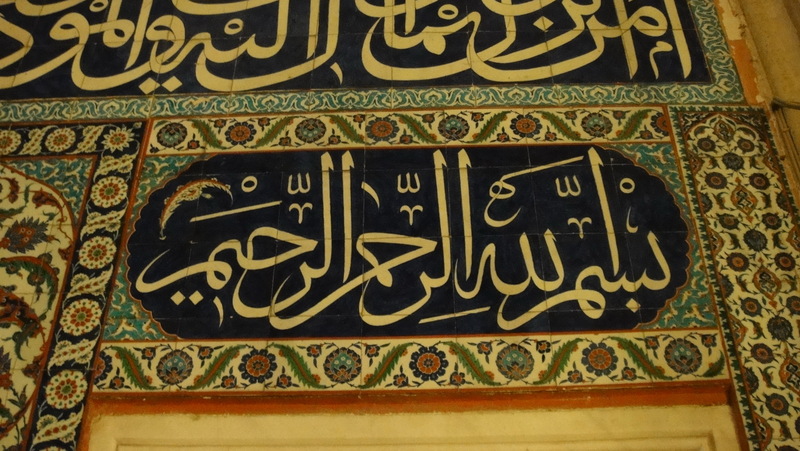 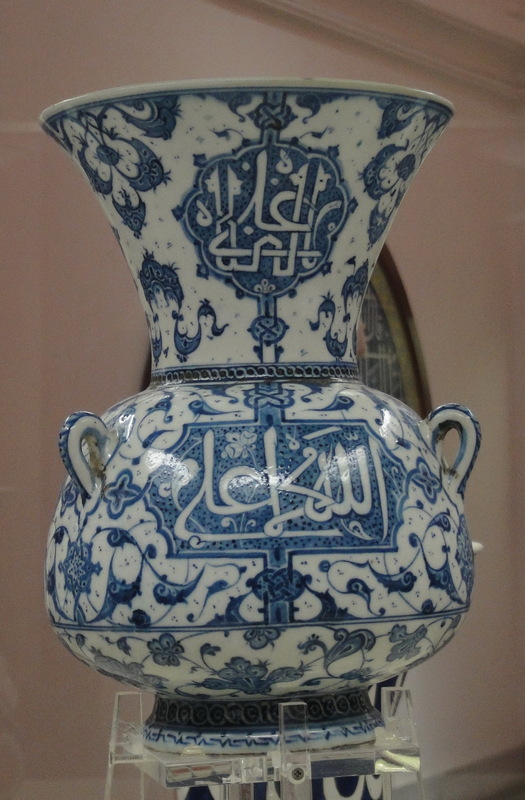 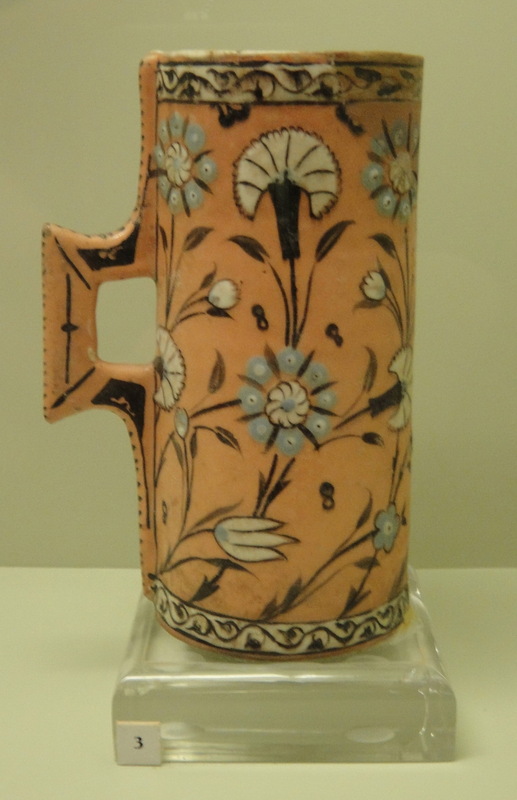 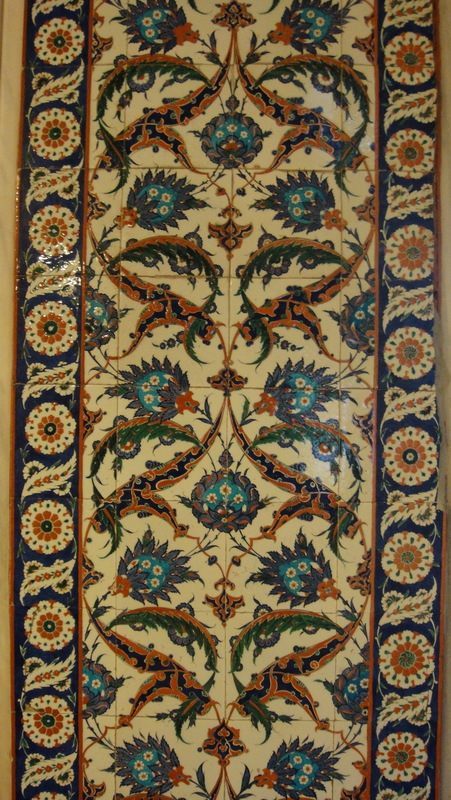 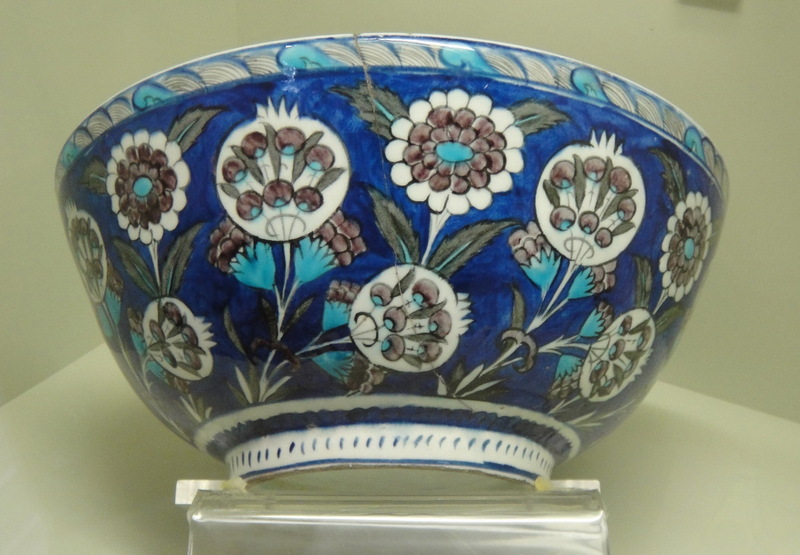 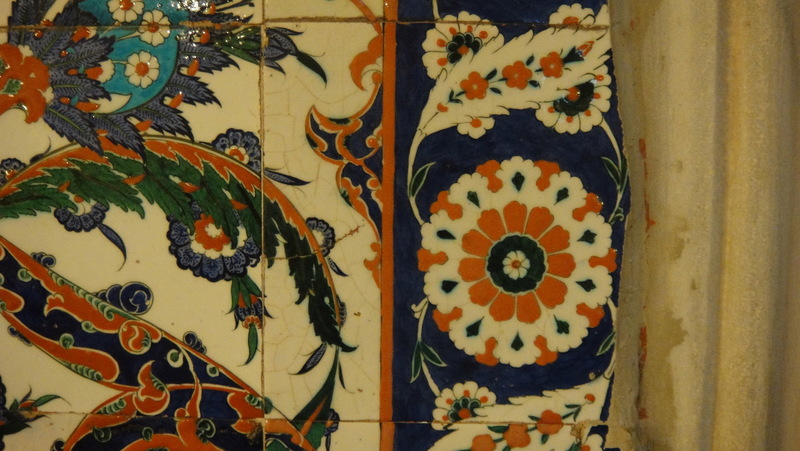 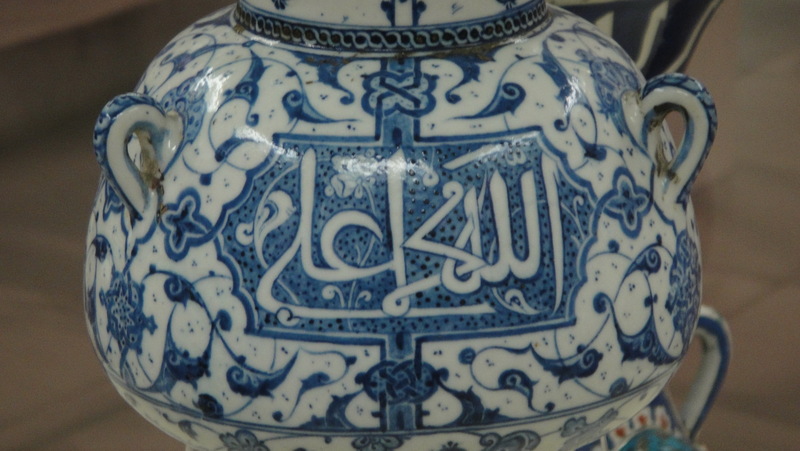 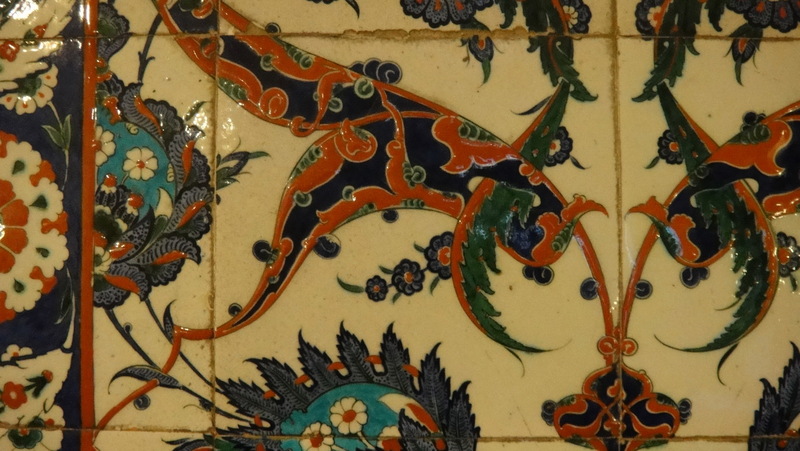 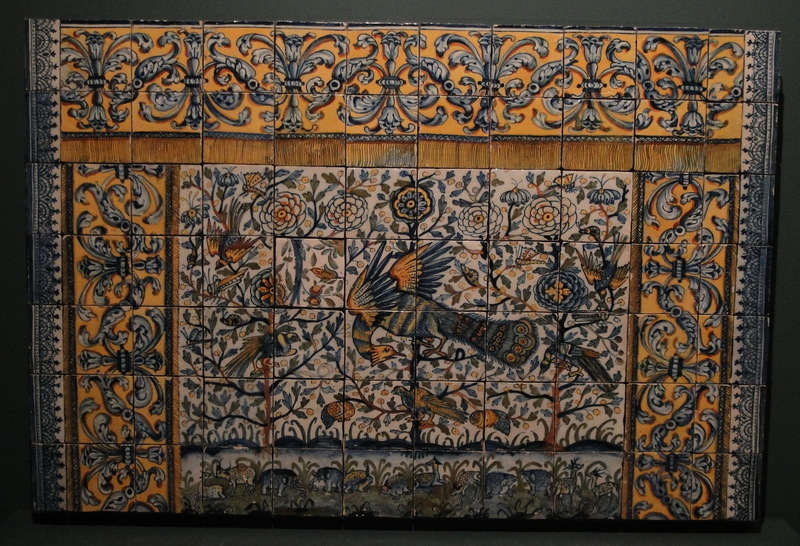 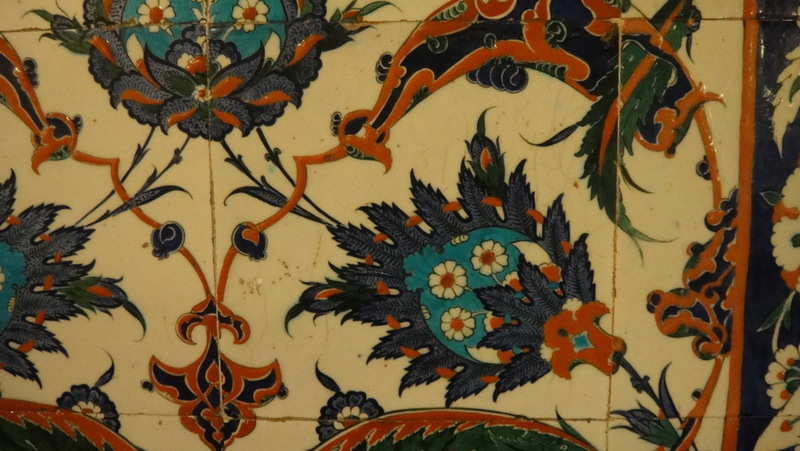 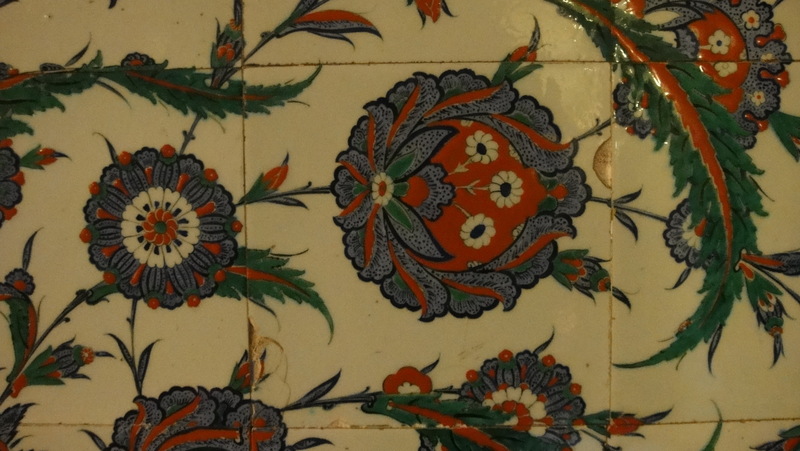 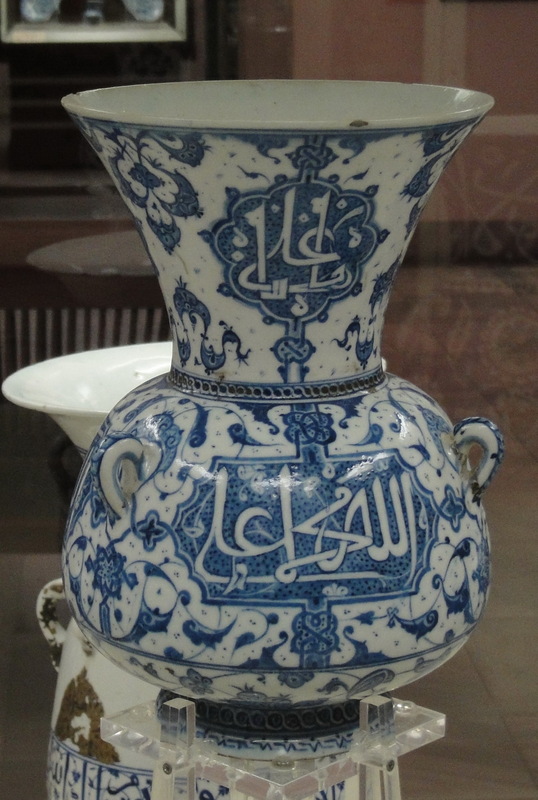 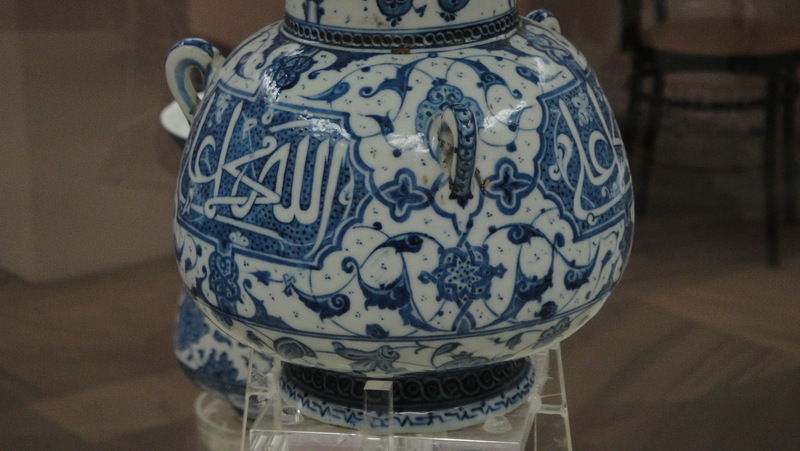 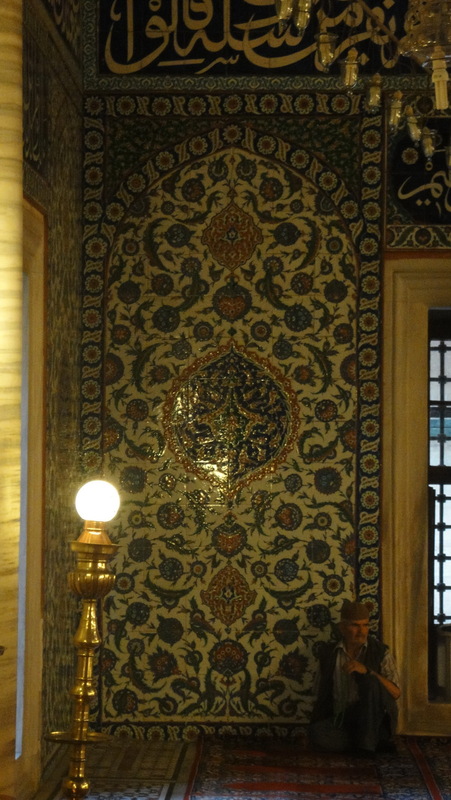 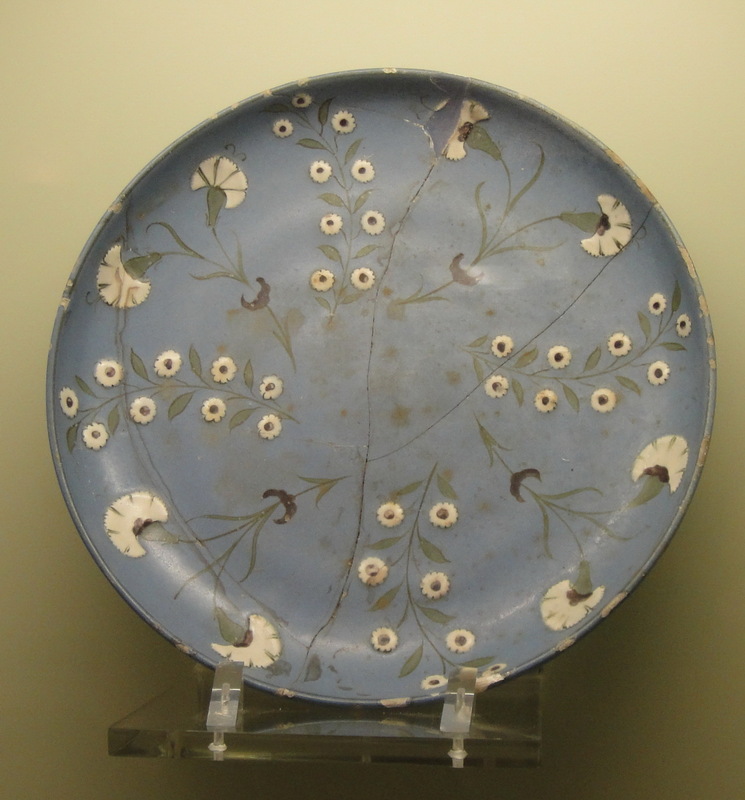 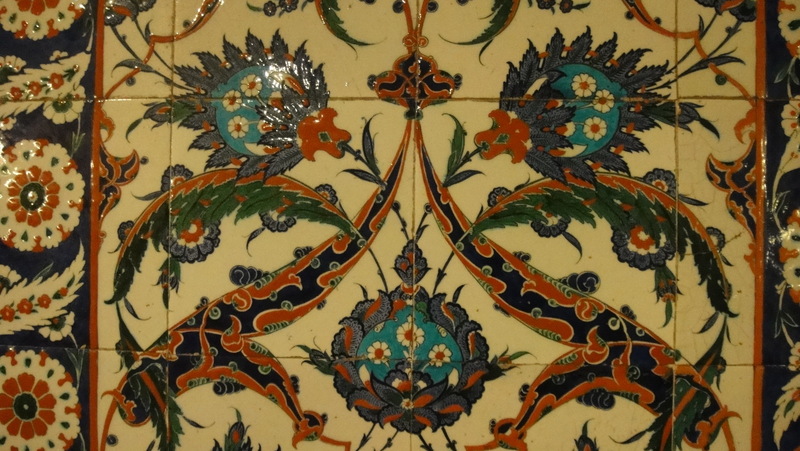 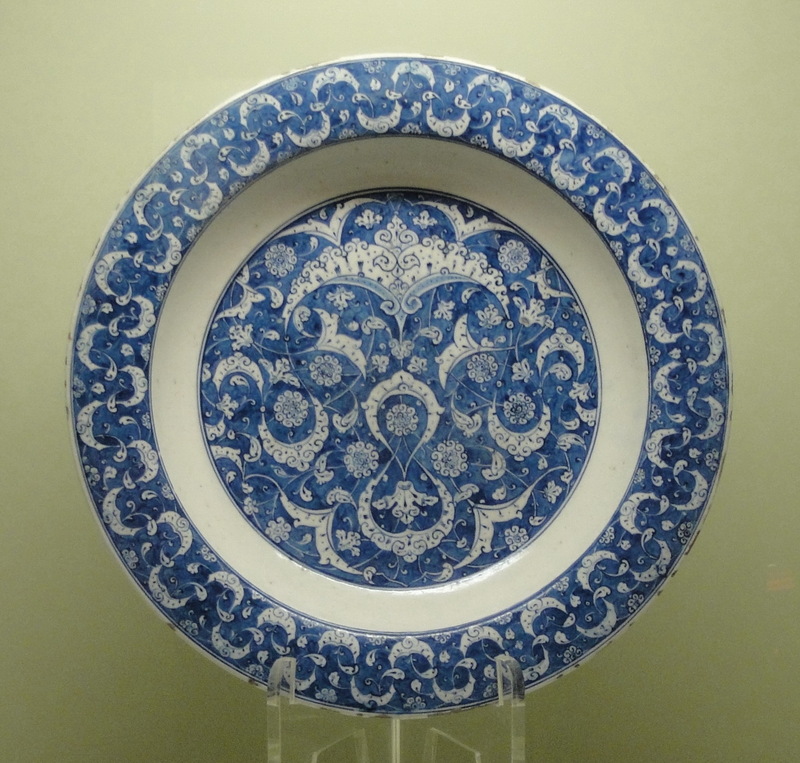 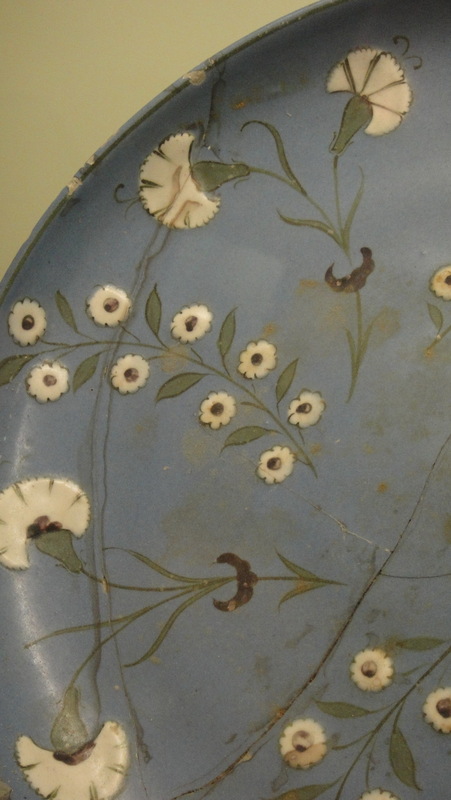 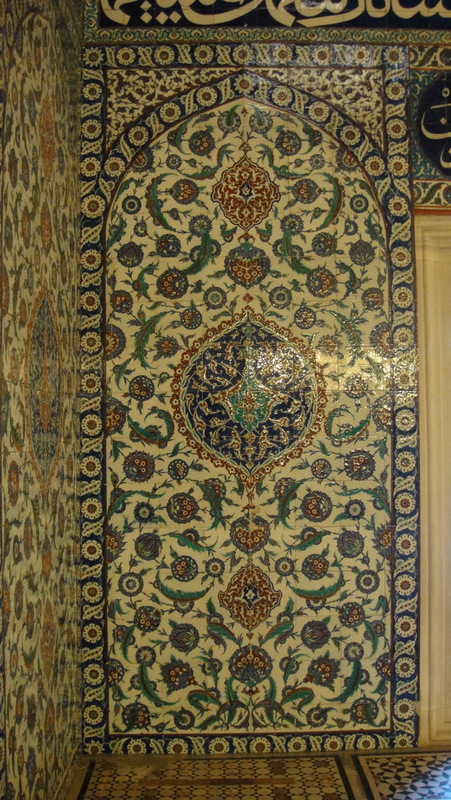 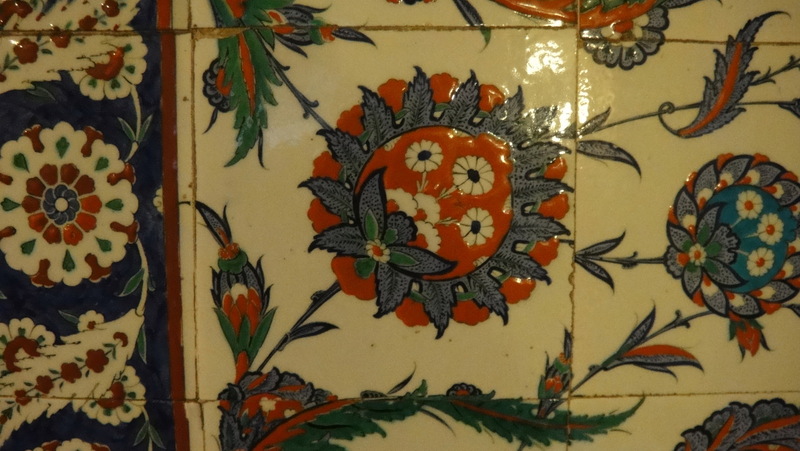 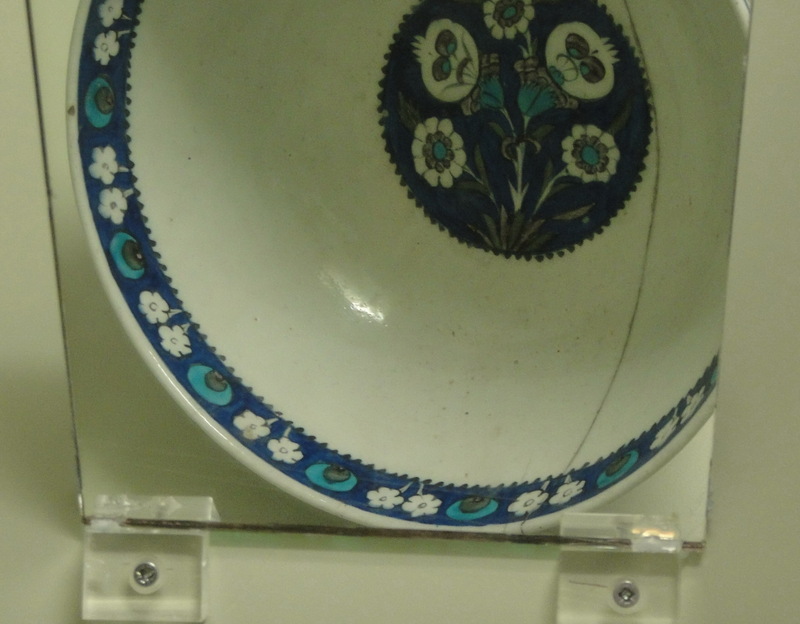 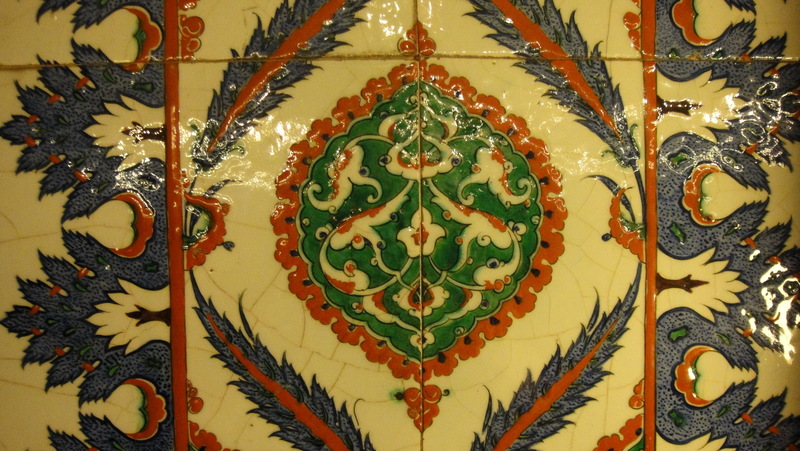 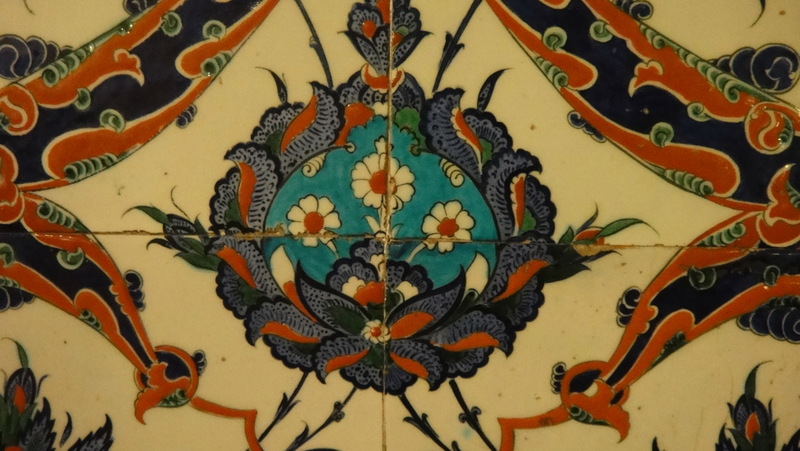 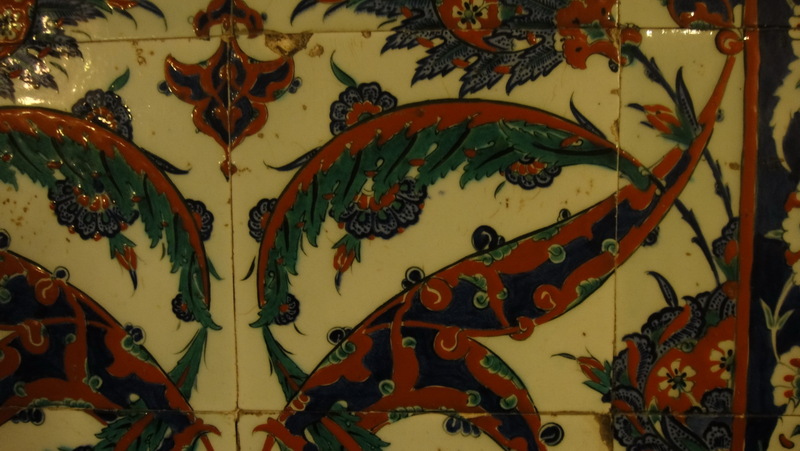 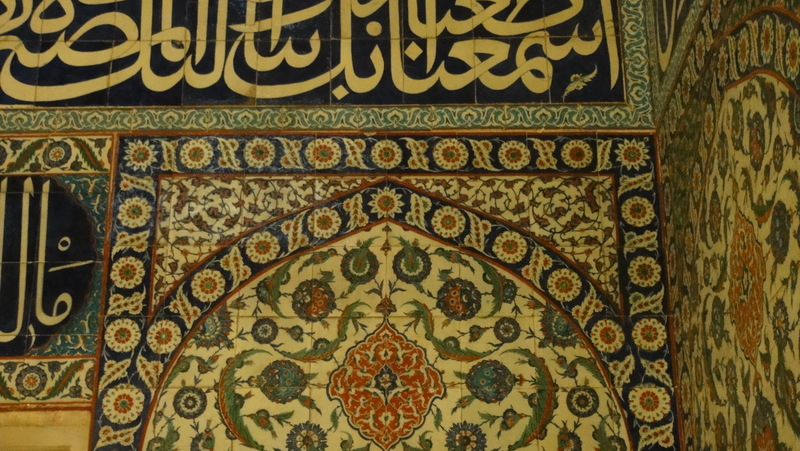 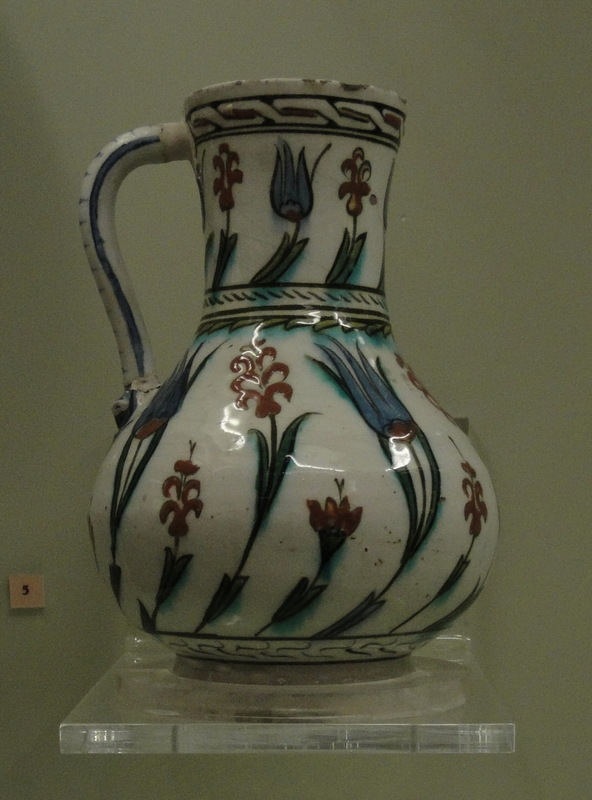 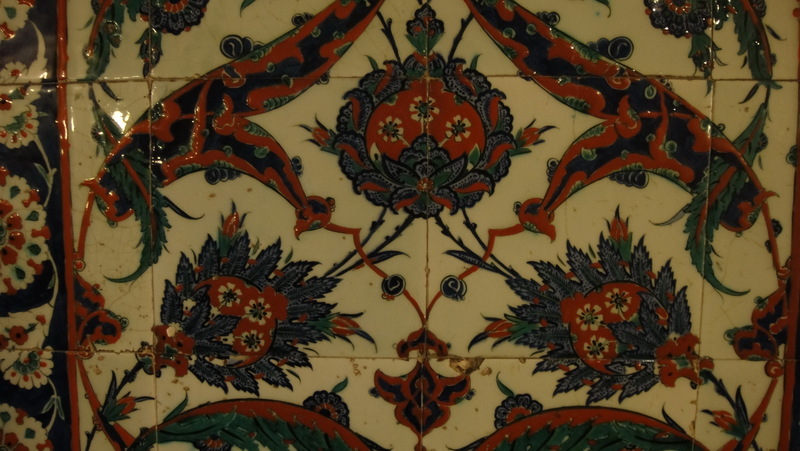 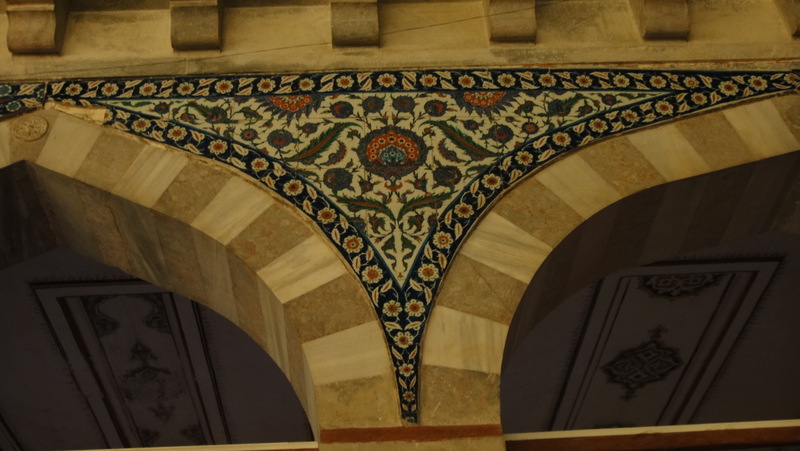 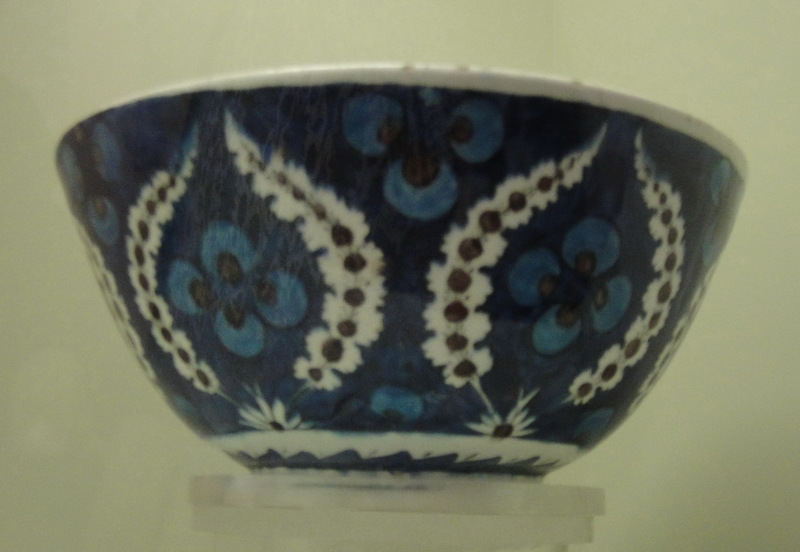 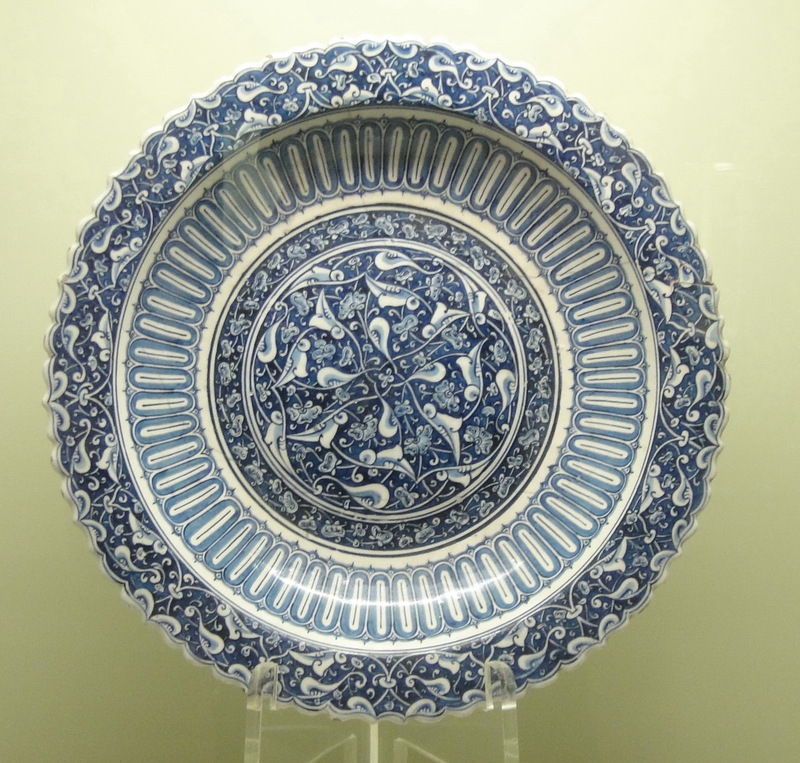 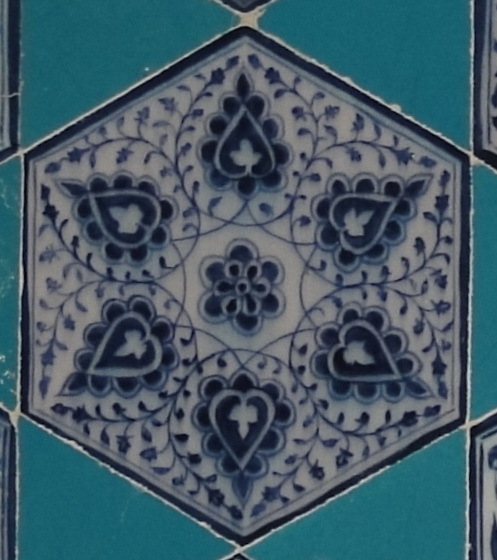 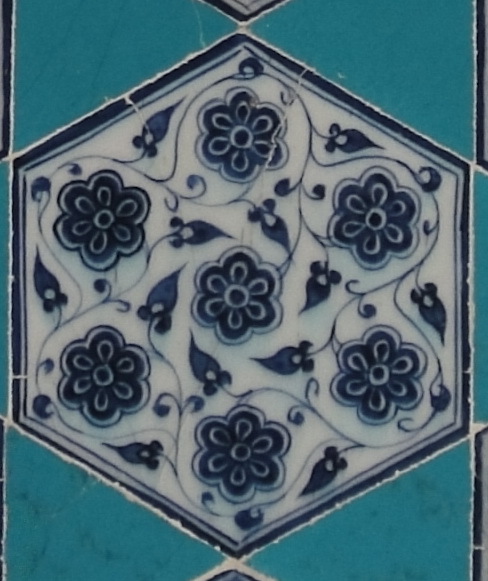 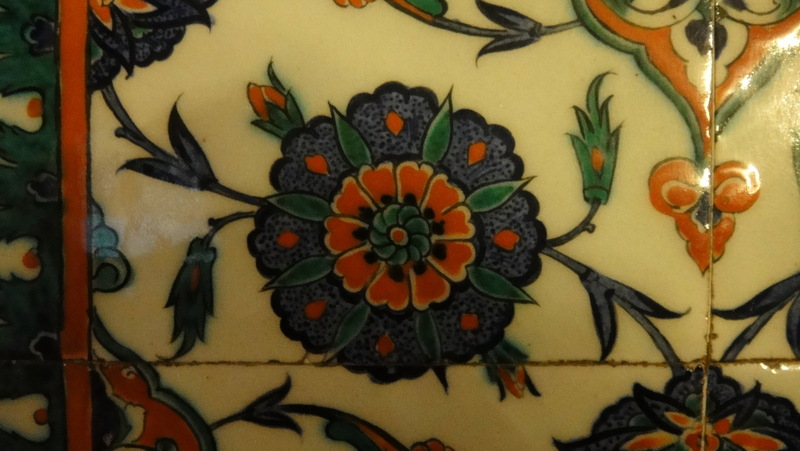 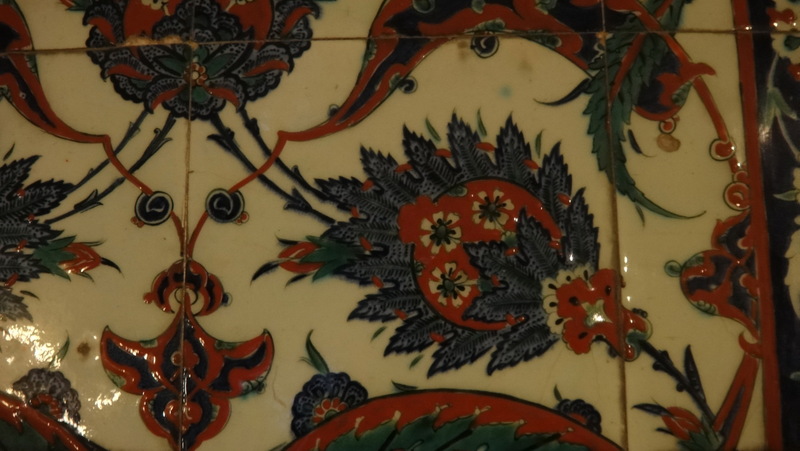 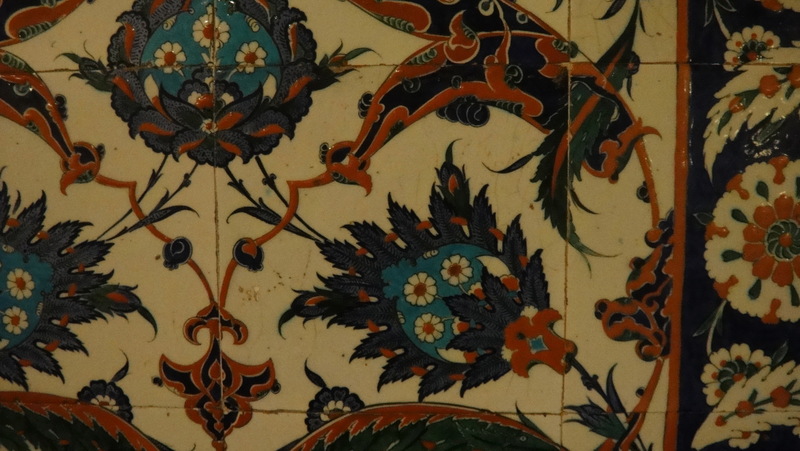 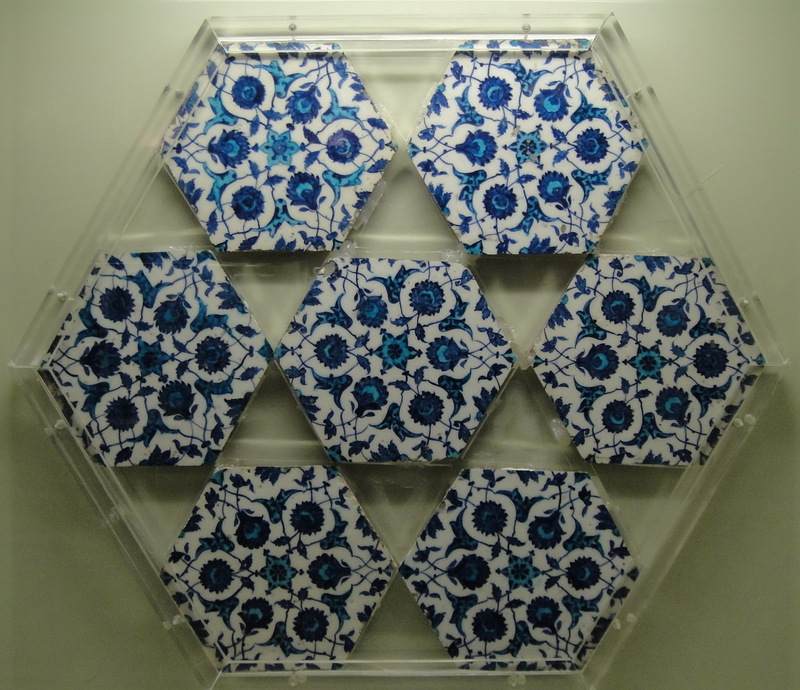 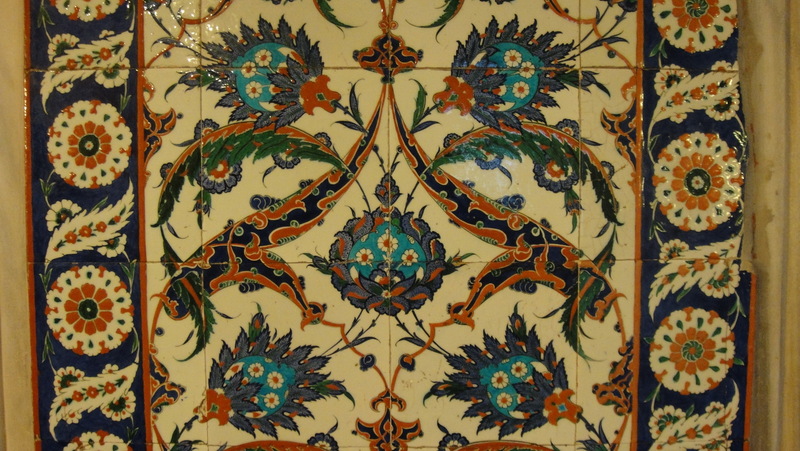 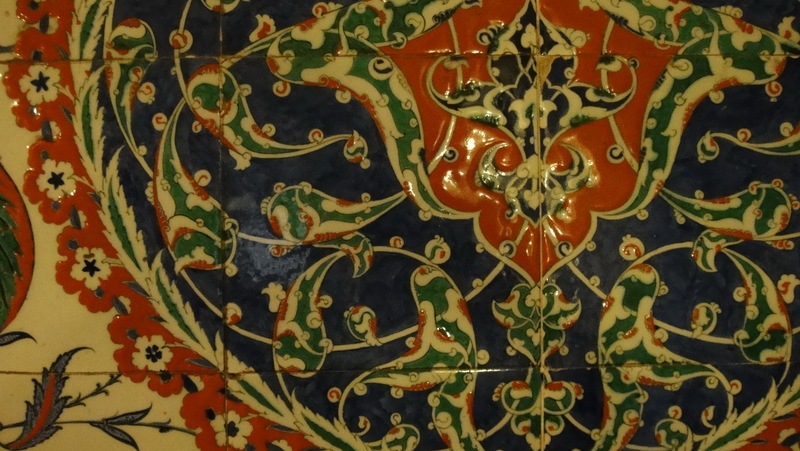 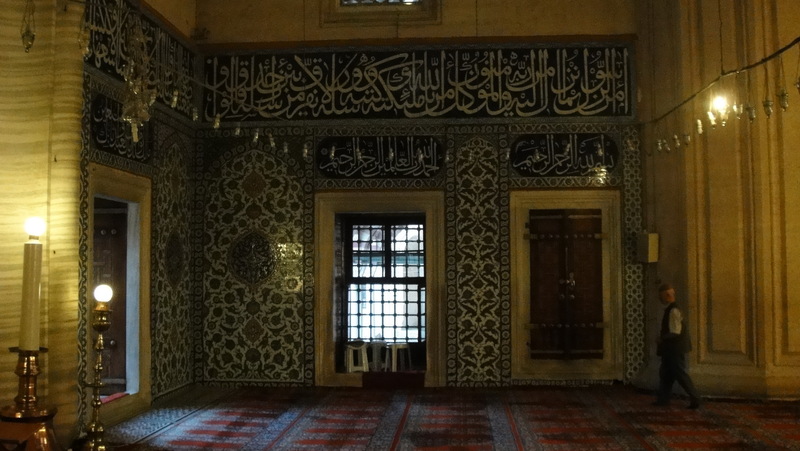 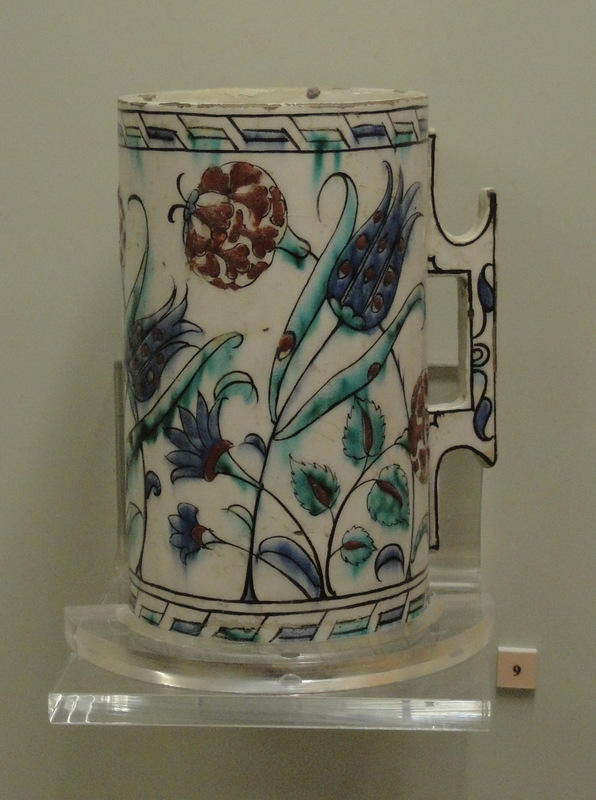 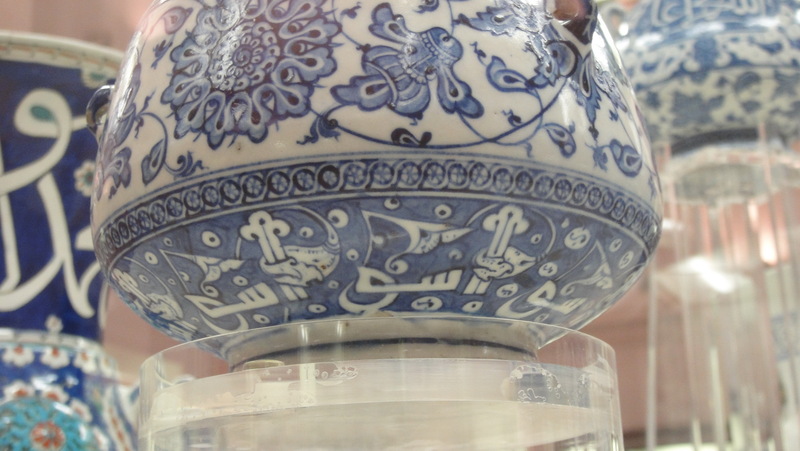 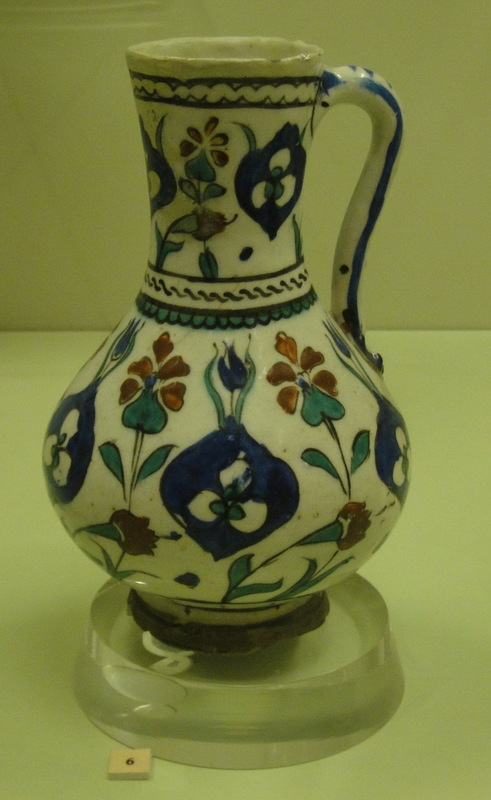 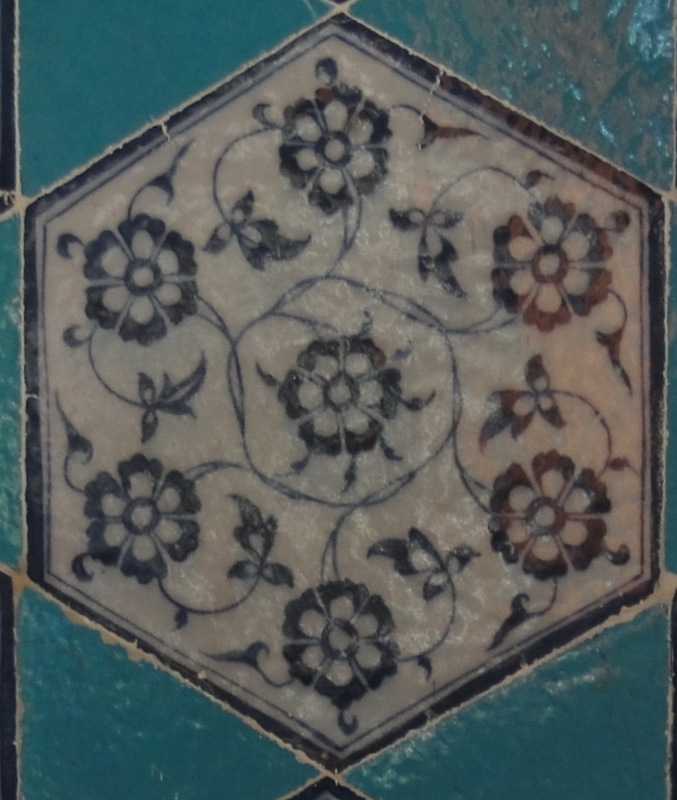 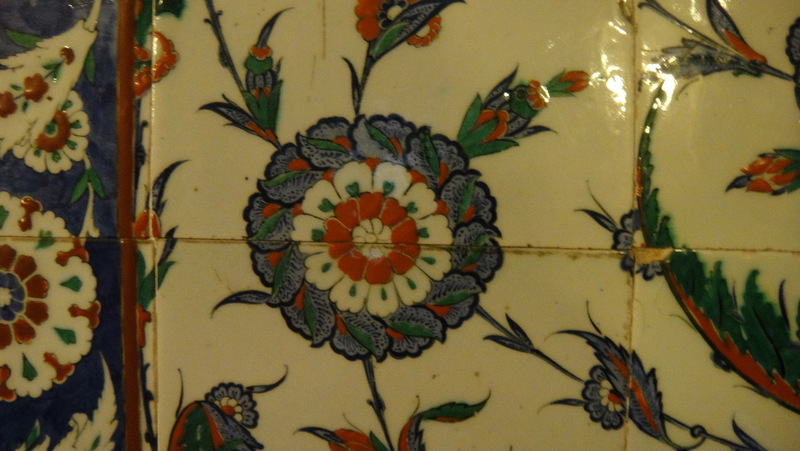 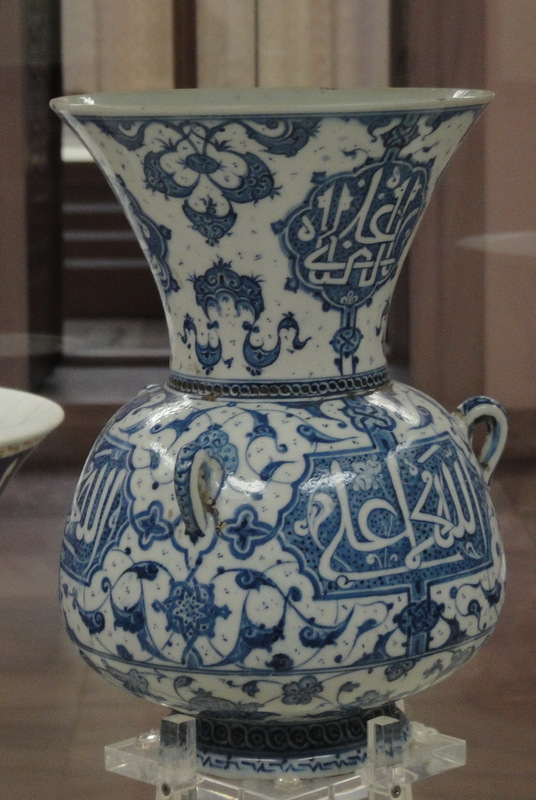 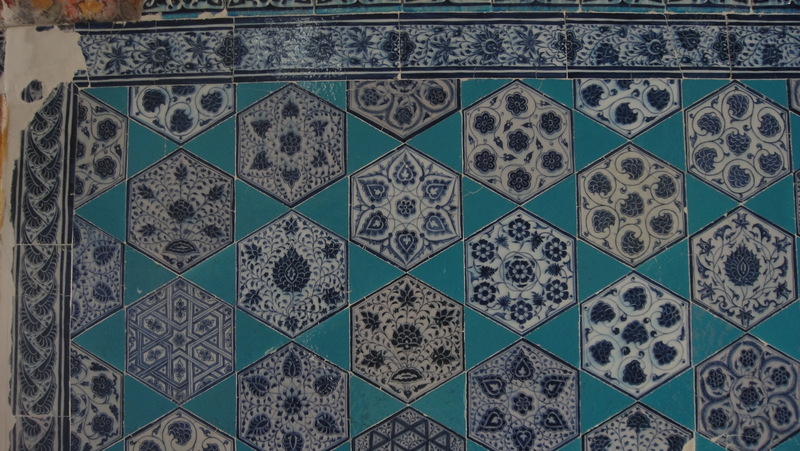 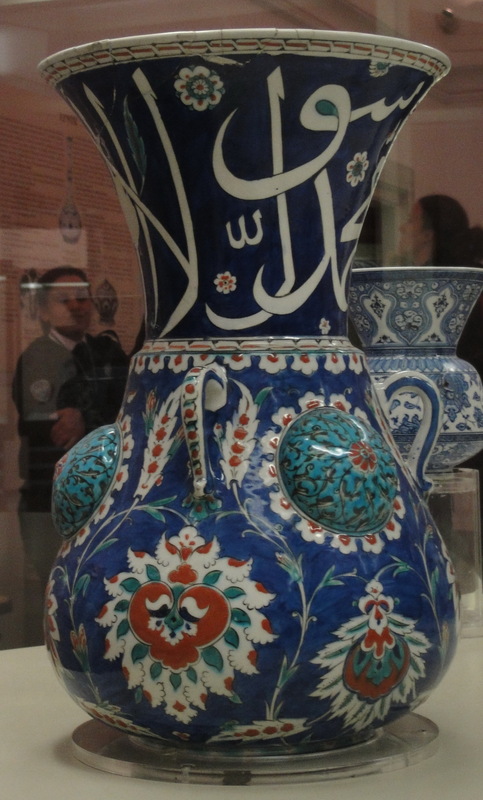 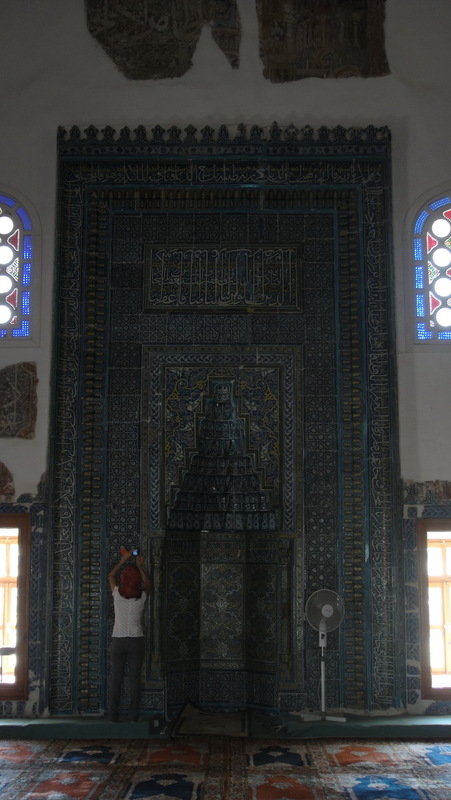 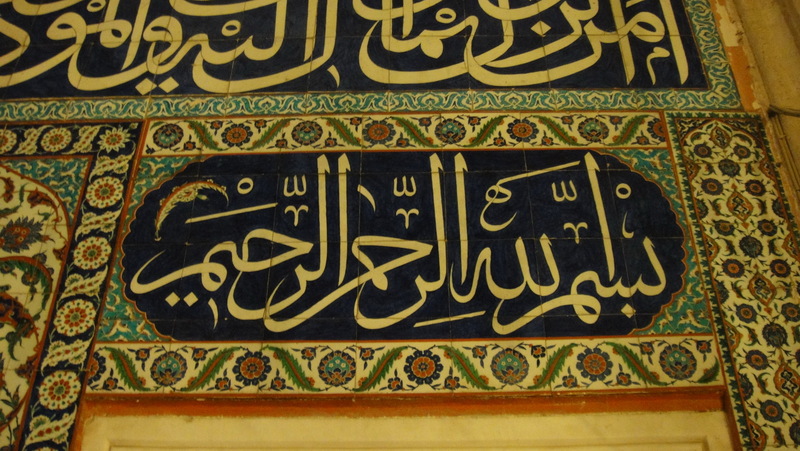 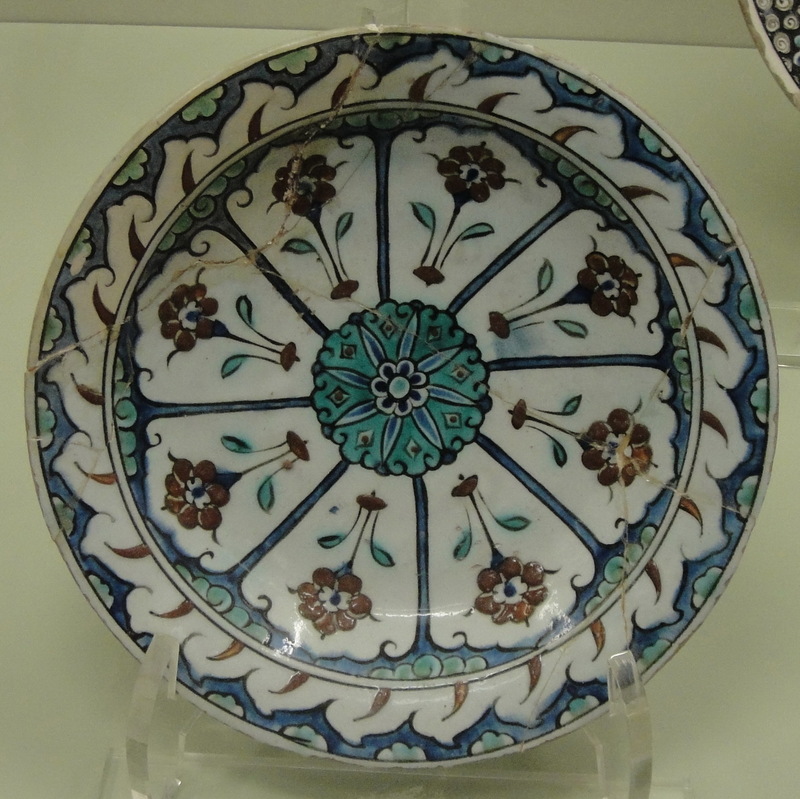 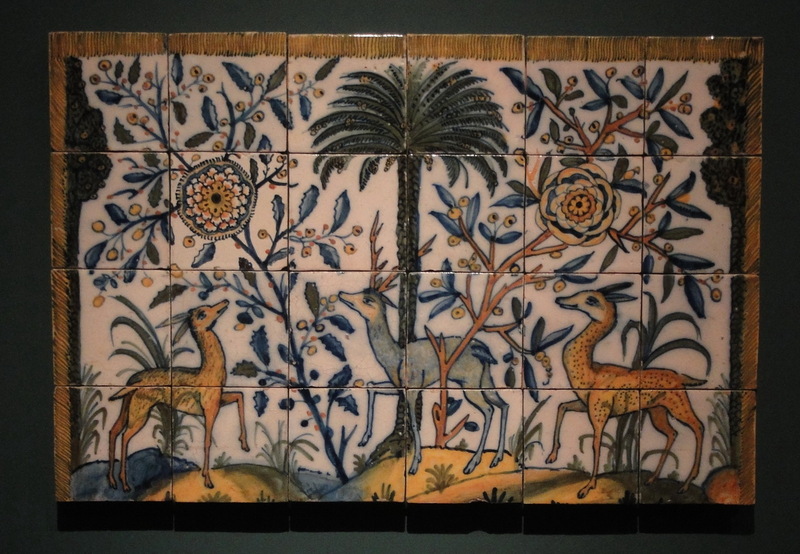 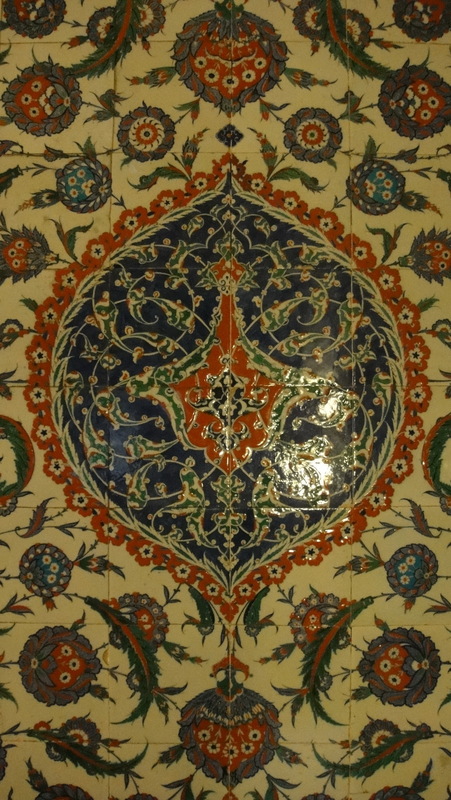 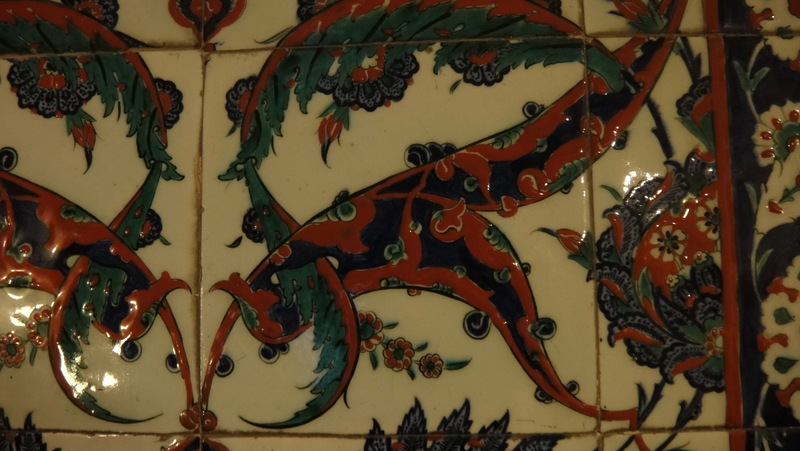 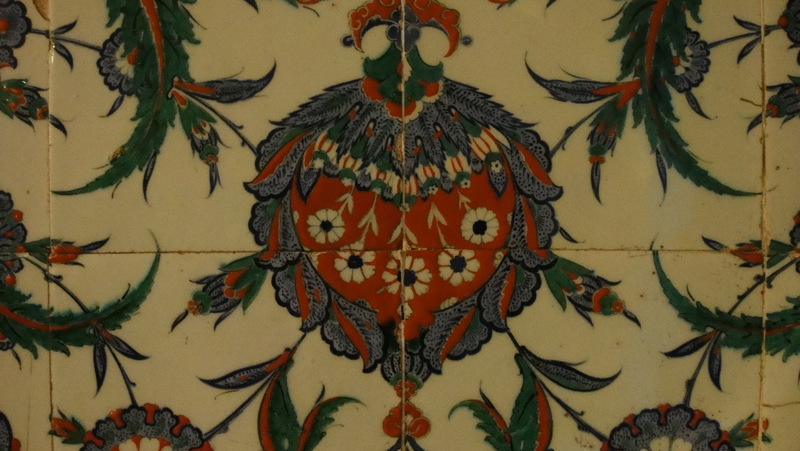 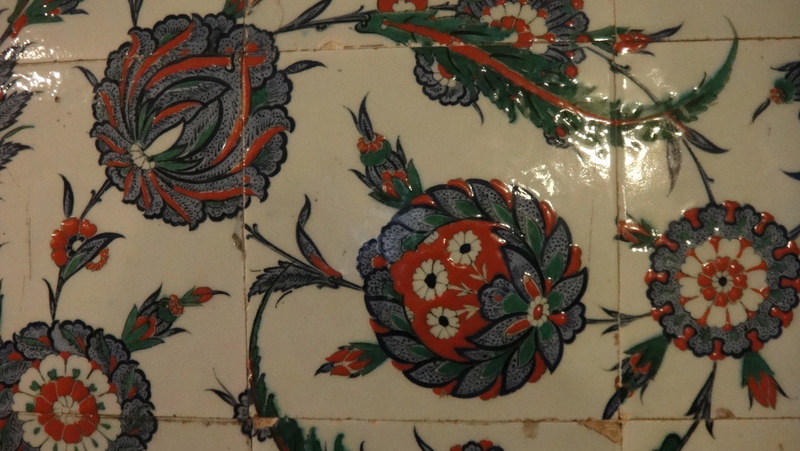 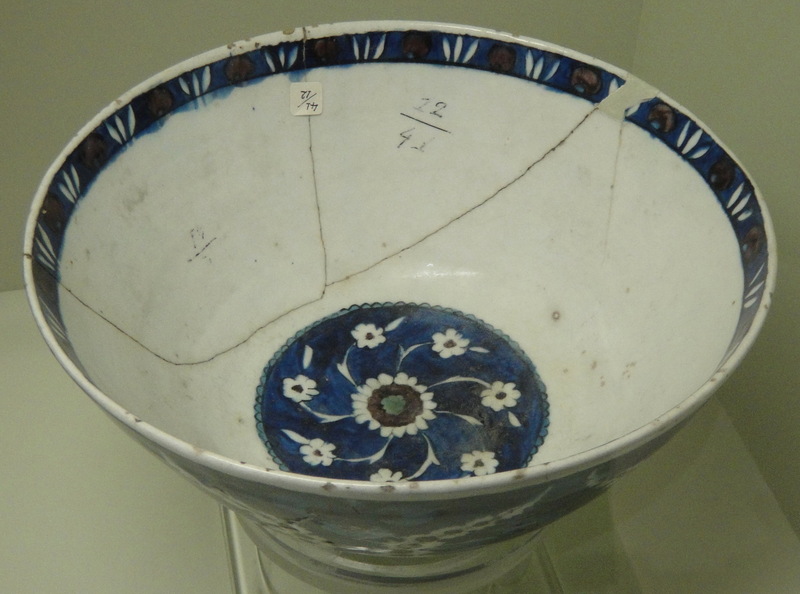 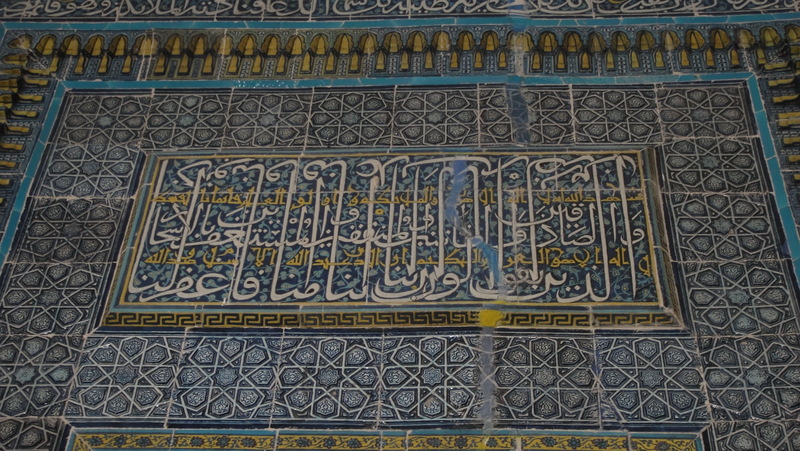 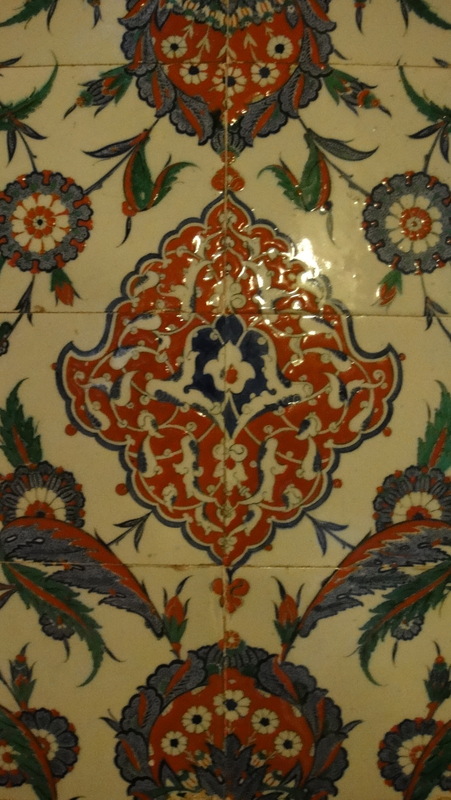 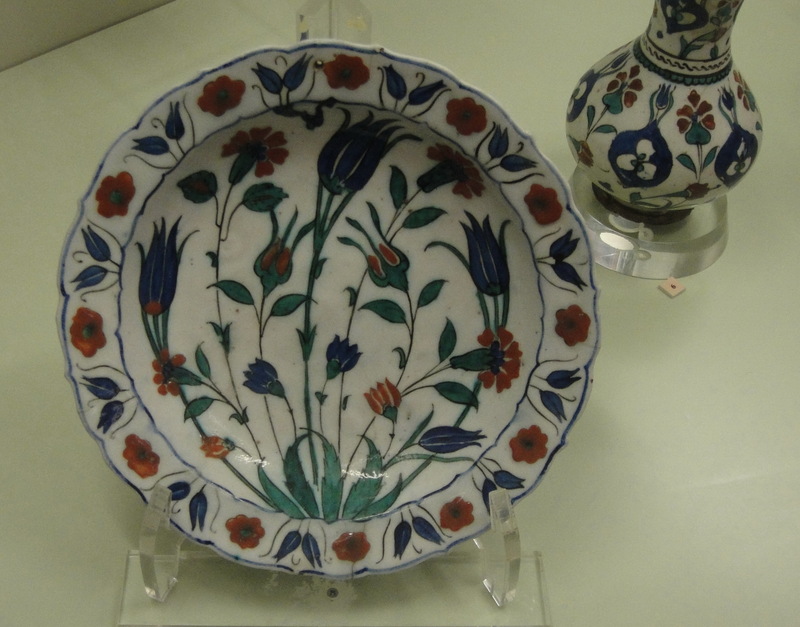 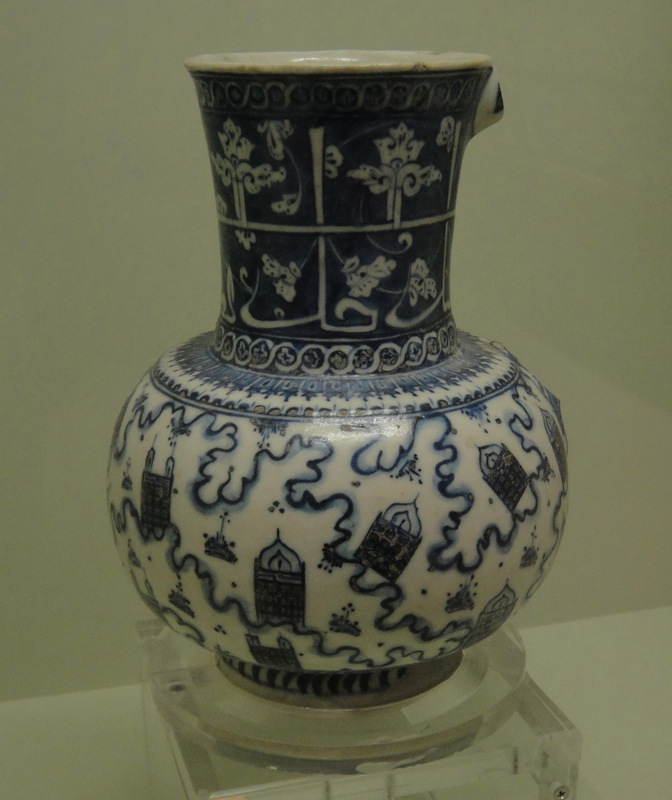 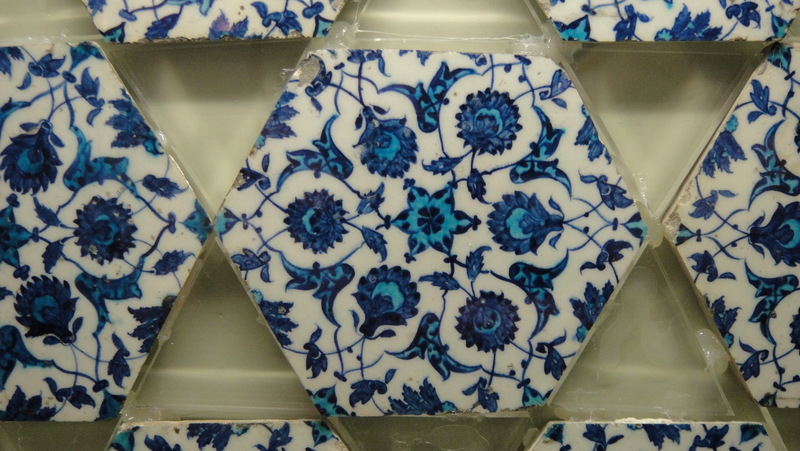 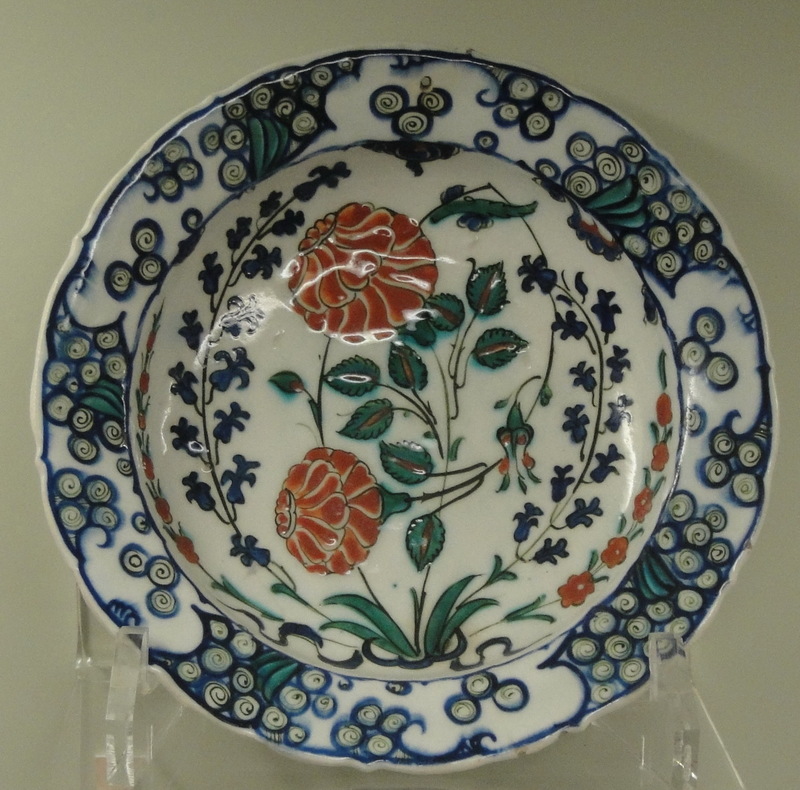 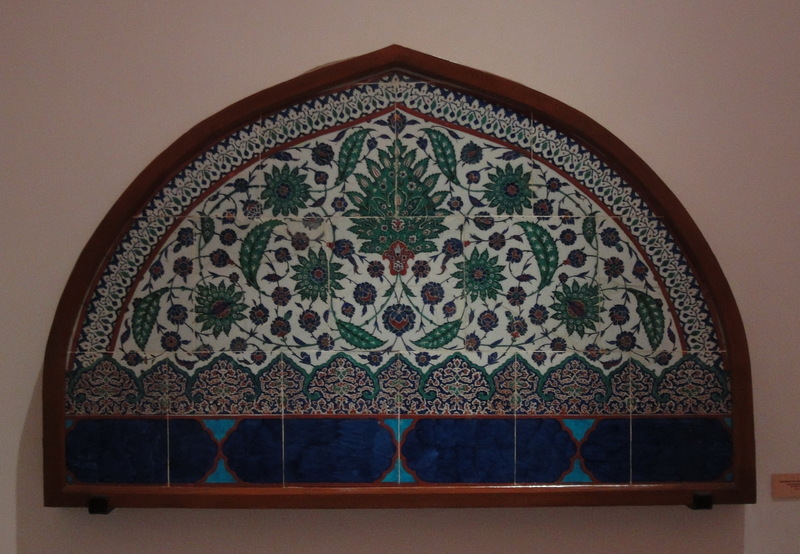 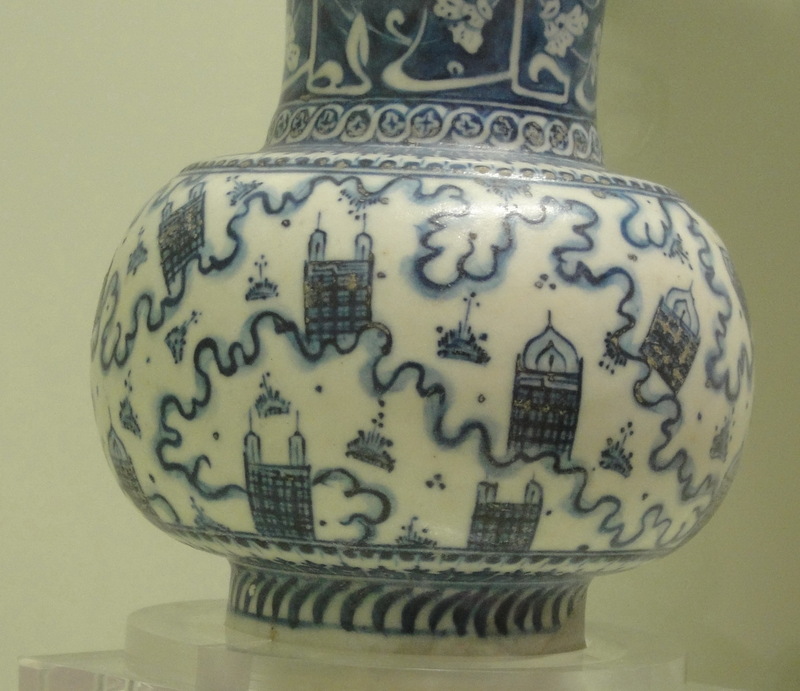 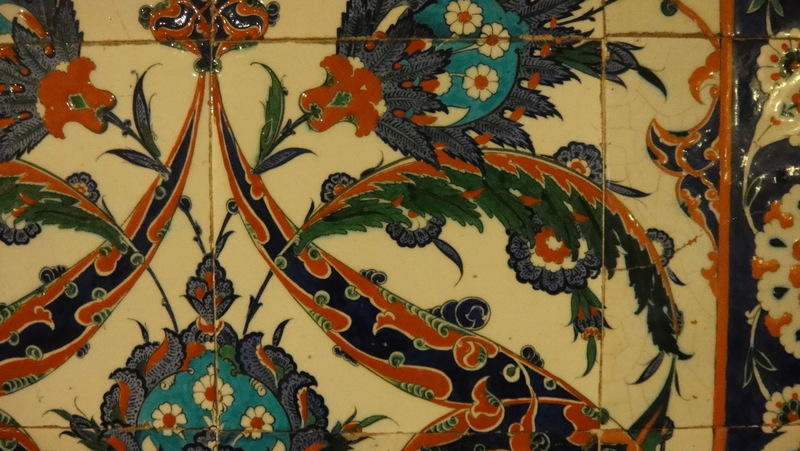 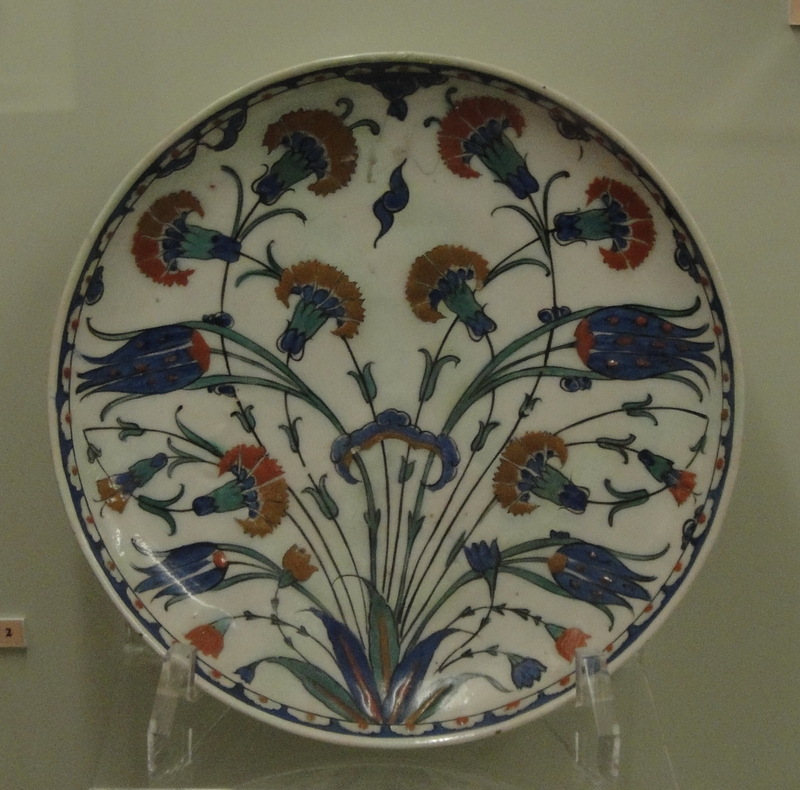 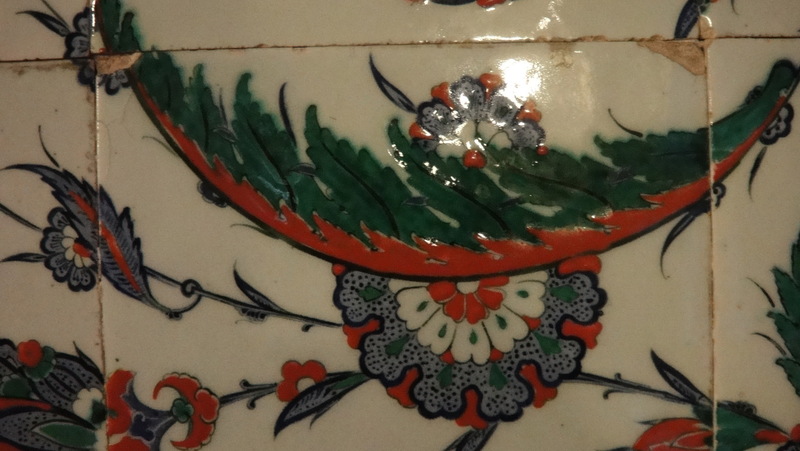 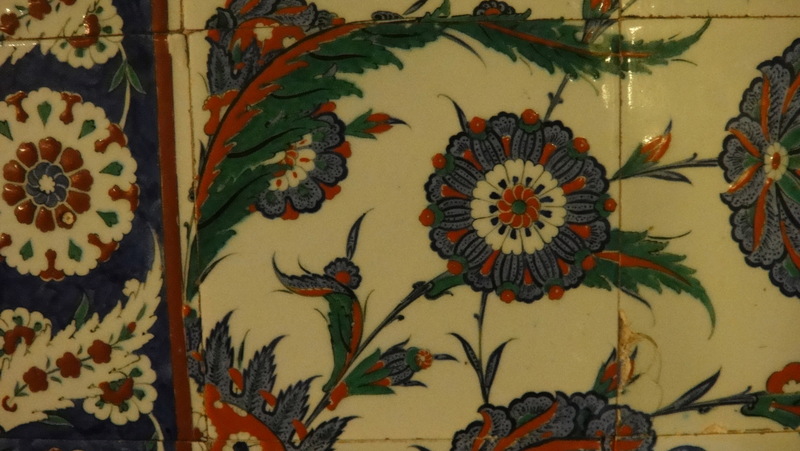 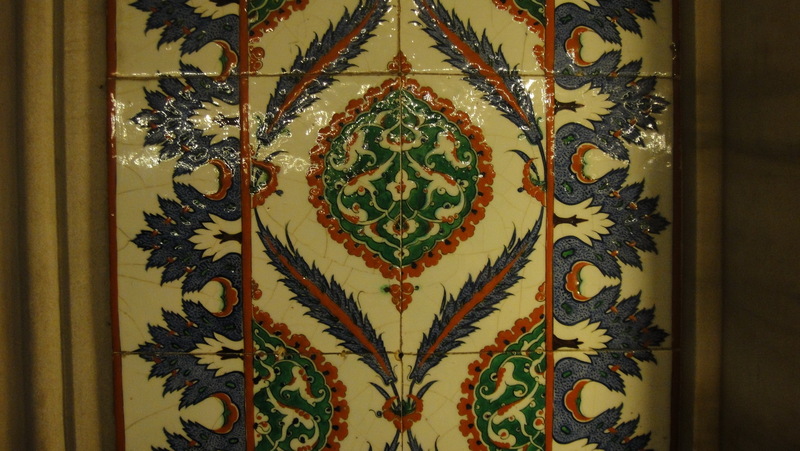 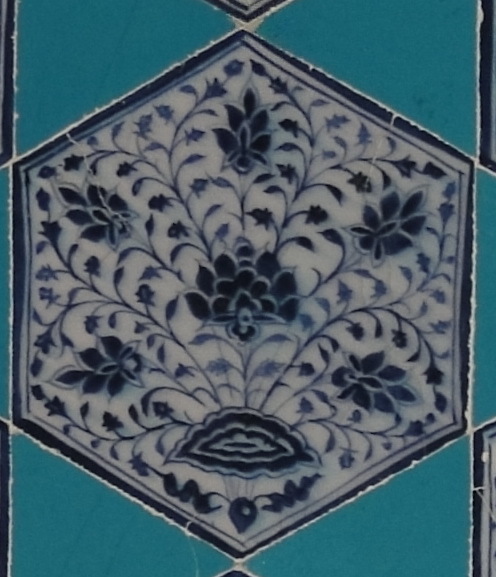 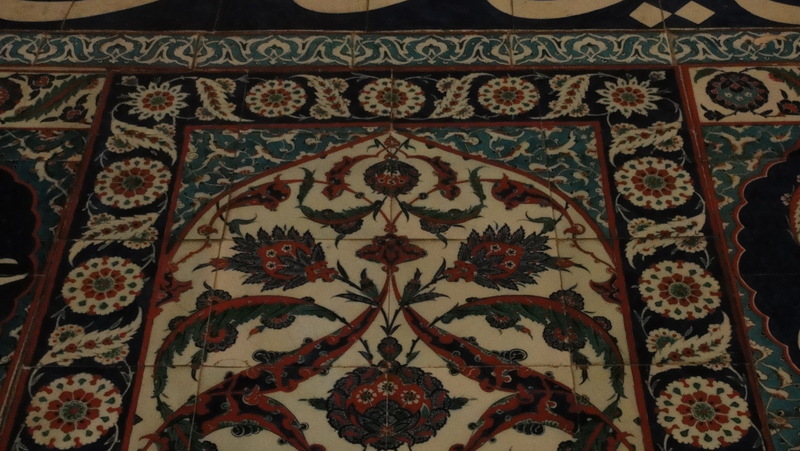 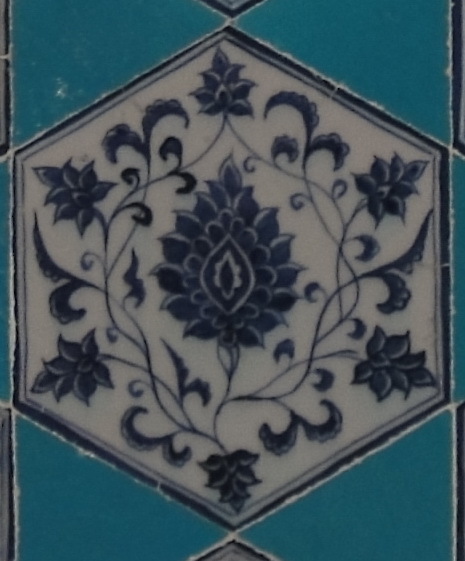 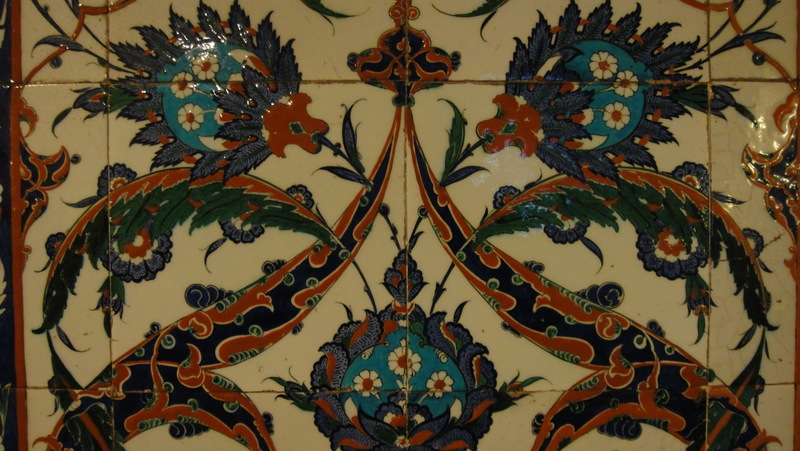 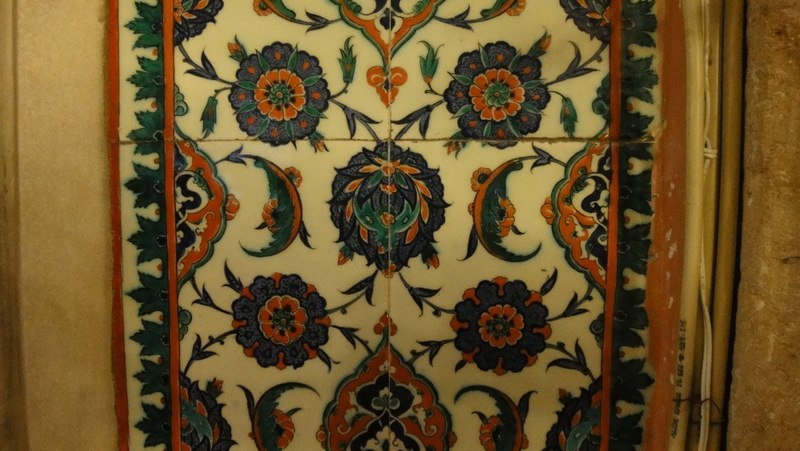 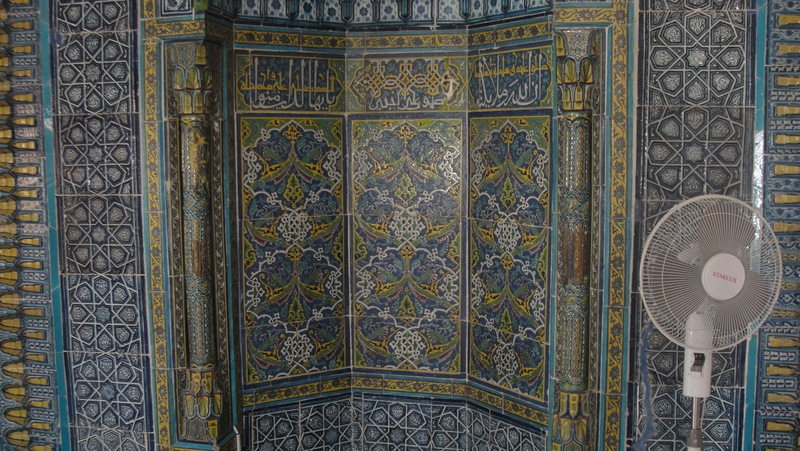 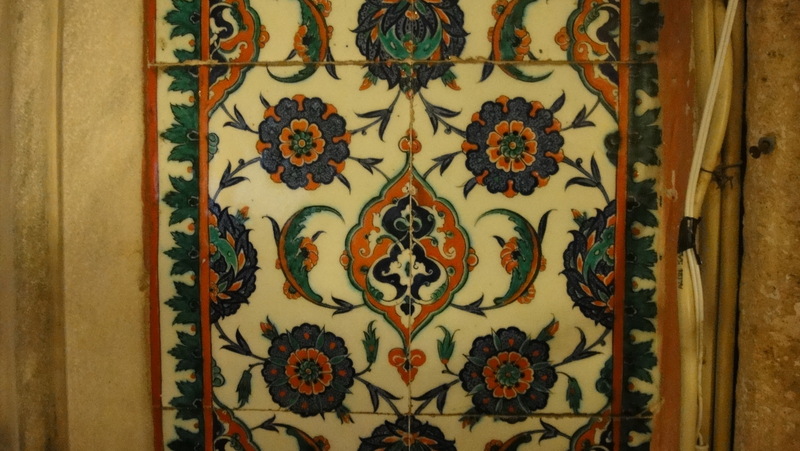 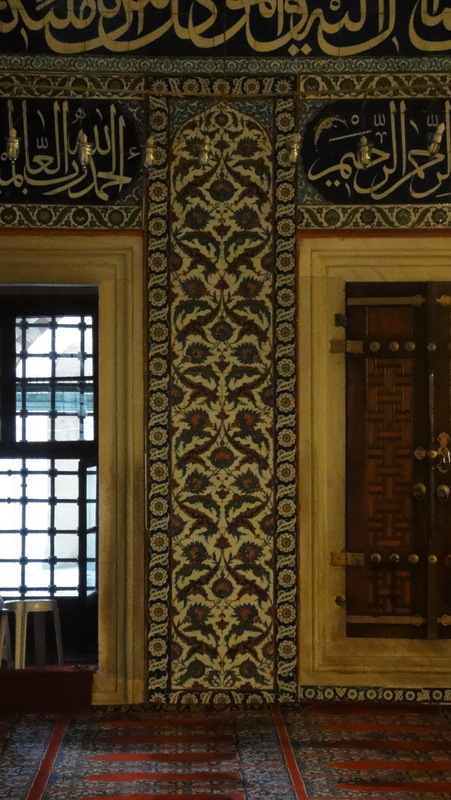 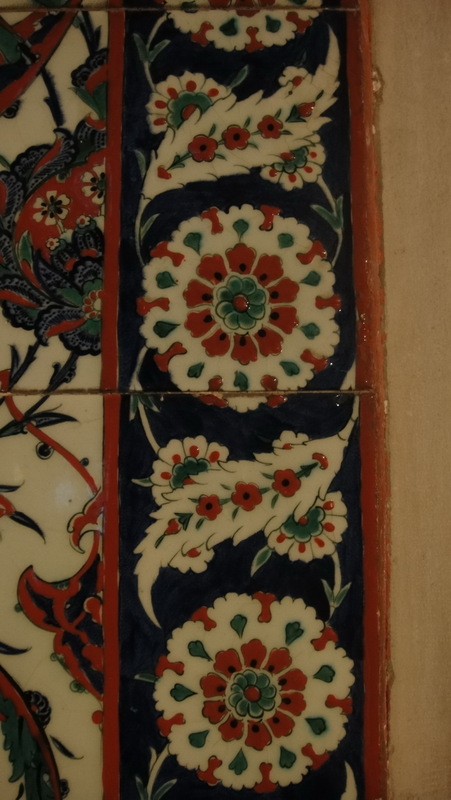 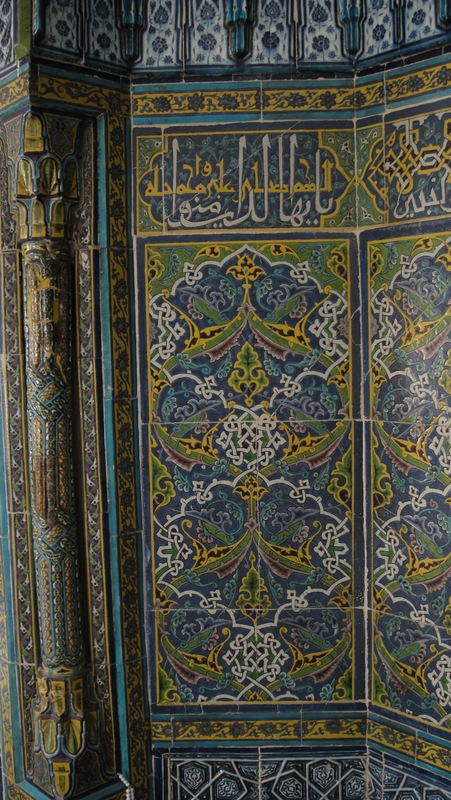 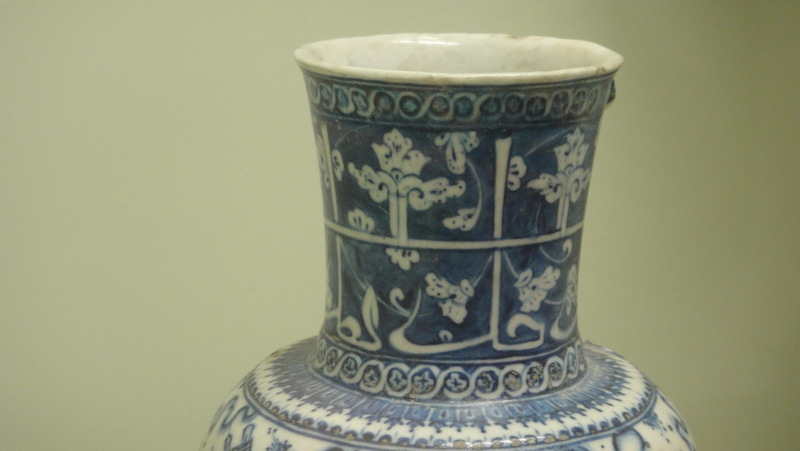 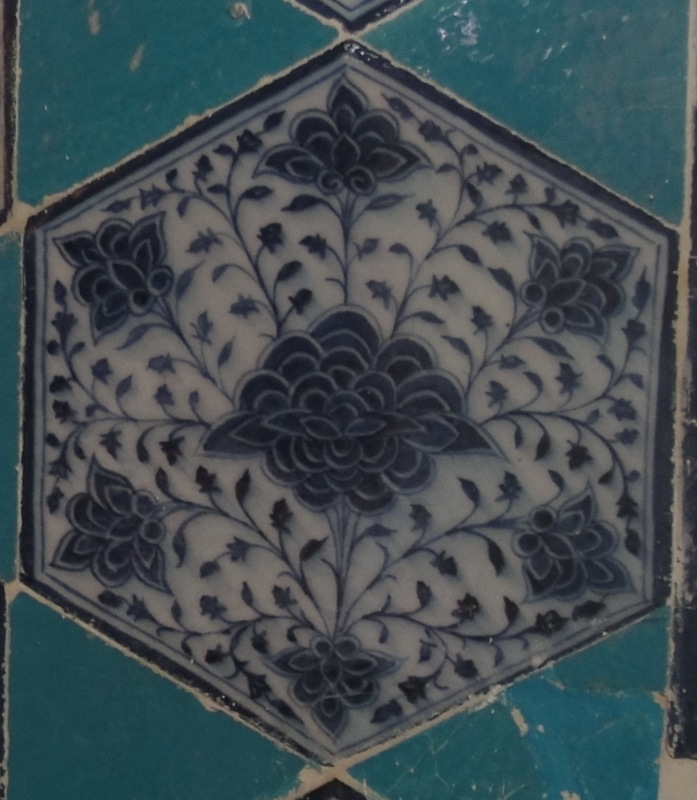 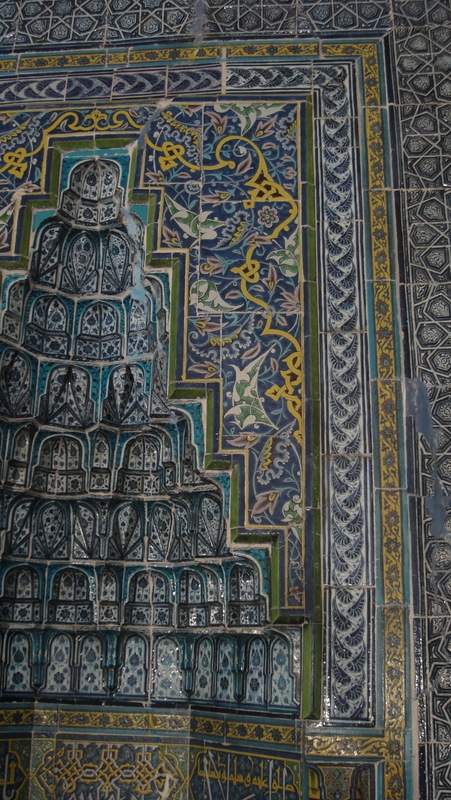 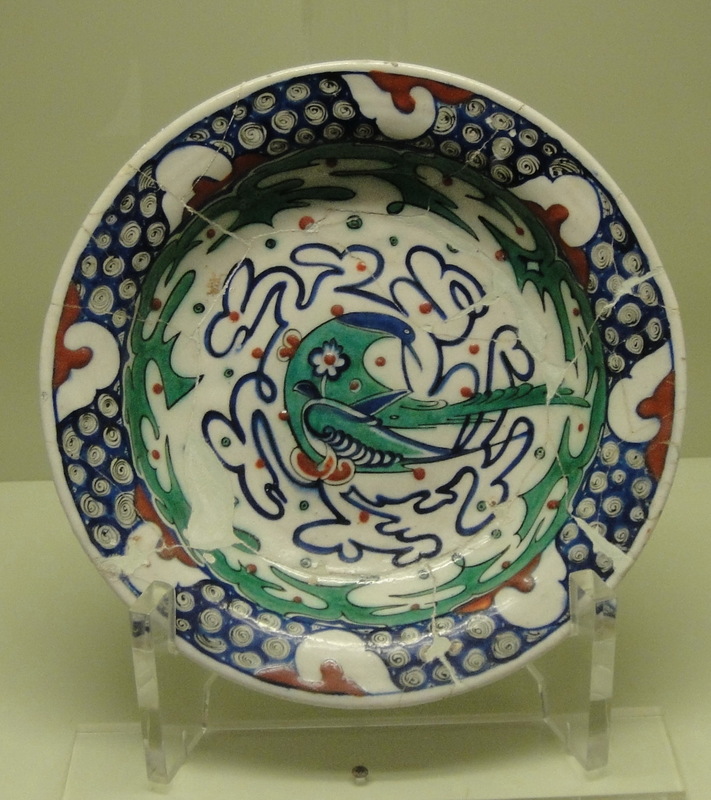 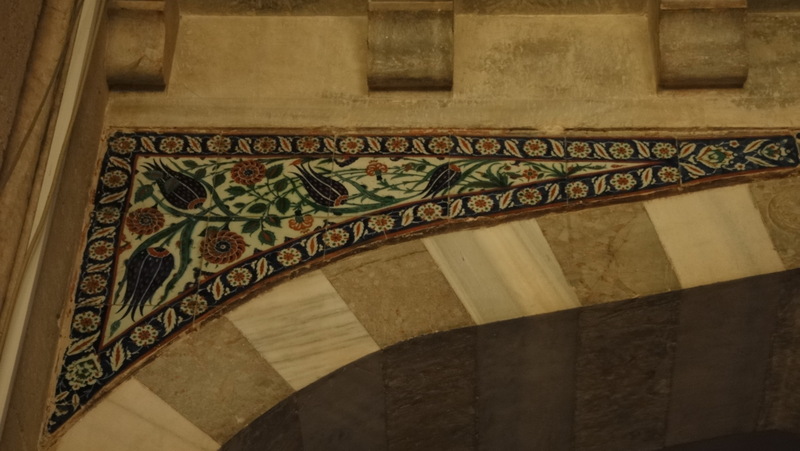 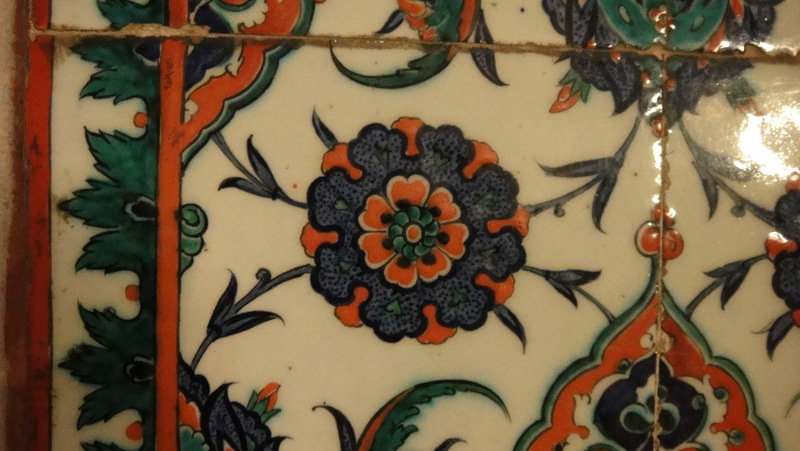 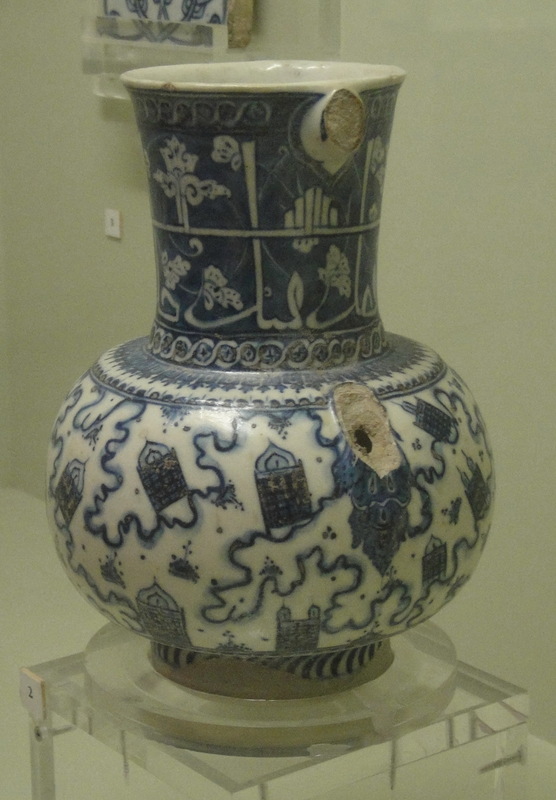 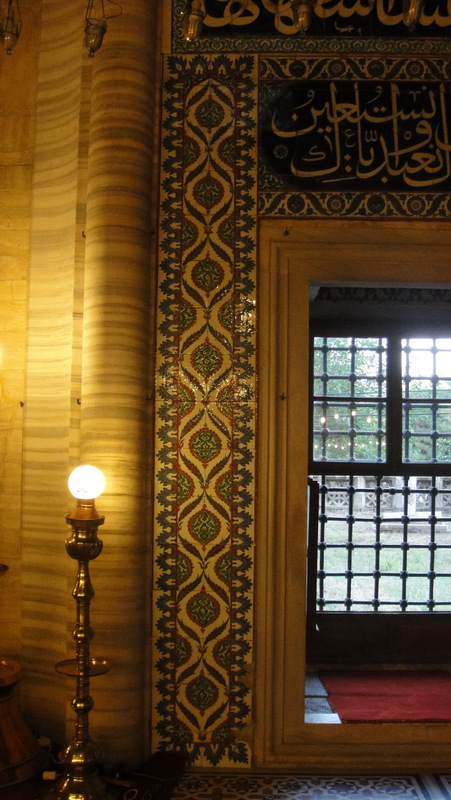 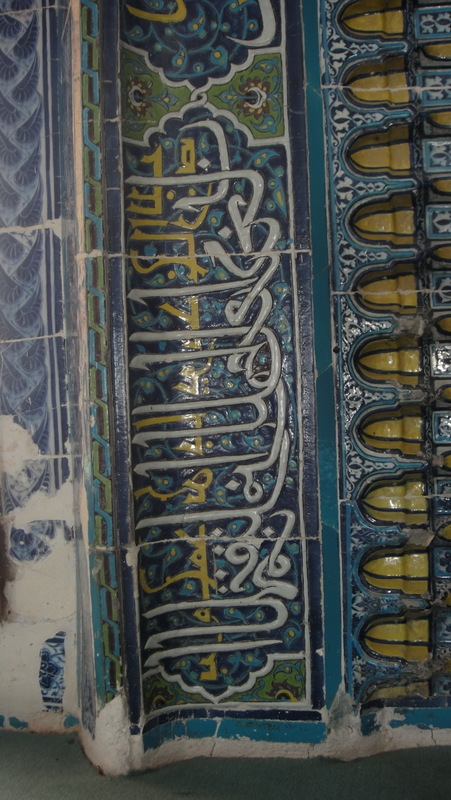 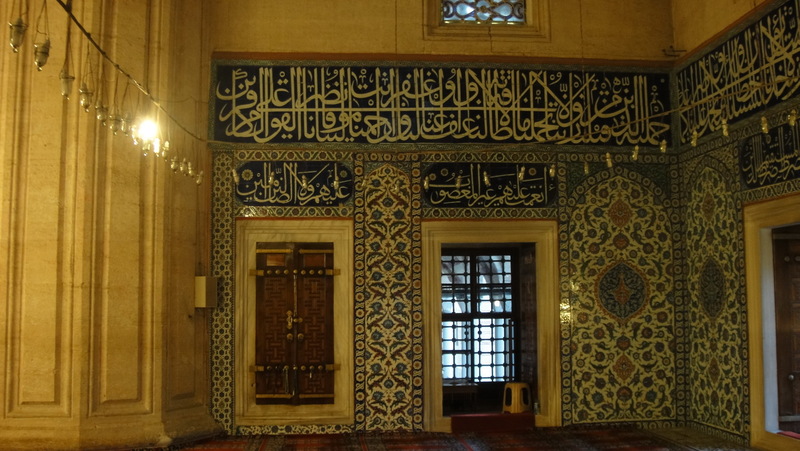 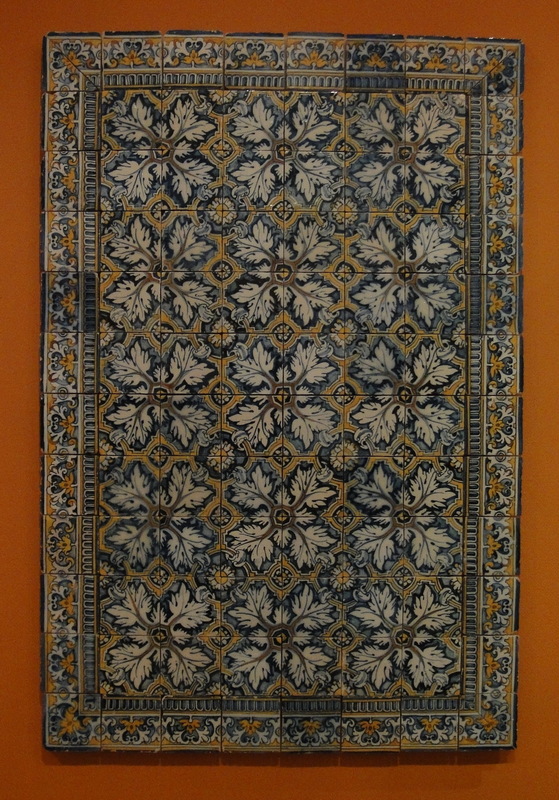 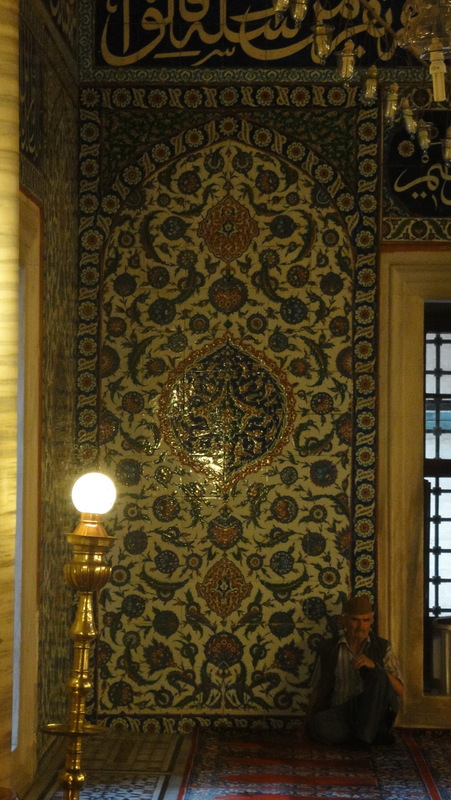 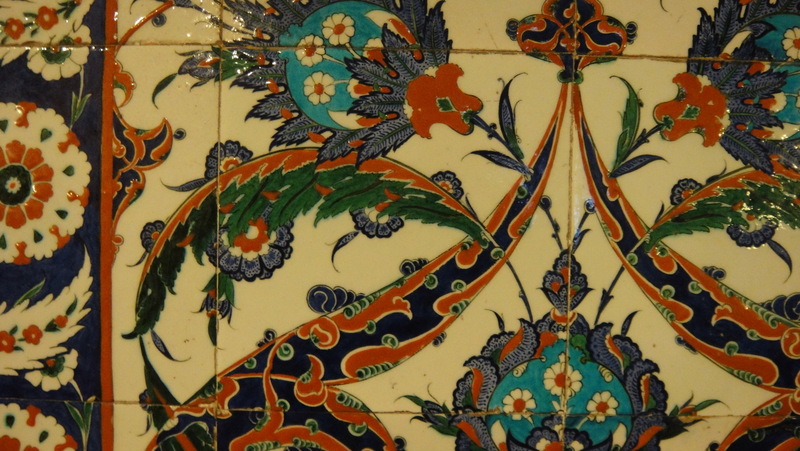 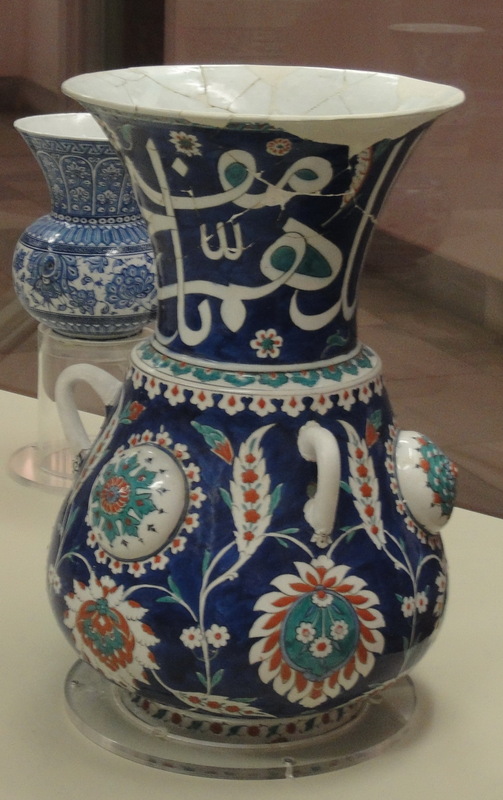 It also sports arguably the finest, best-painted, most beautiful Iznik tiles ever. 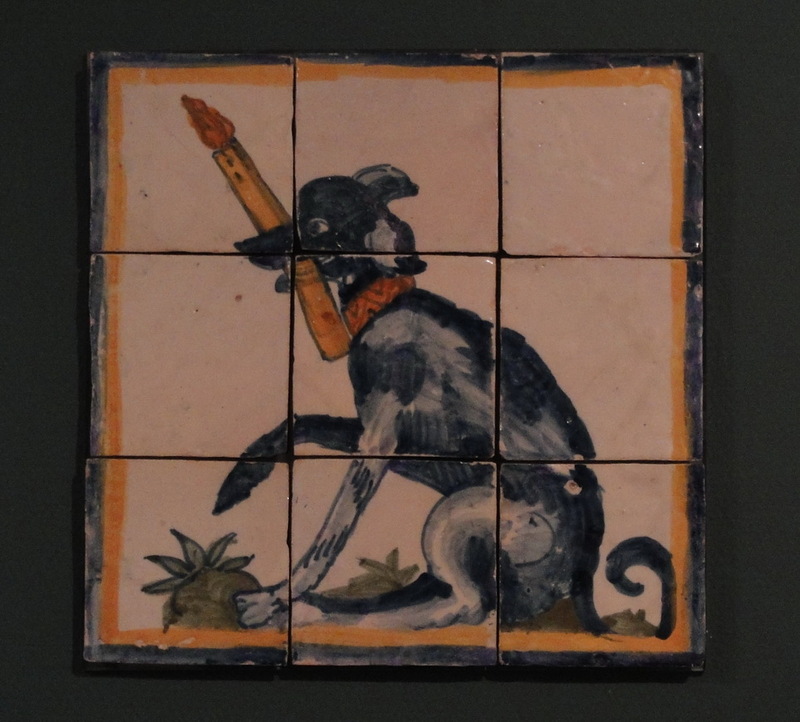 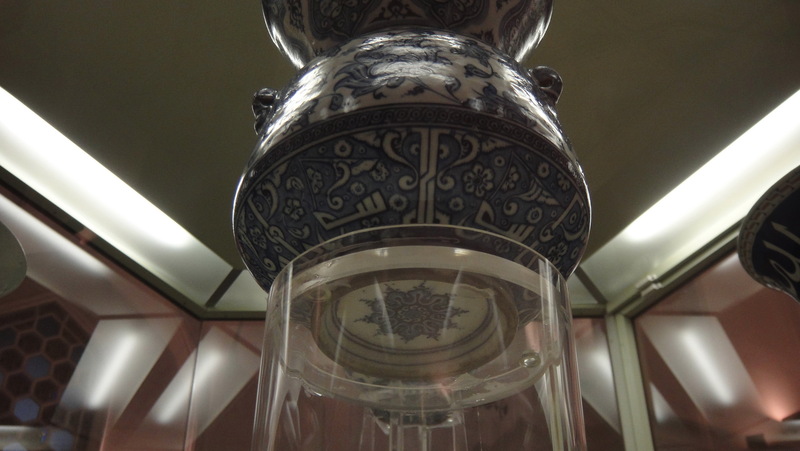 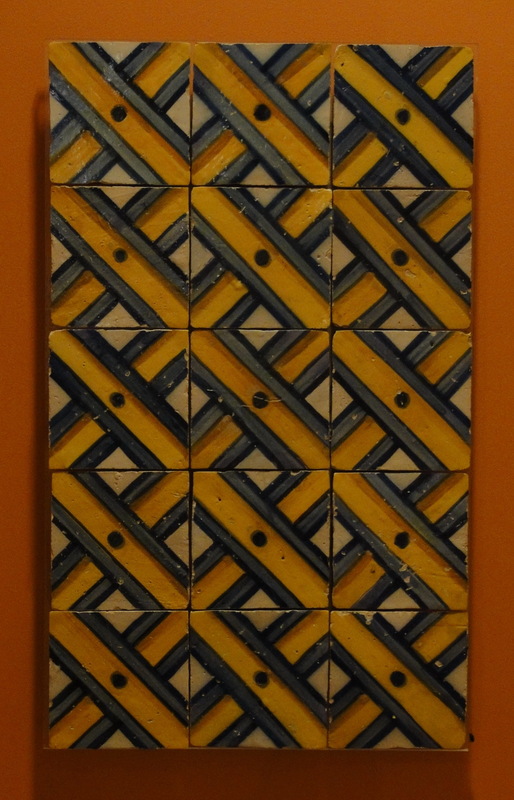 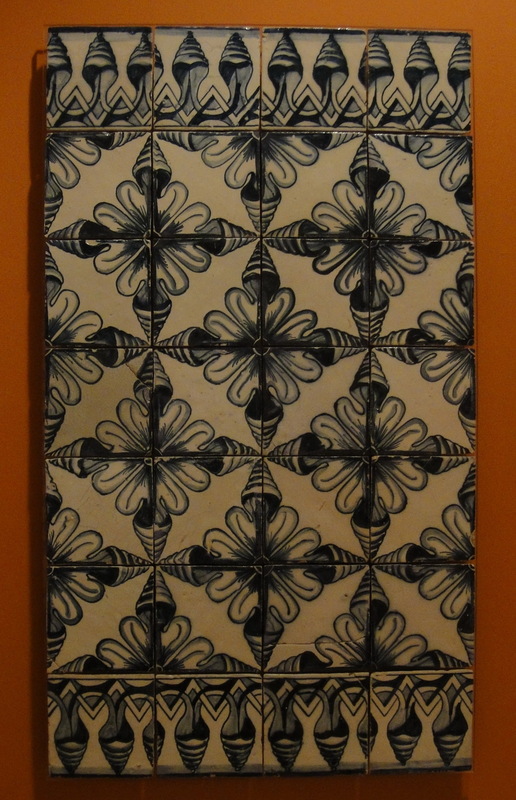 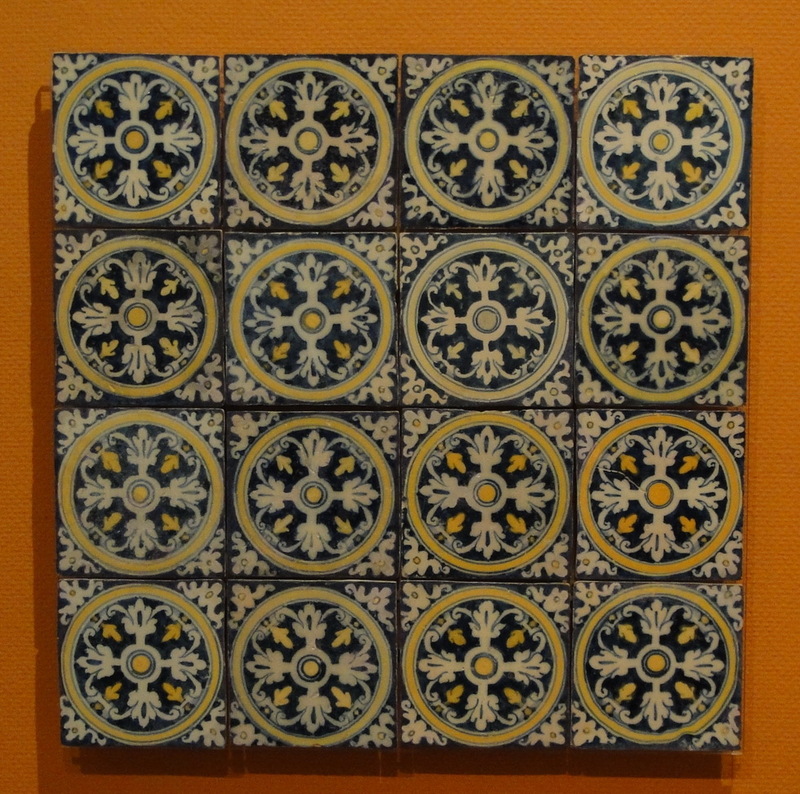 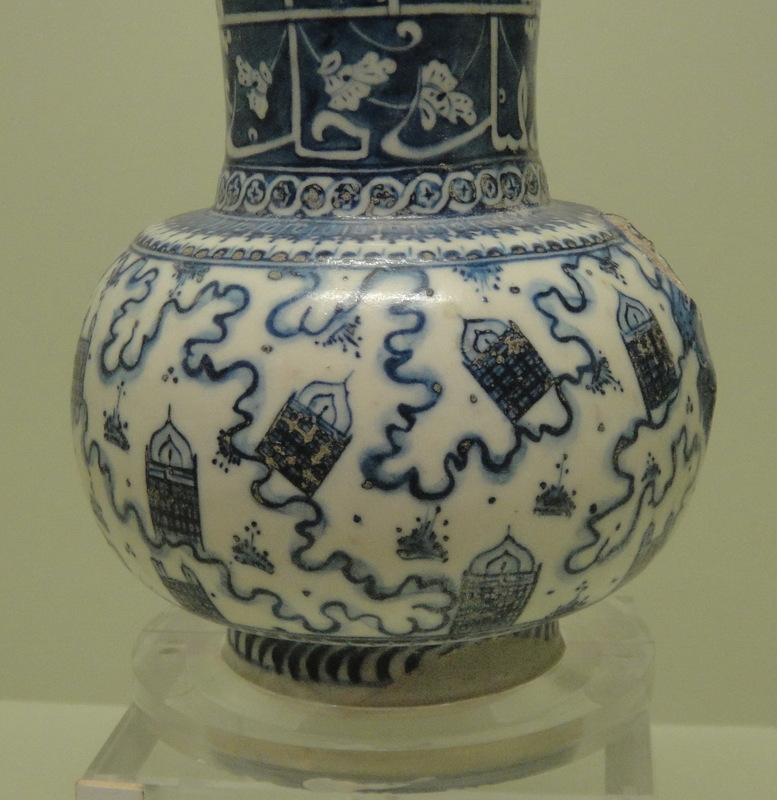 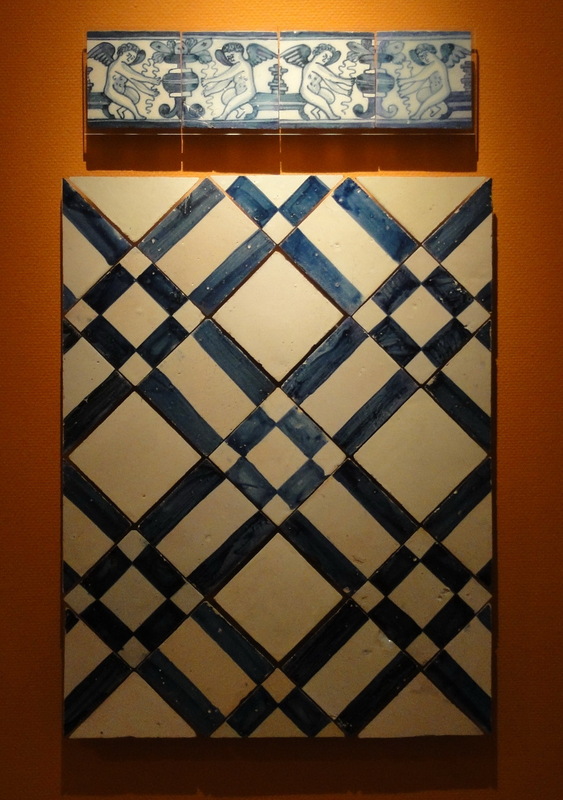 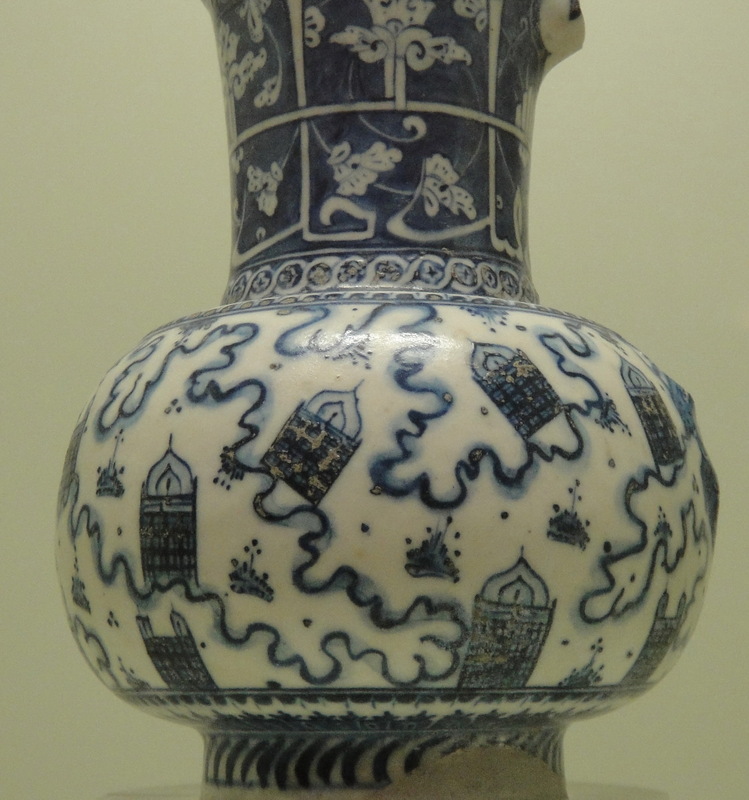 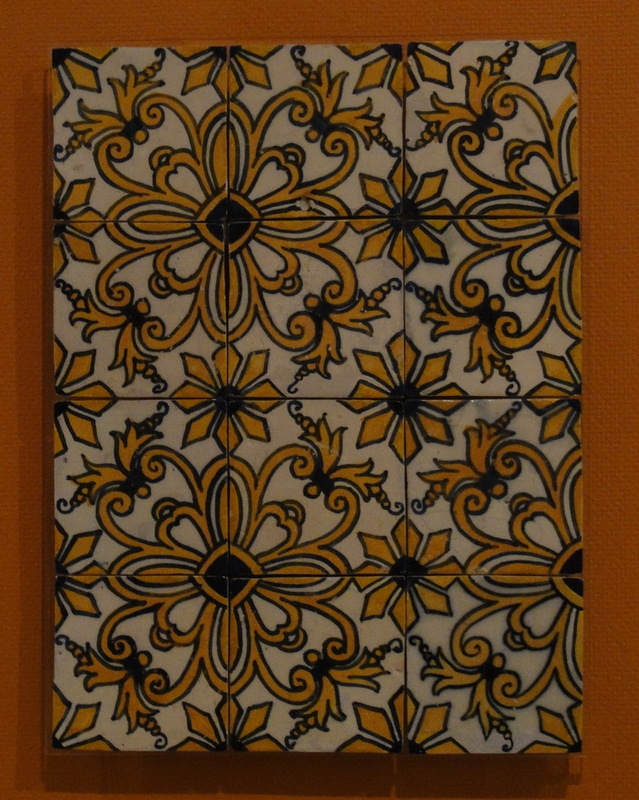 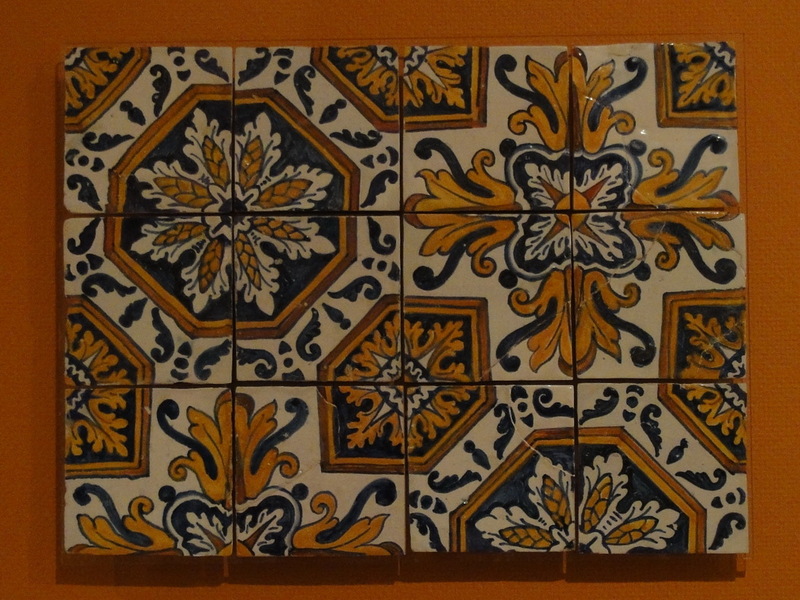 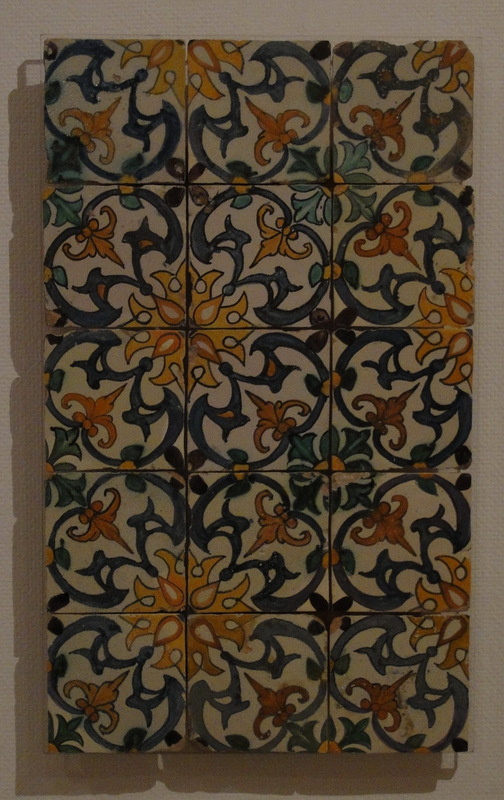 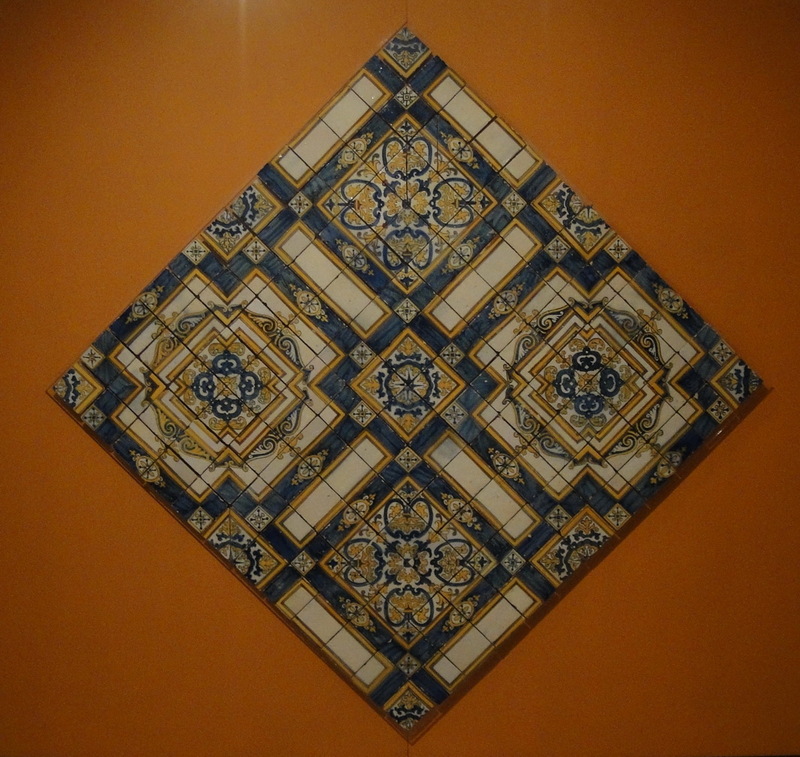 From a temporary show at the Museu de Azulejo, Lisbon. 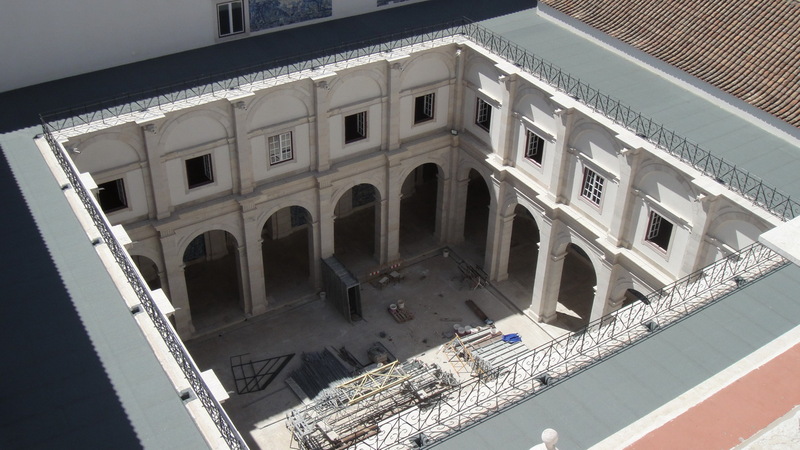 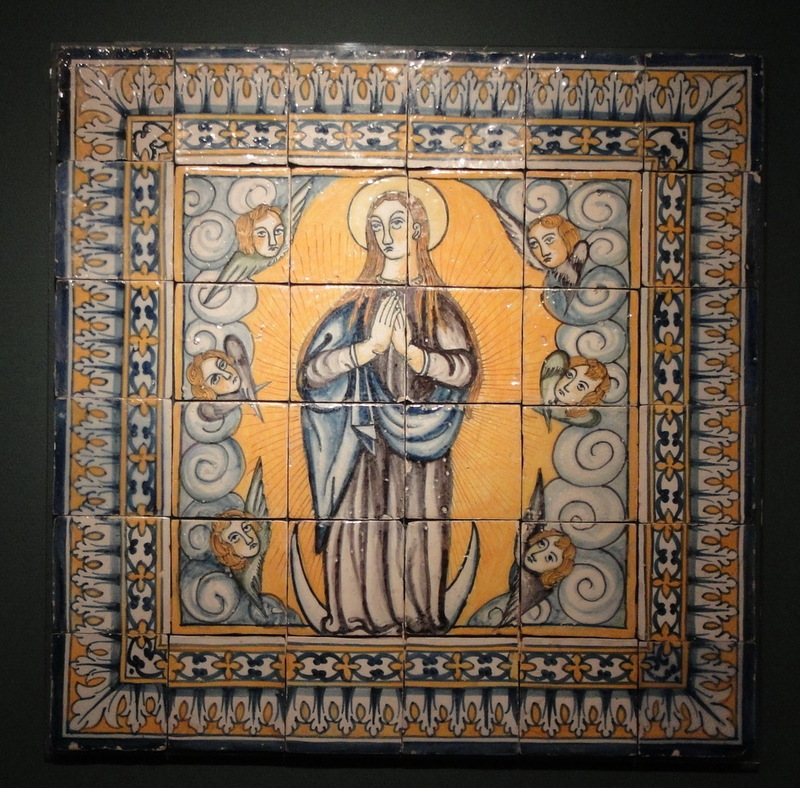 Among Lisbon’s many mysteries is her patron saint who arrived in the city… as a dead corpse washed up on her shores. 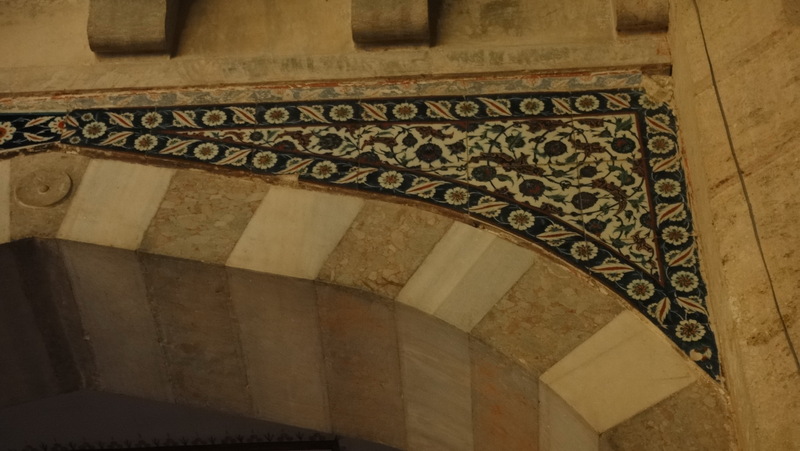 The church dedicated to him (and the patriarch’s seat) remained for many years outside the city walls. 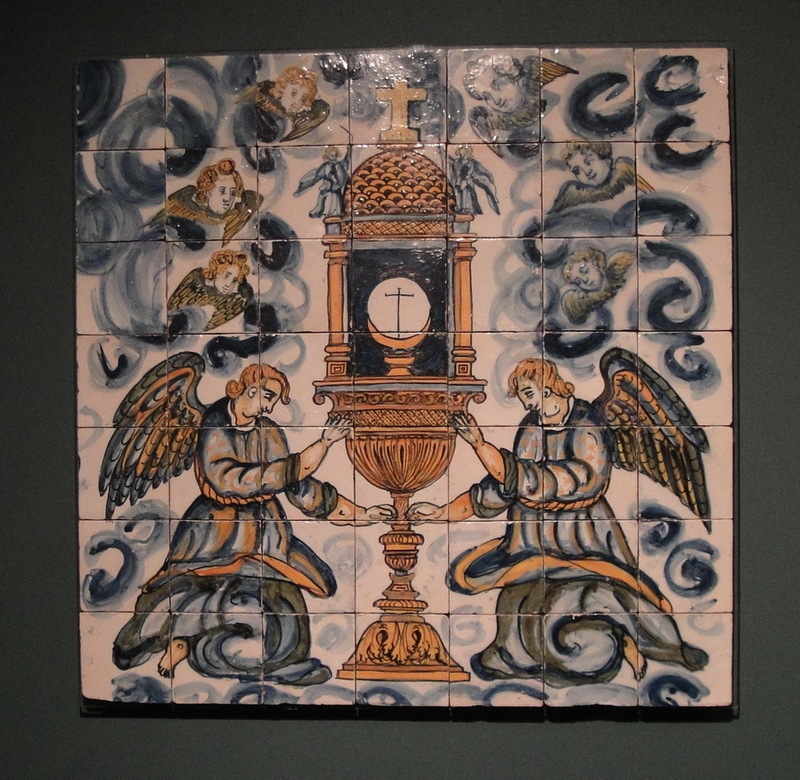 The monks being monks — and therefore men and therefore always liable to come up with some unruly scheme no matter how saintly they were supposed to be — were kept firmly under lock and key — to — ahem — protect the innocent. 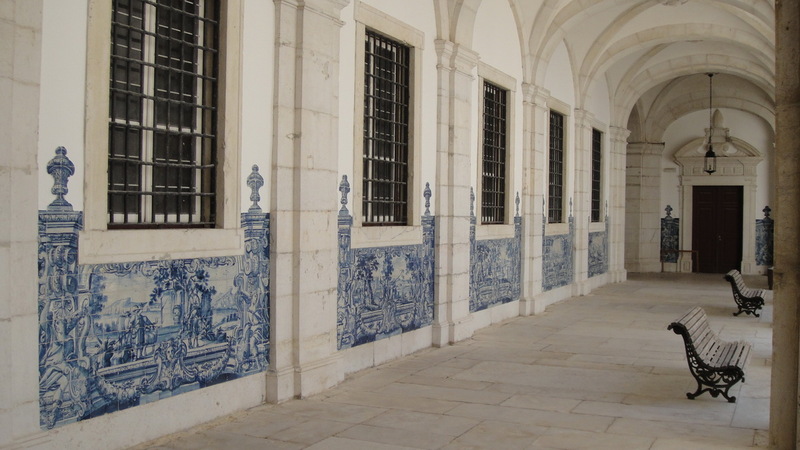 Their only chance to disport themselves out of doors were the monastery’s two large cloisters, of which this is one, now deliciously empty. 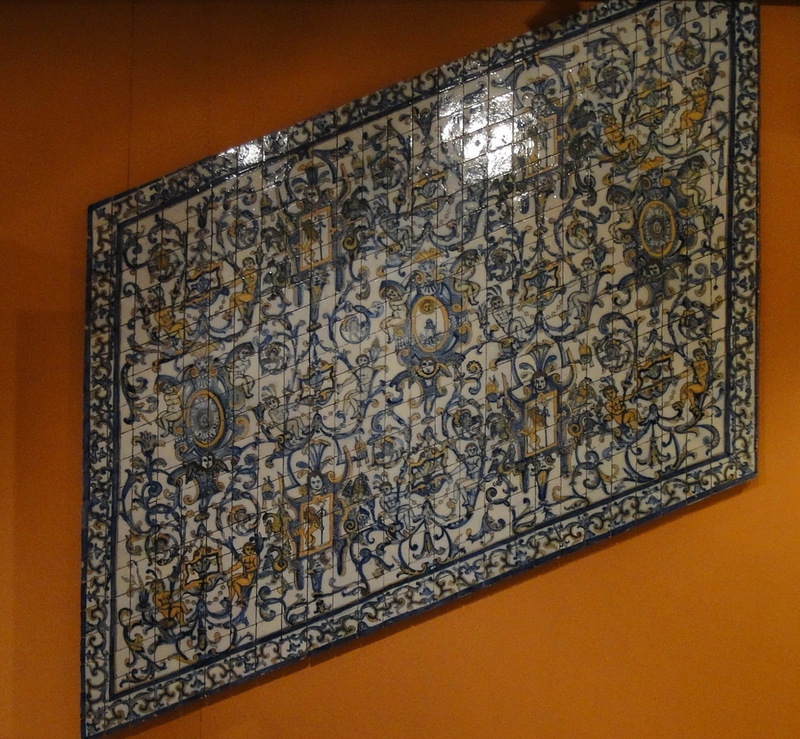 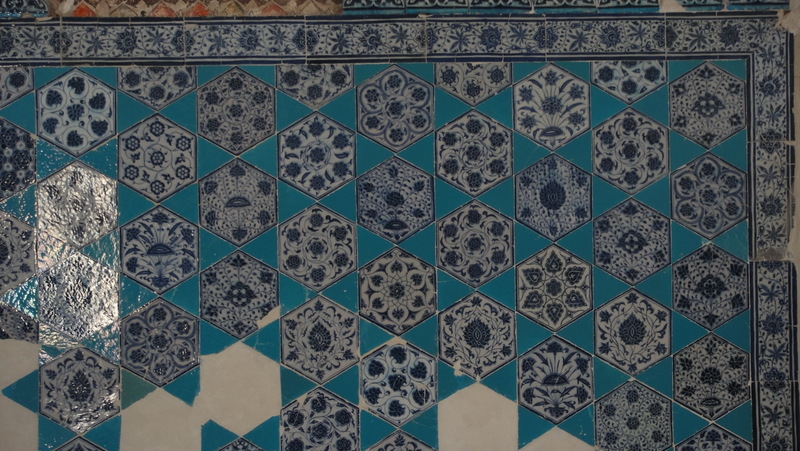 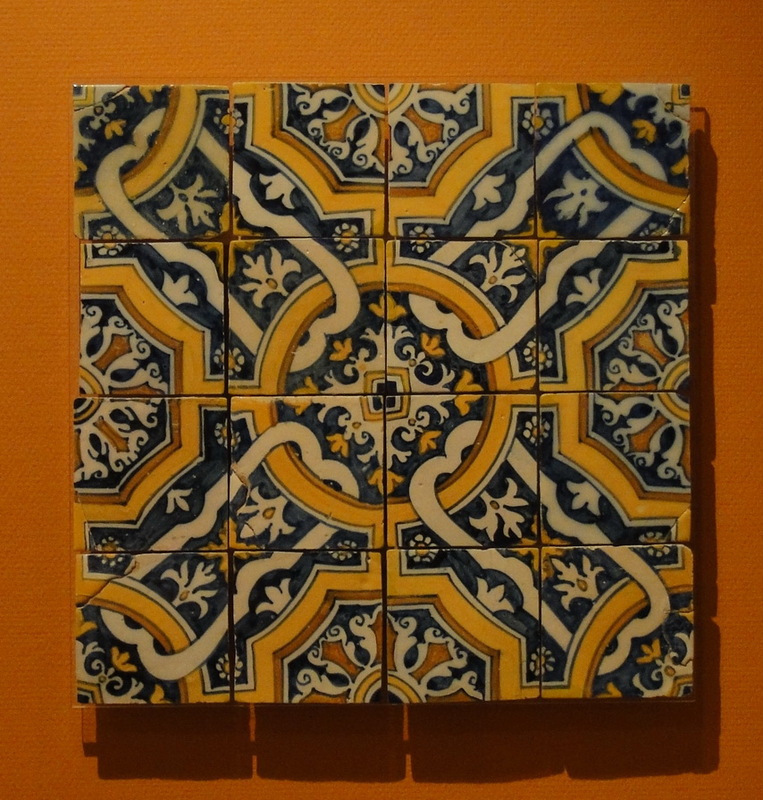 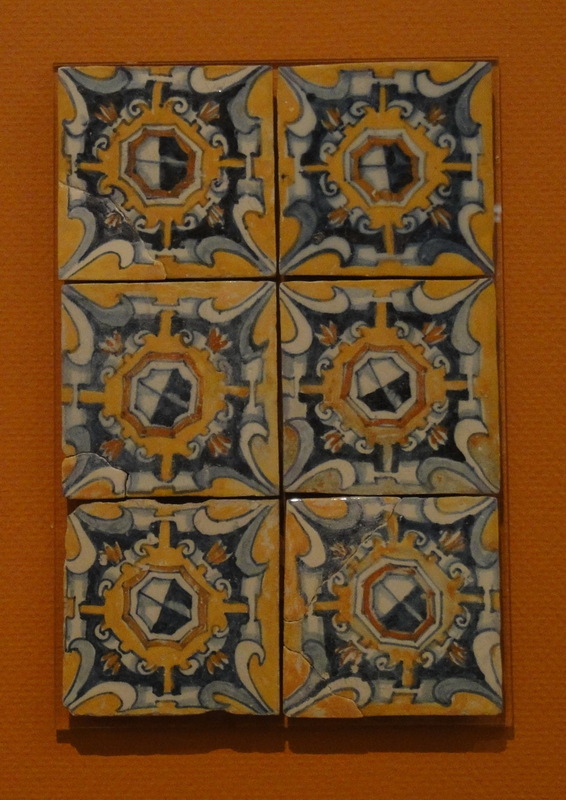 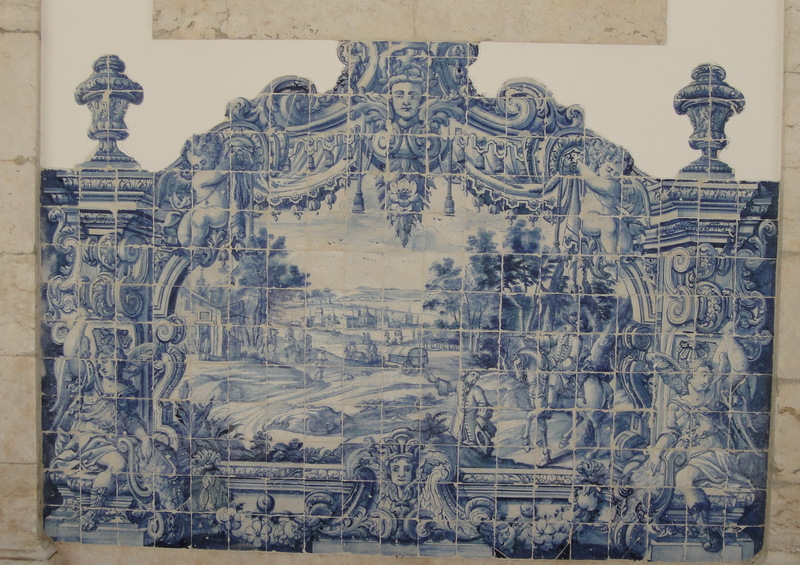 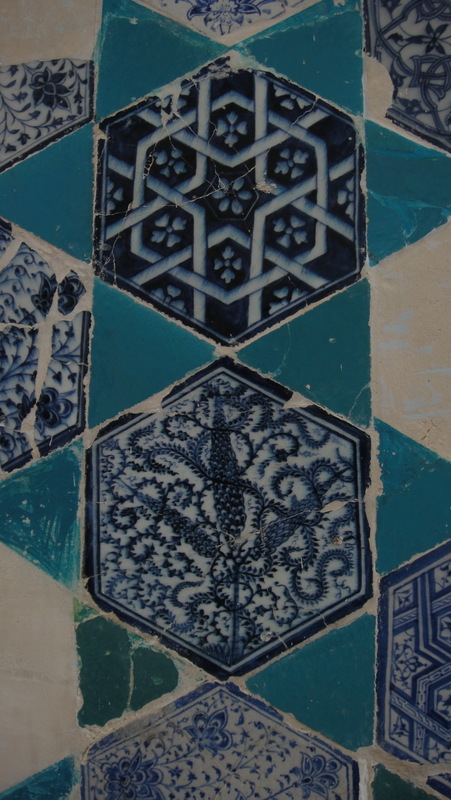 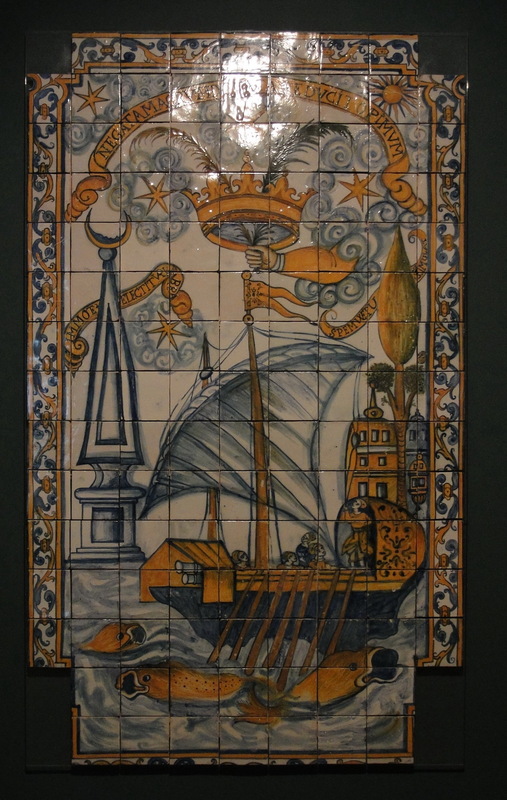 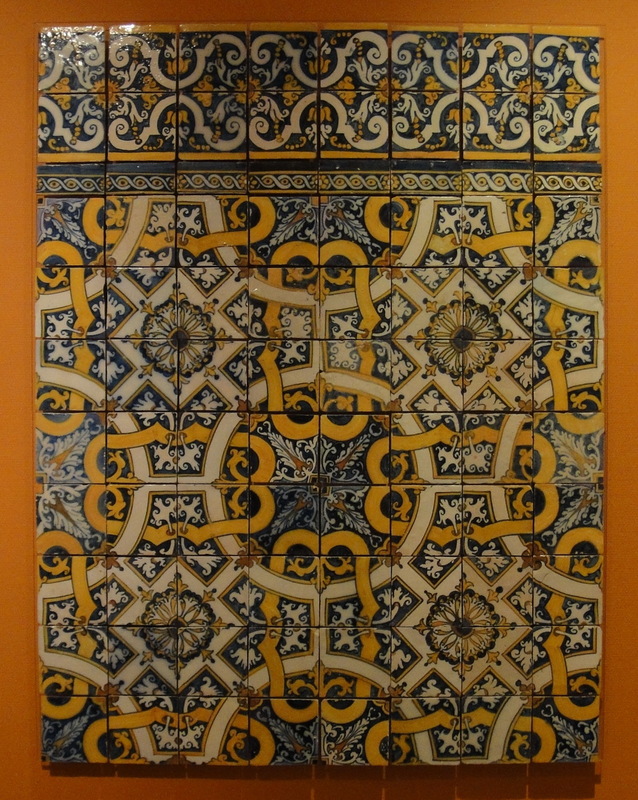 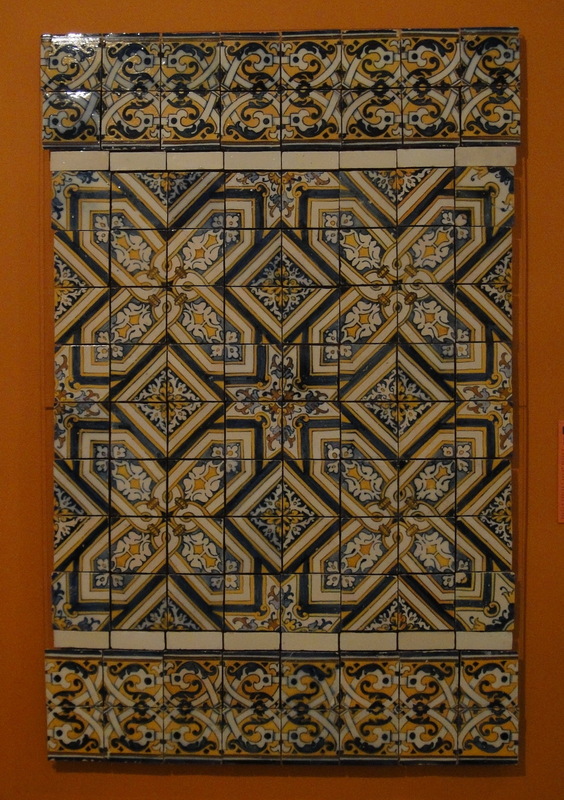 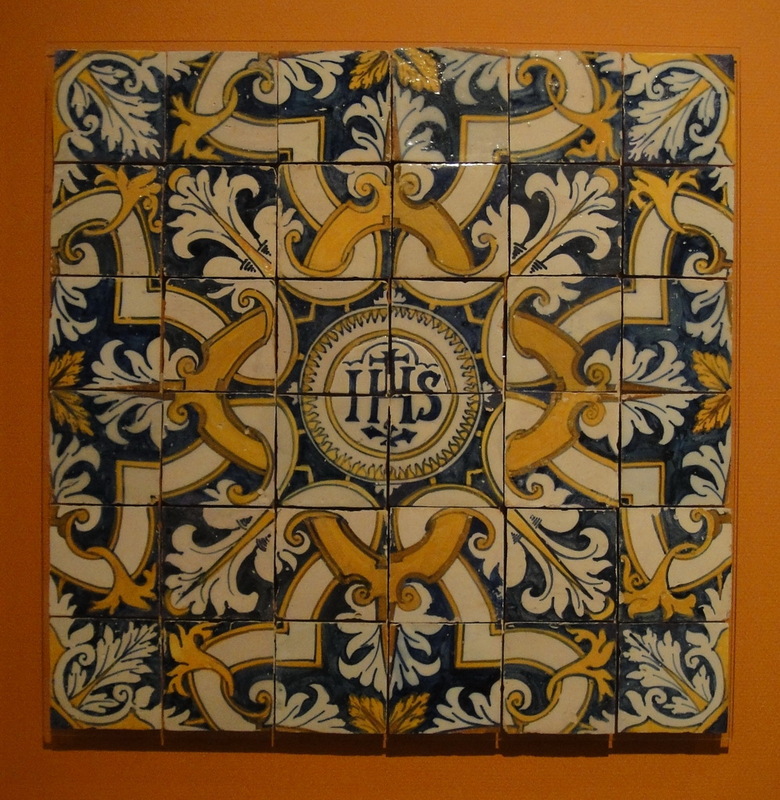 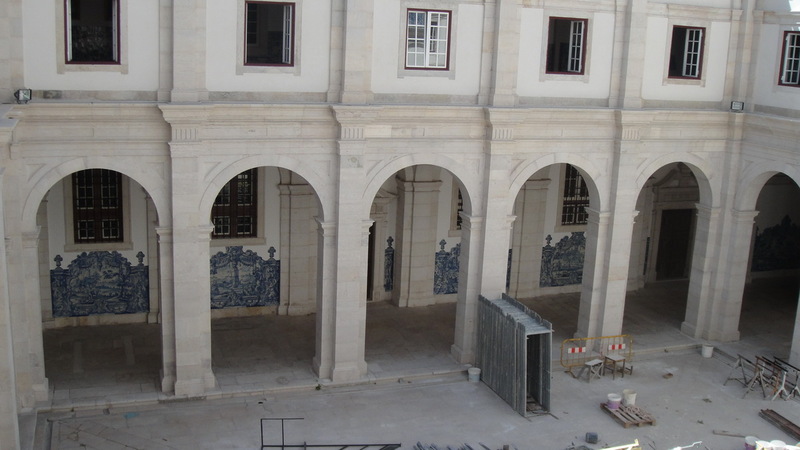 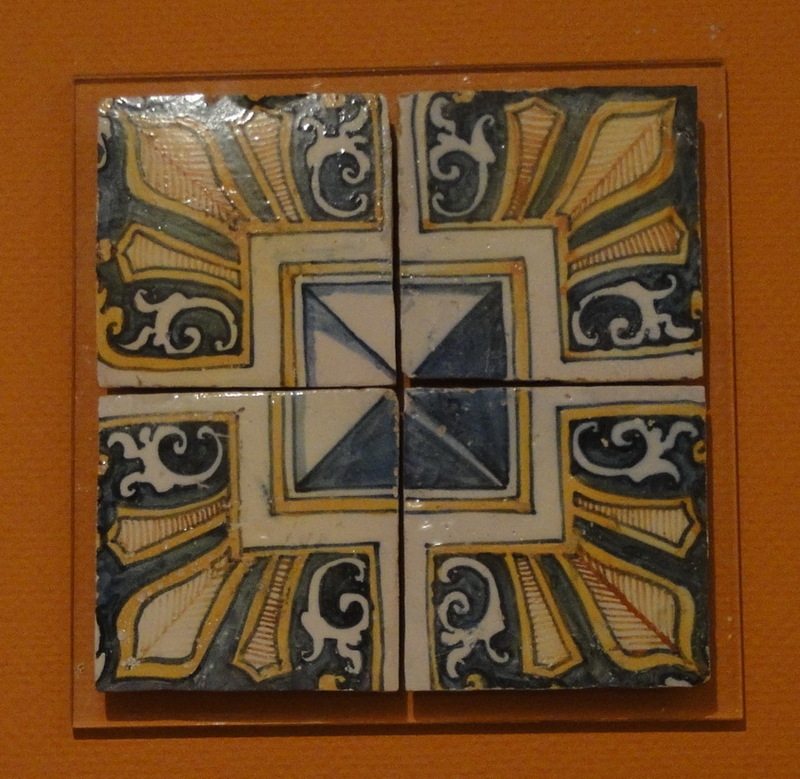 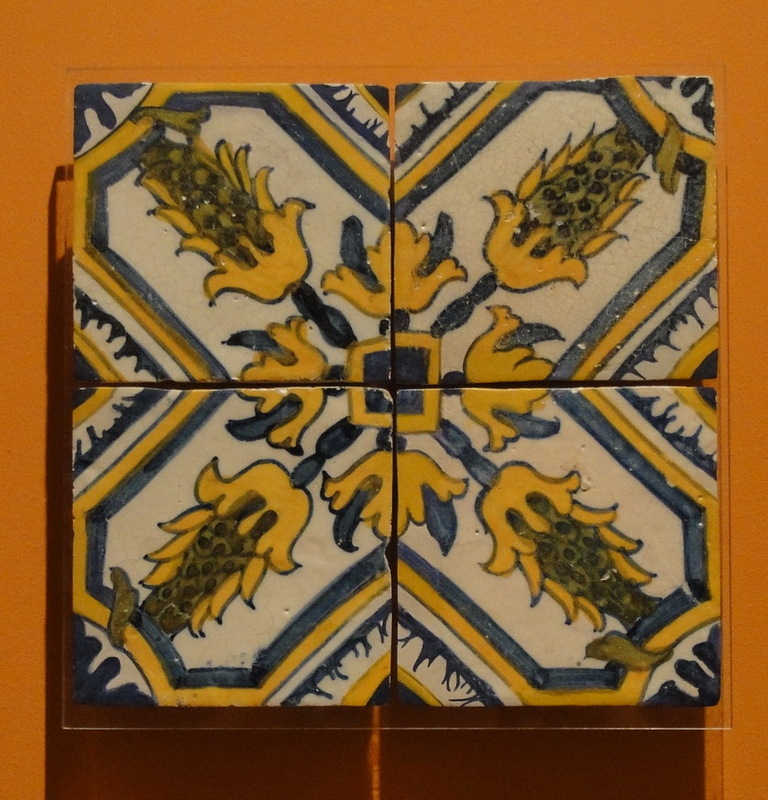 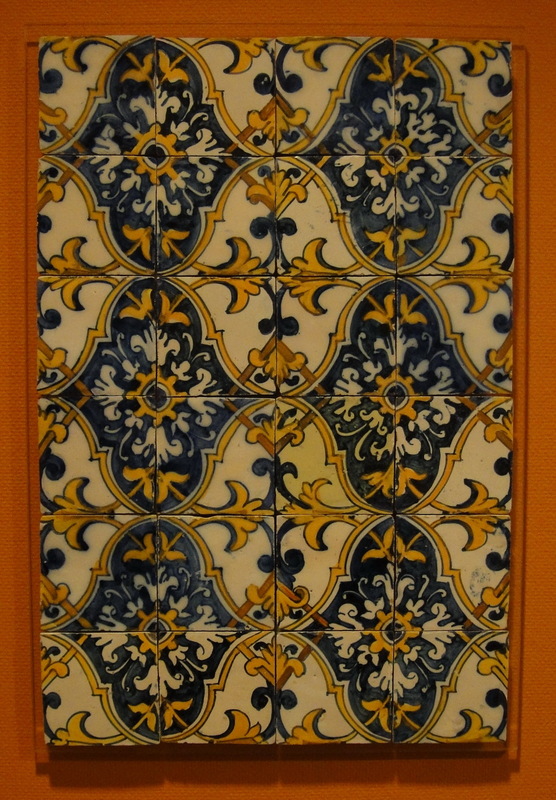 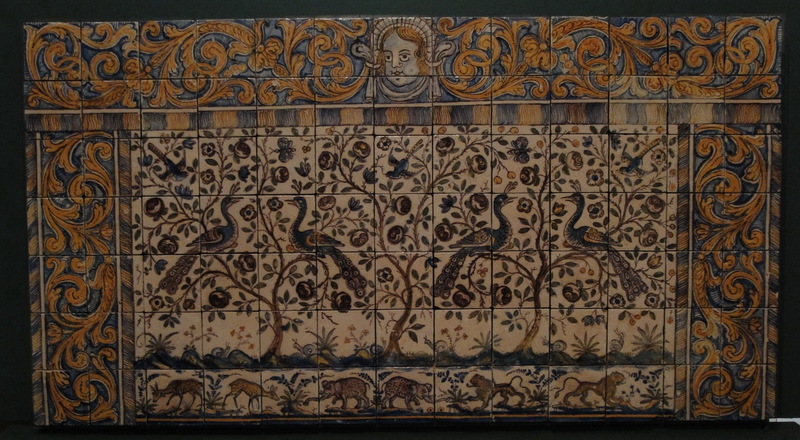 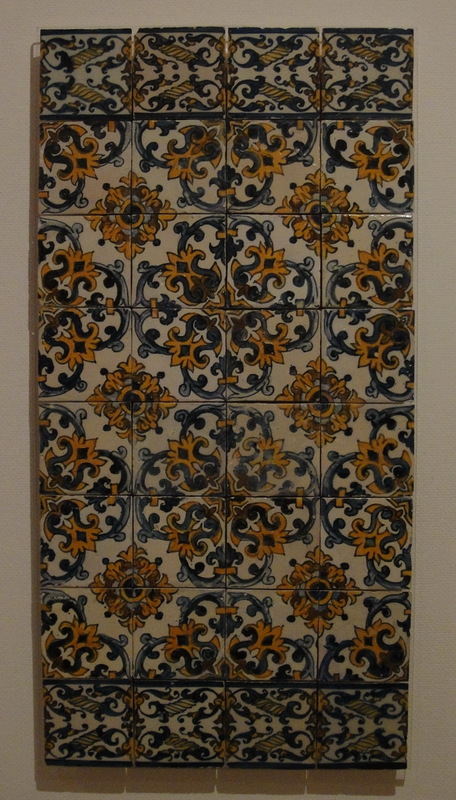 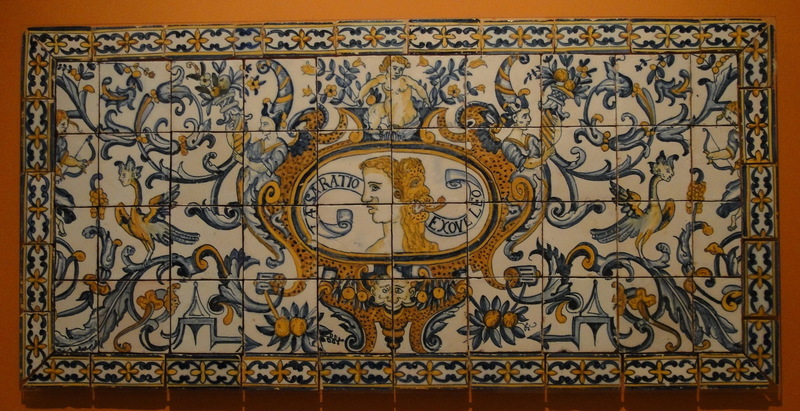 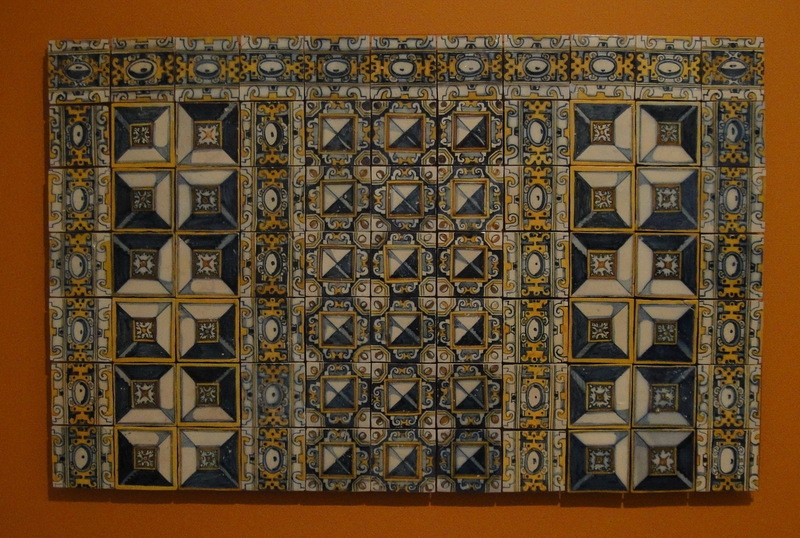 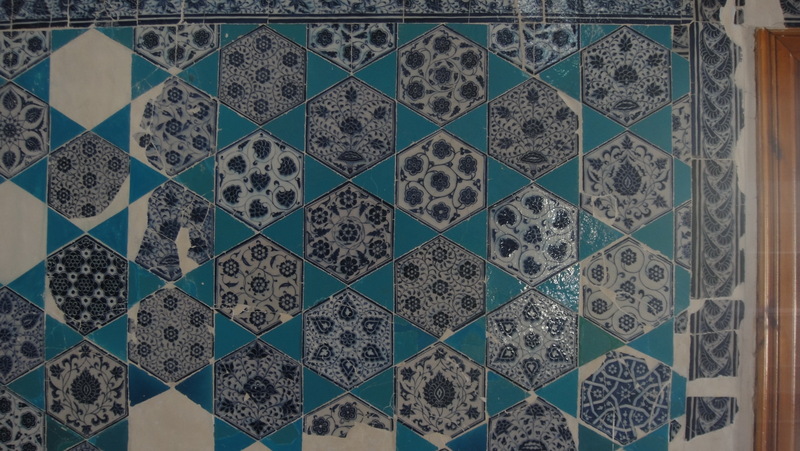 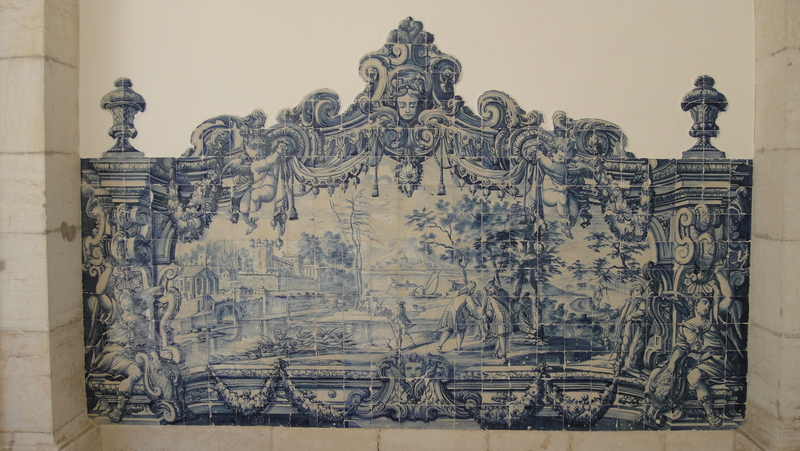 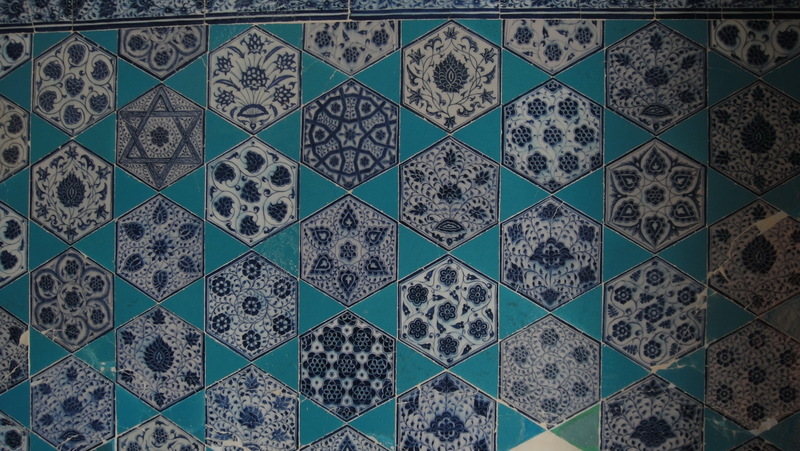 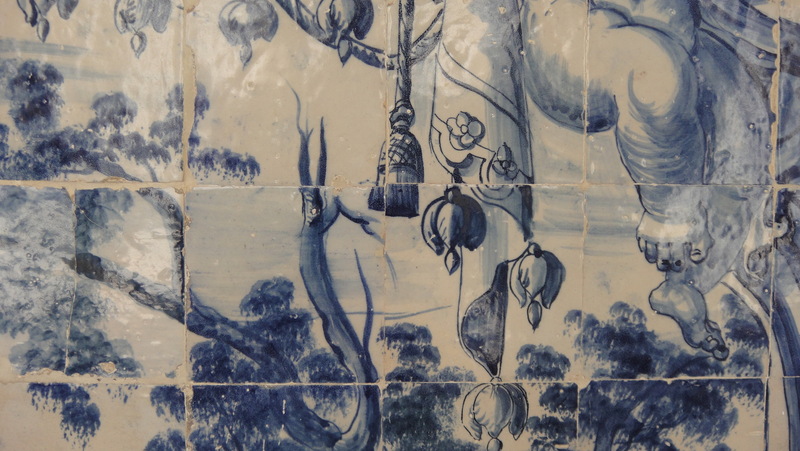 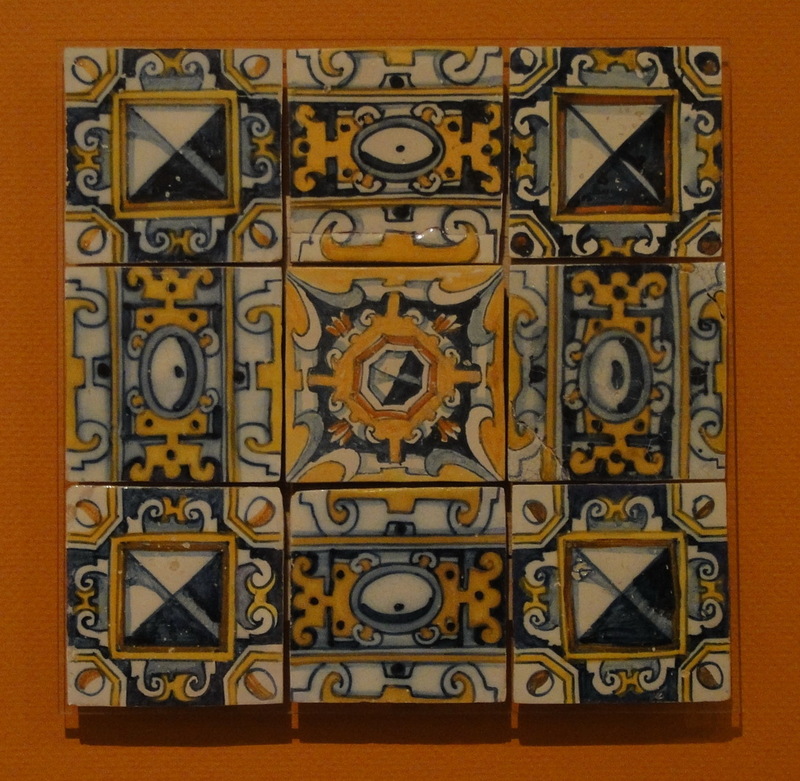 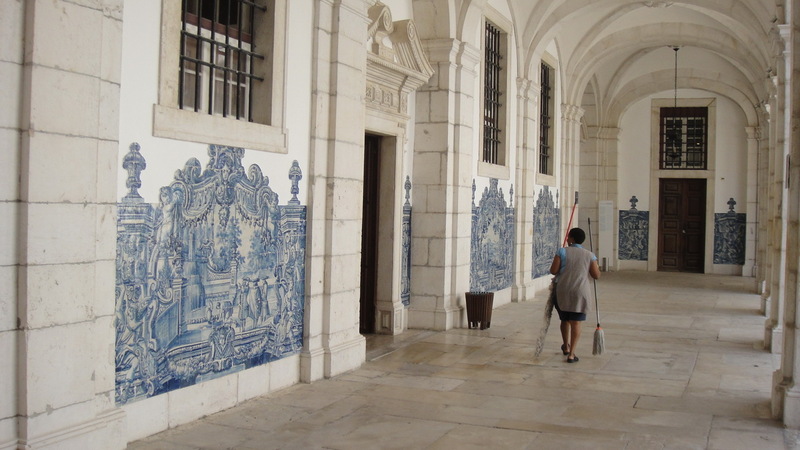 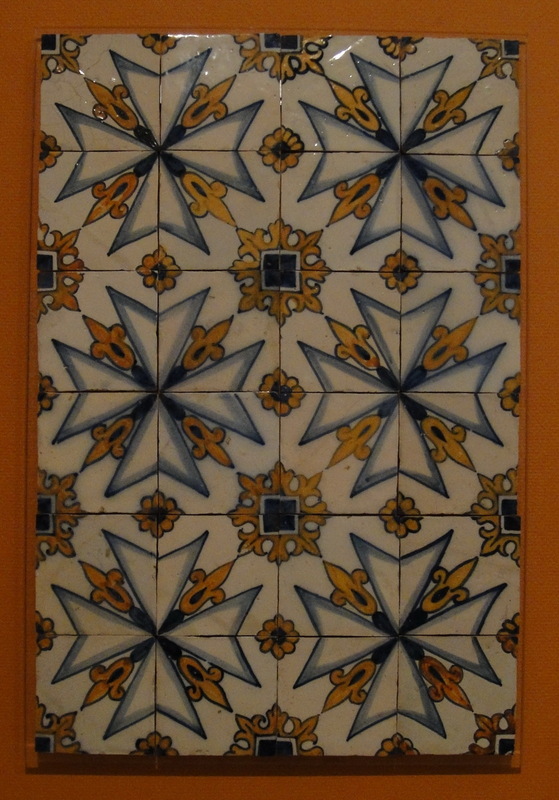 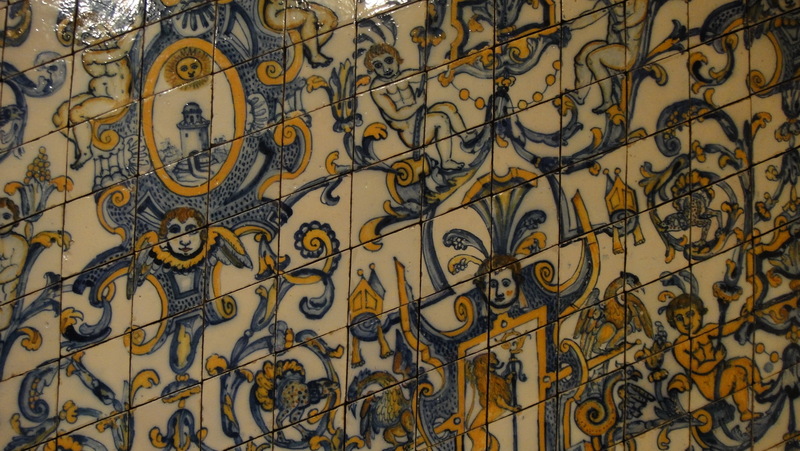 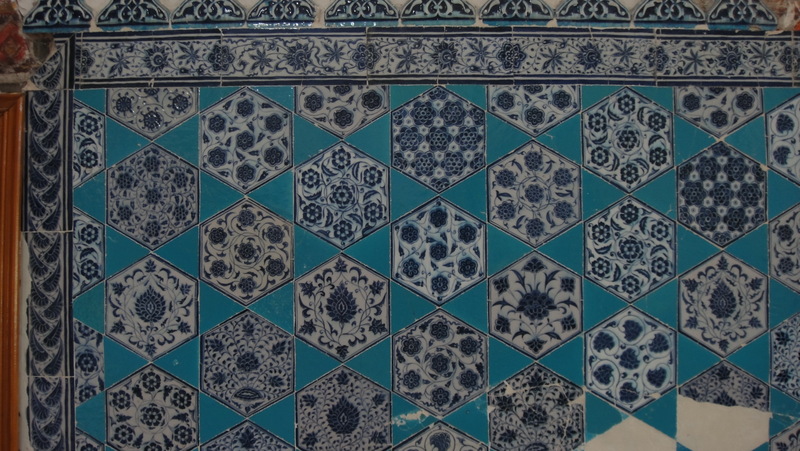 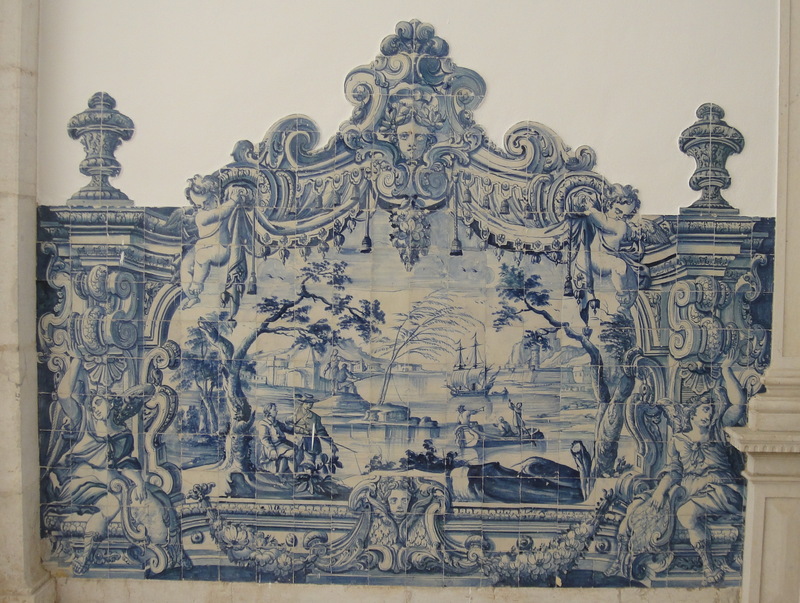 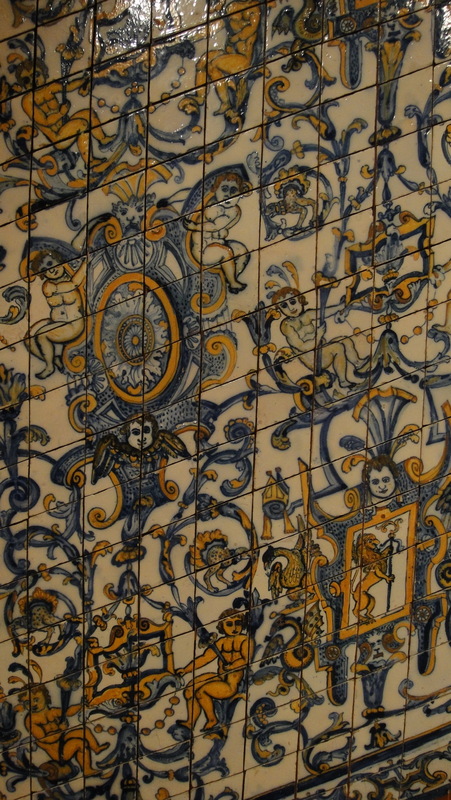 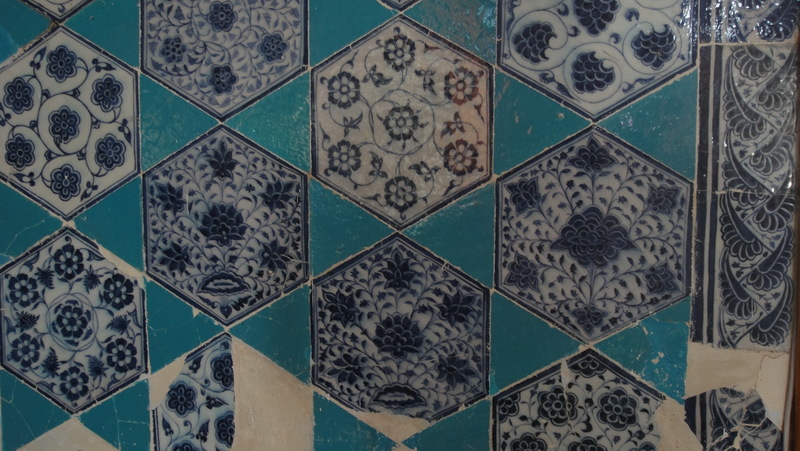 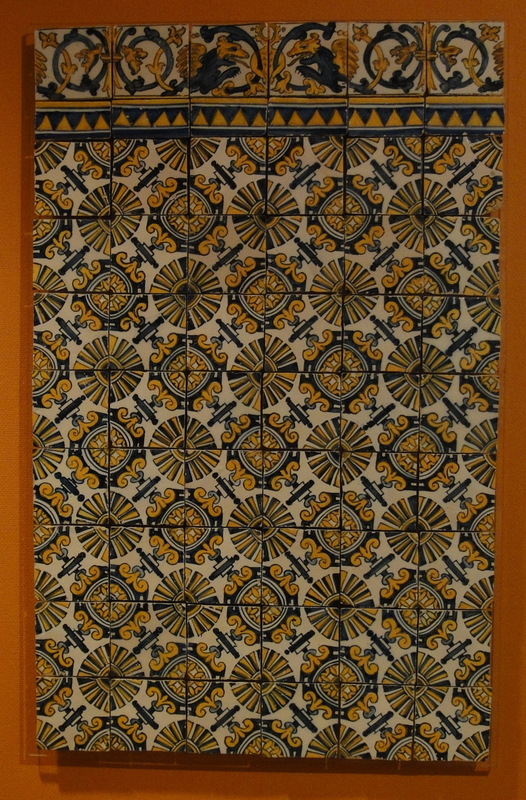 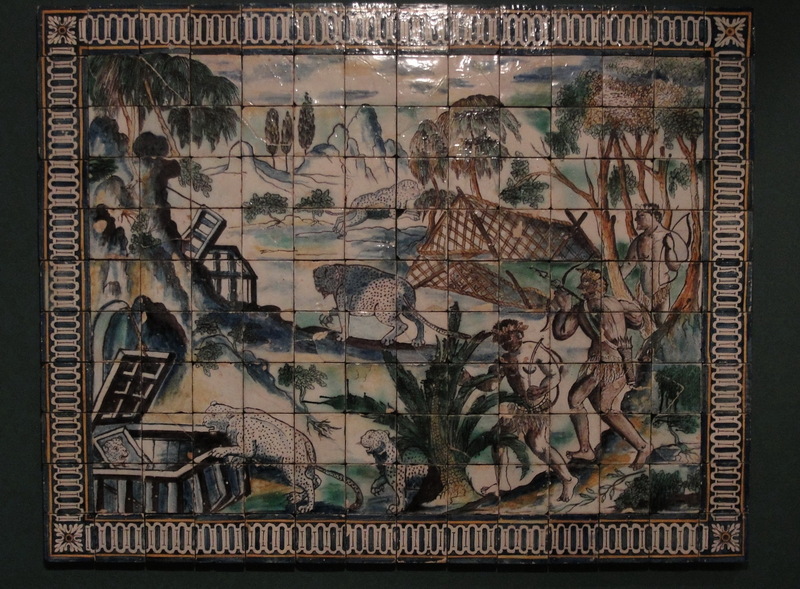 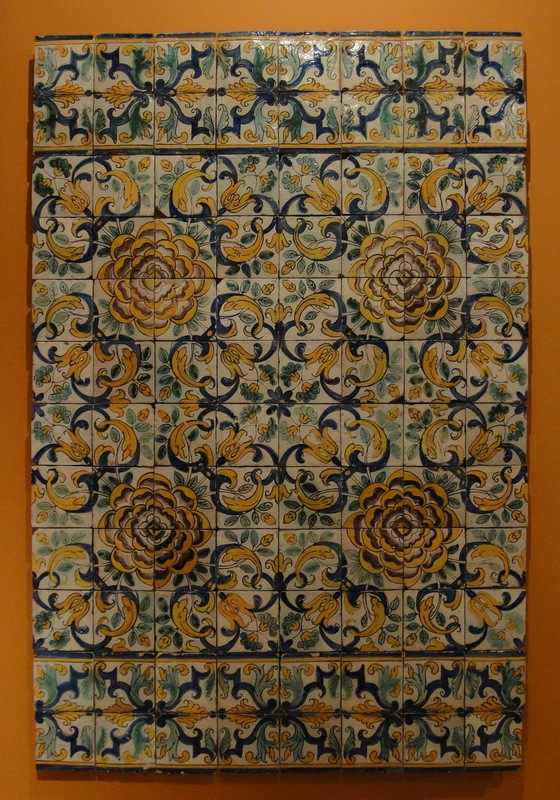 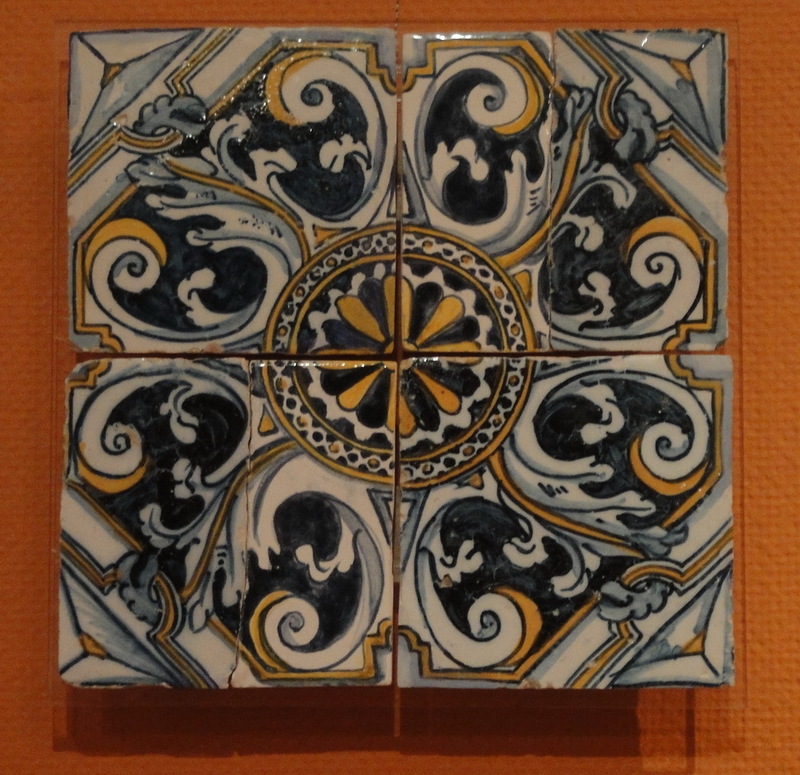 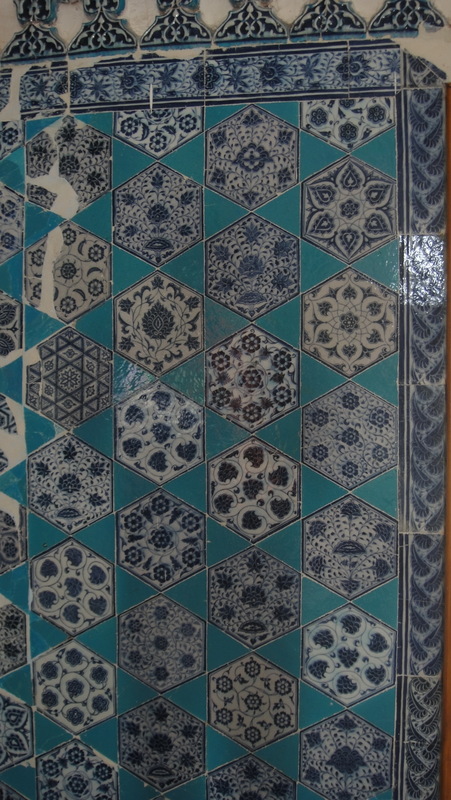 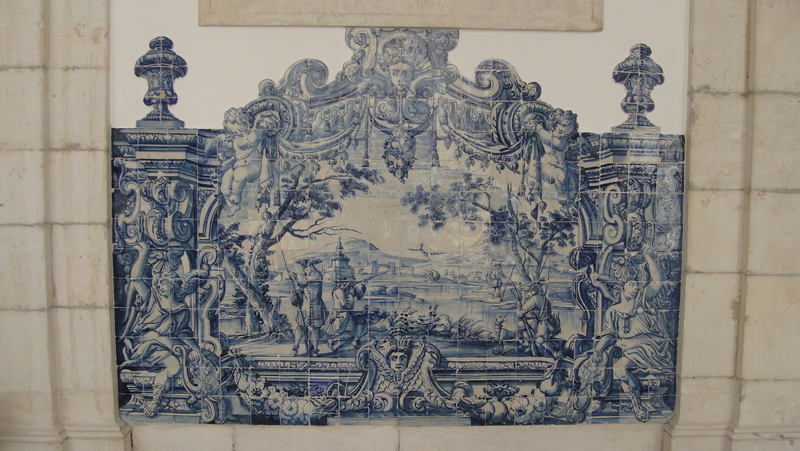 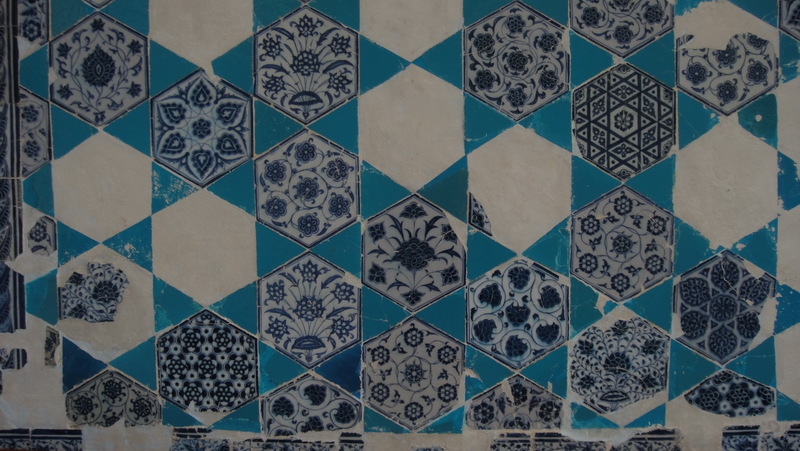 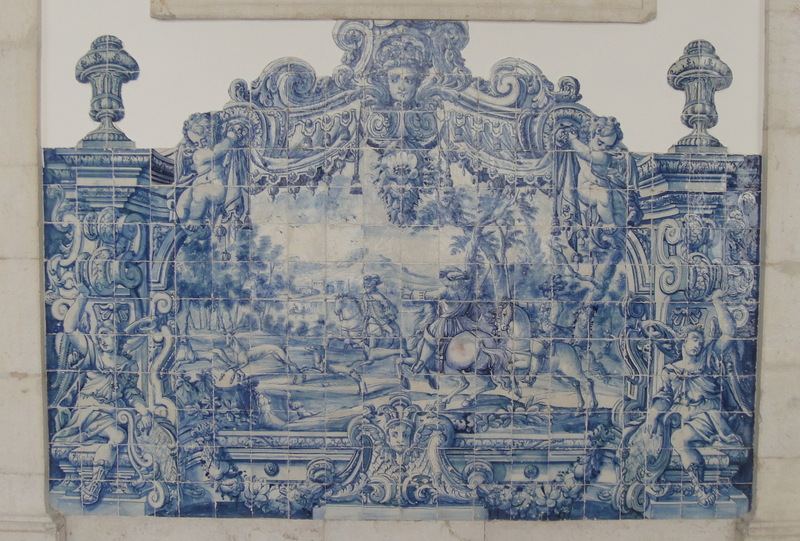 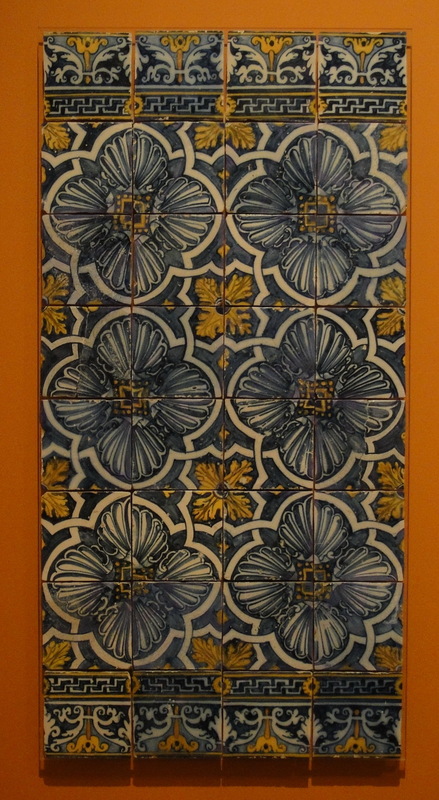 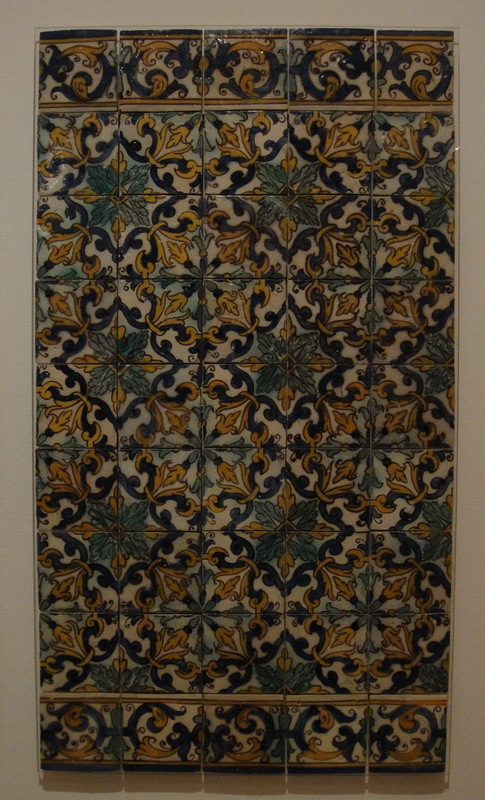 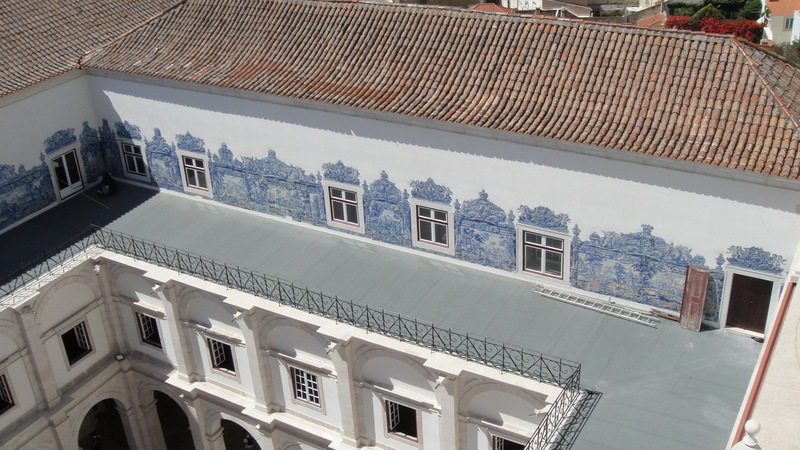 Both are still covered all around, up and down, in azulejos, the Portuguese version of the colored wall tile and one of Portugal’s greatest — and most ubiquitous — homegrown art-forms (and, unjustly, hardly known outside her borders). 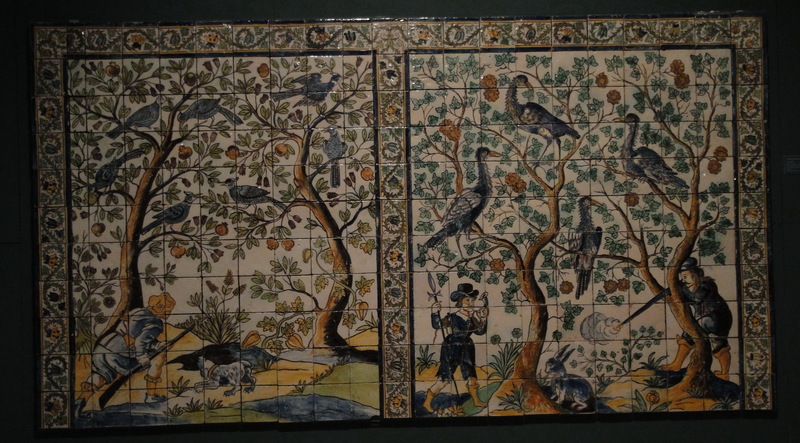 Tellingly, the scenes depicted on the walls of the cloisters were those of… the great outdoors, to give the locked-up men a semblance of the pleasure of walking unimpeded through the countryside. 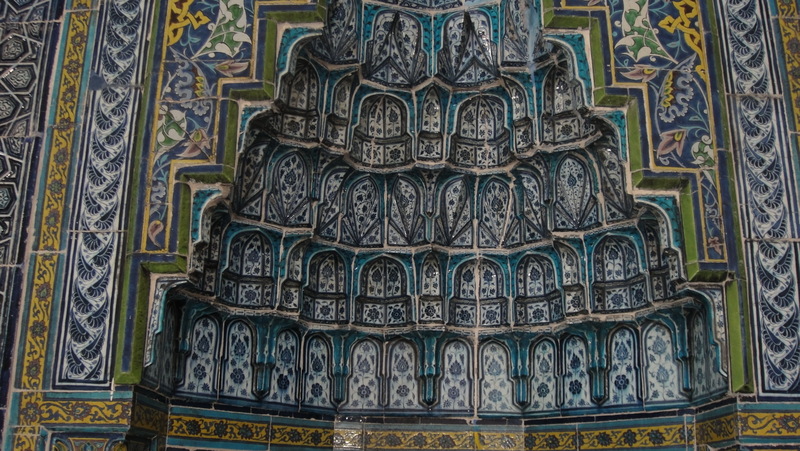 Note: these photos are intentionally HUGE. 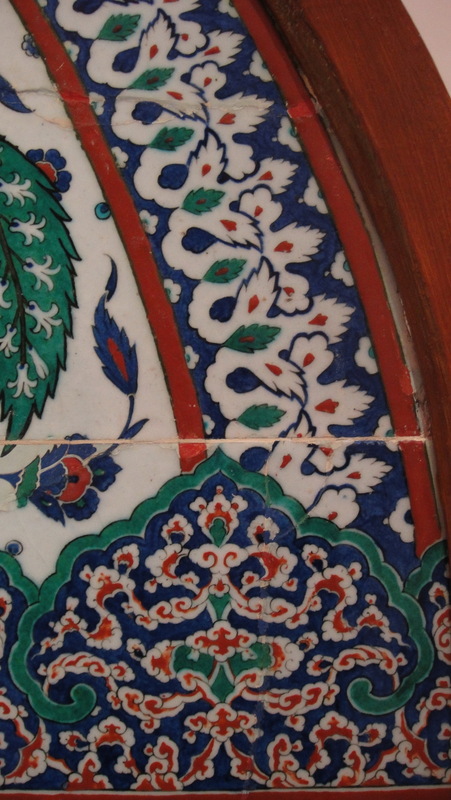 Look at the details: the variety of different styles of brushwork — one really pays attention to brushwork in monochrome art!